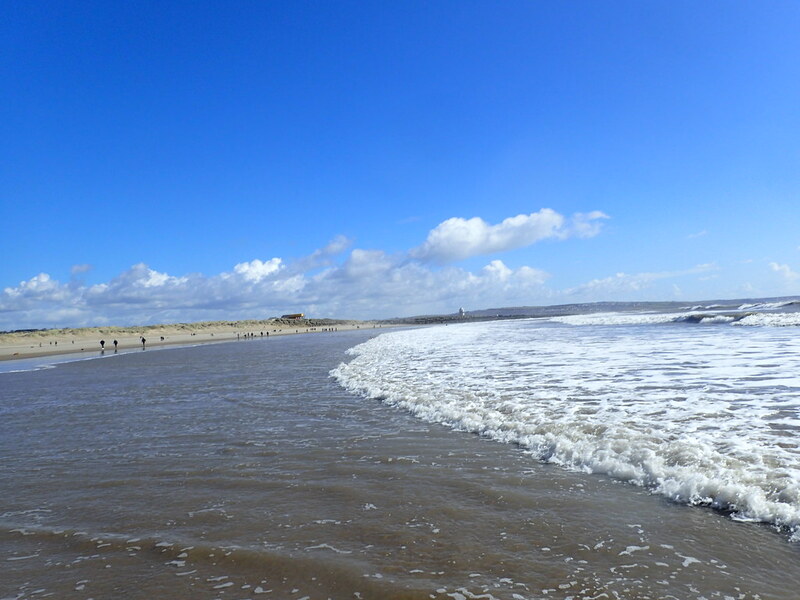 Seems a bit crazy to want to spend time in the sea in mid-March but that’s the kind of thing I like to do. 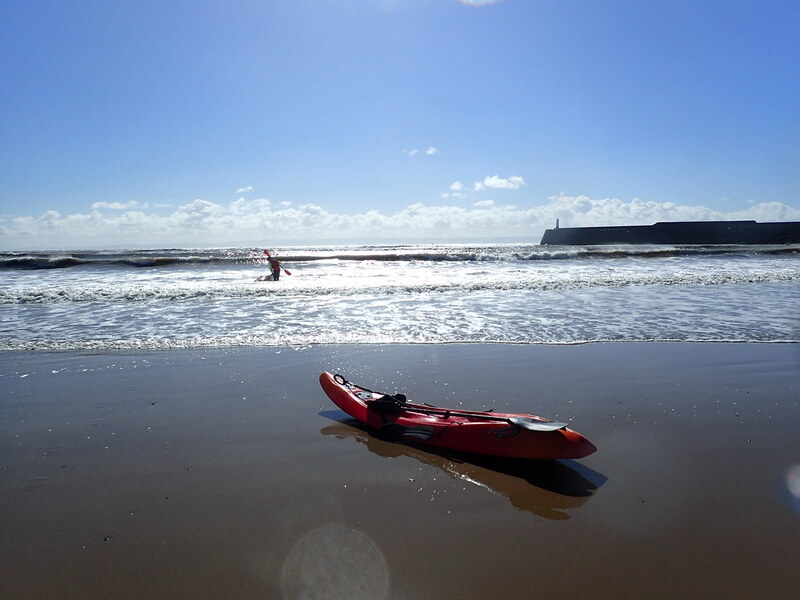 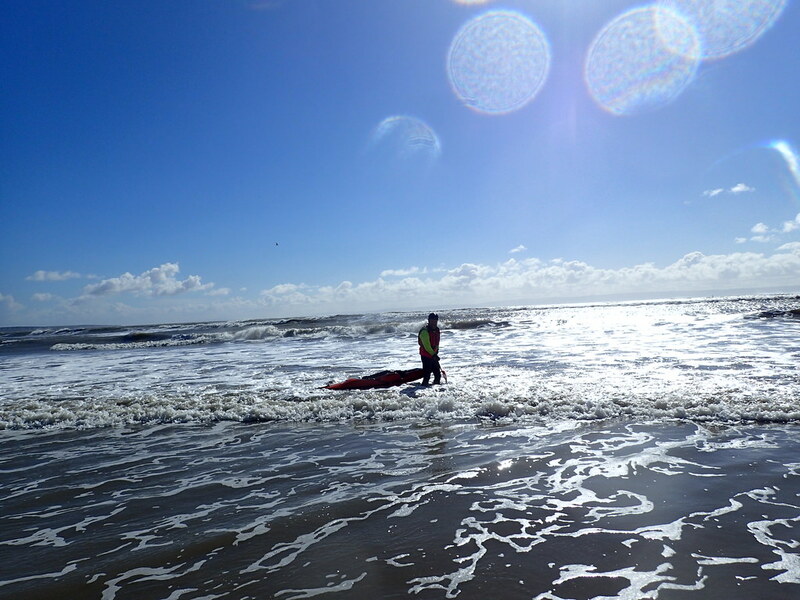 A decent surf forecast saw me and THO, accompanied by TBF plan a day in the surf in South Wales. 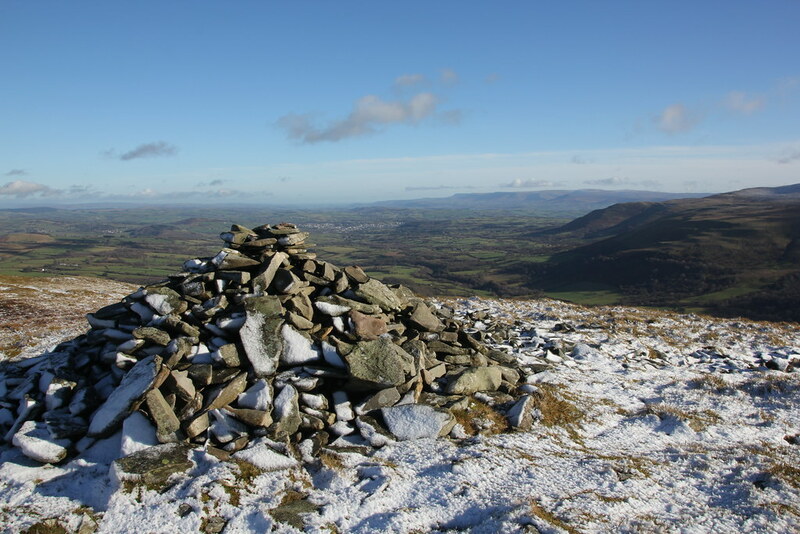 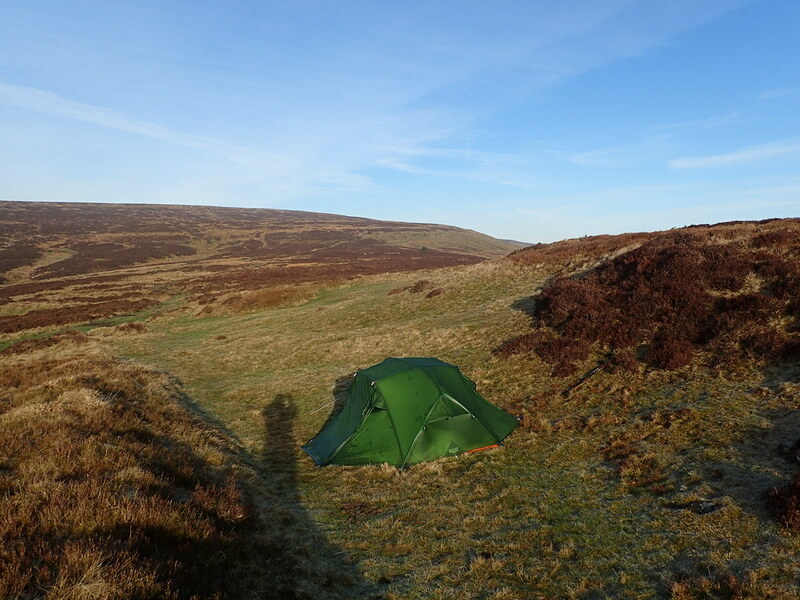 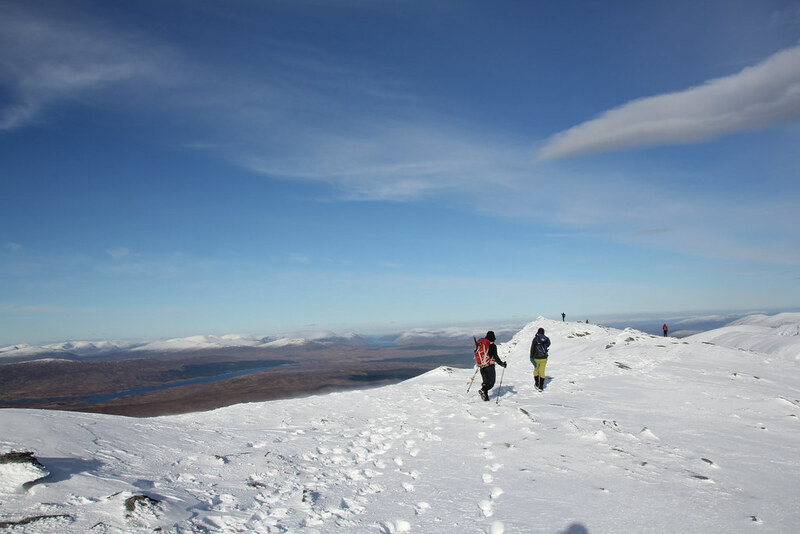 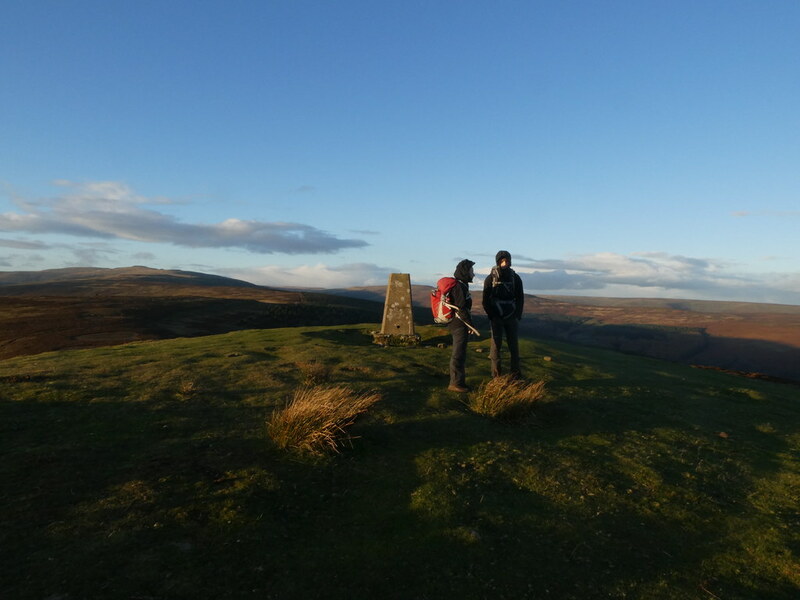 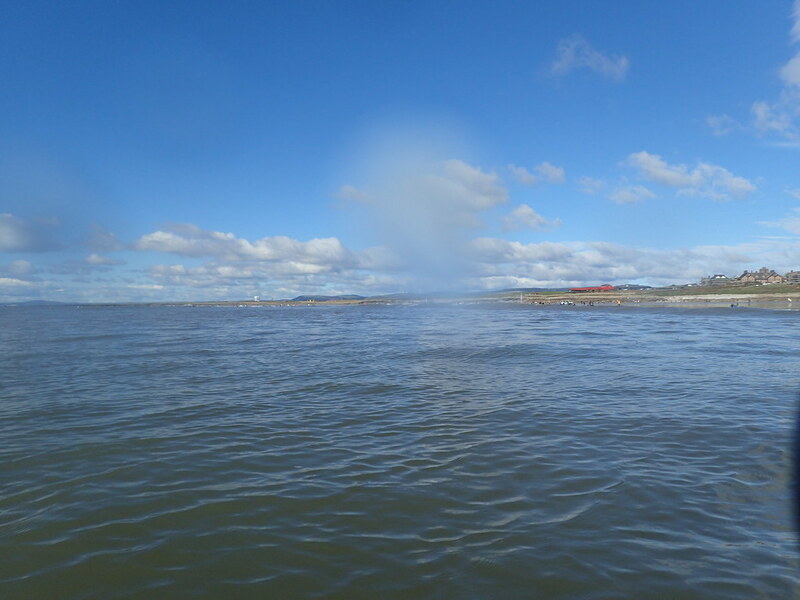 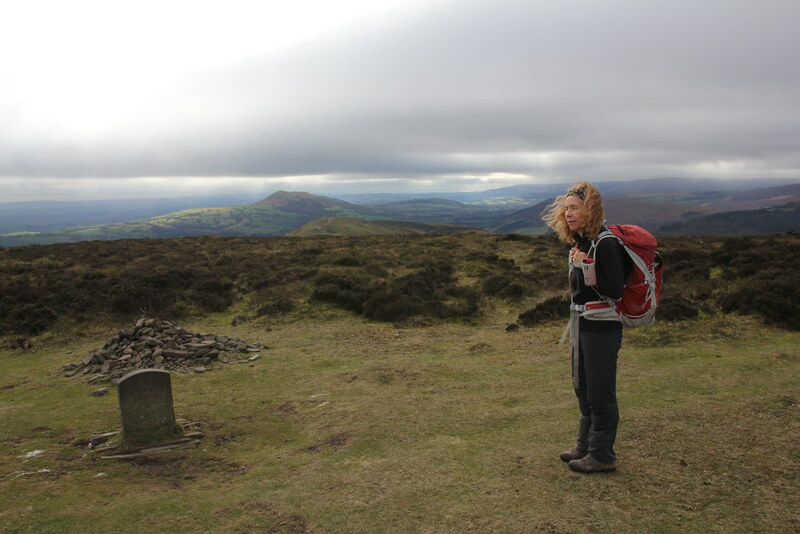 The weather had been appalling all week but Sunday was bright and sunny if a little windy and cold. 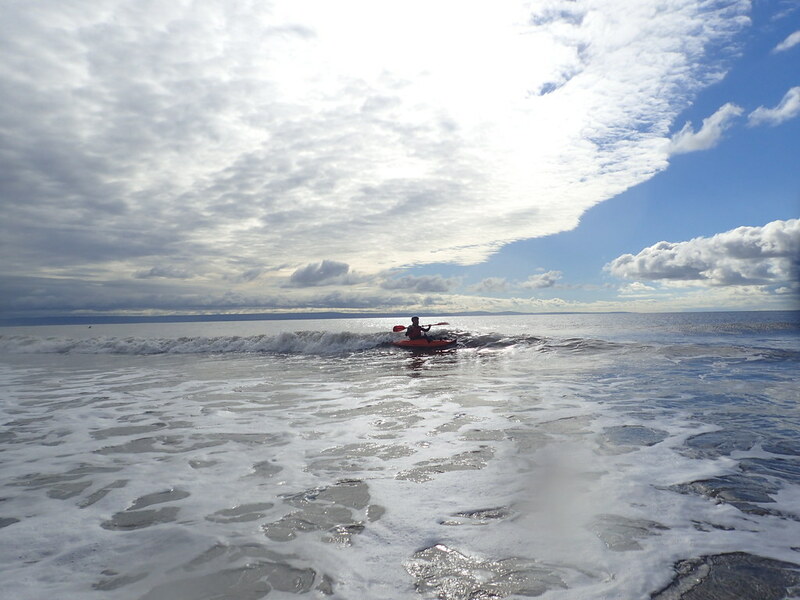 Rest Bay is our usual hang out but it was open to the wind and the waves were a bit scary. 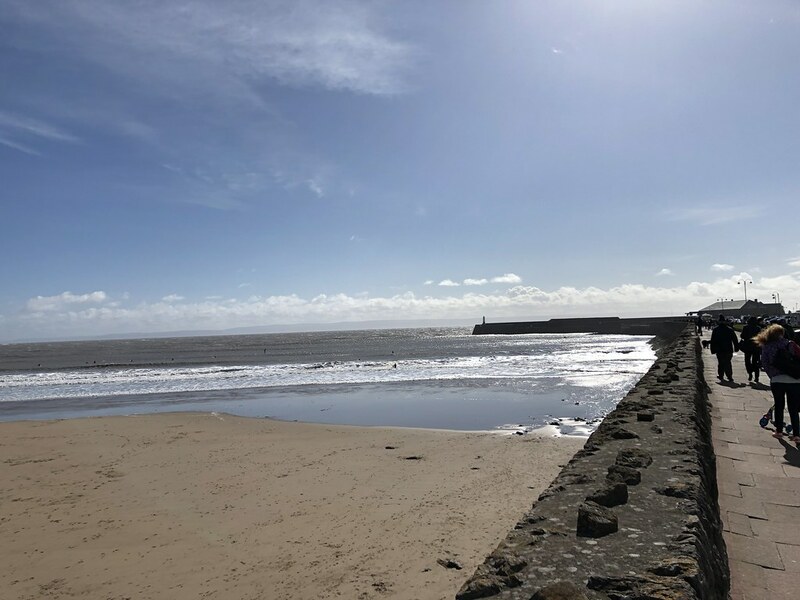 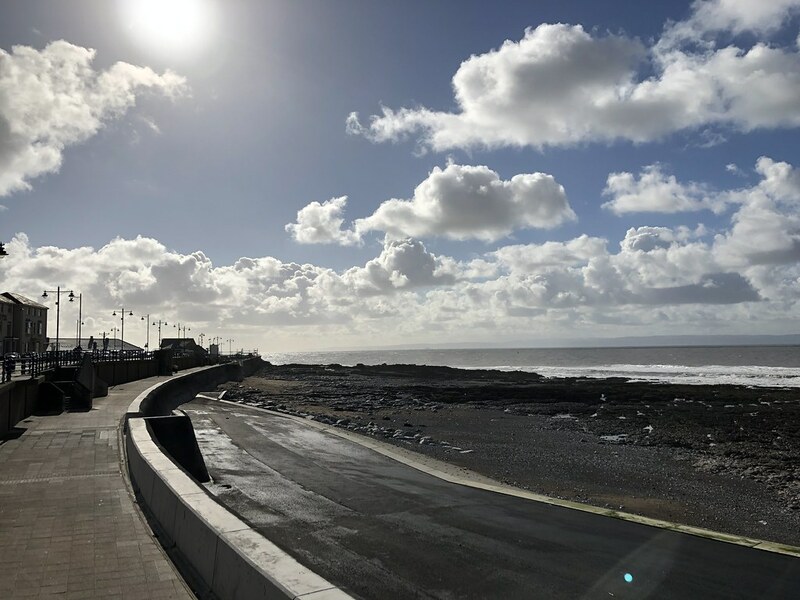 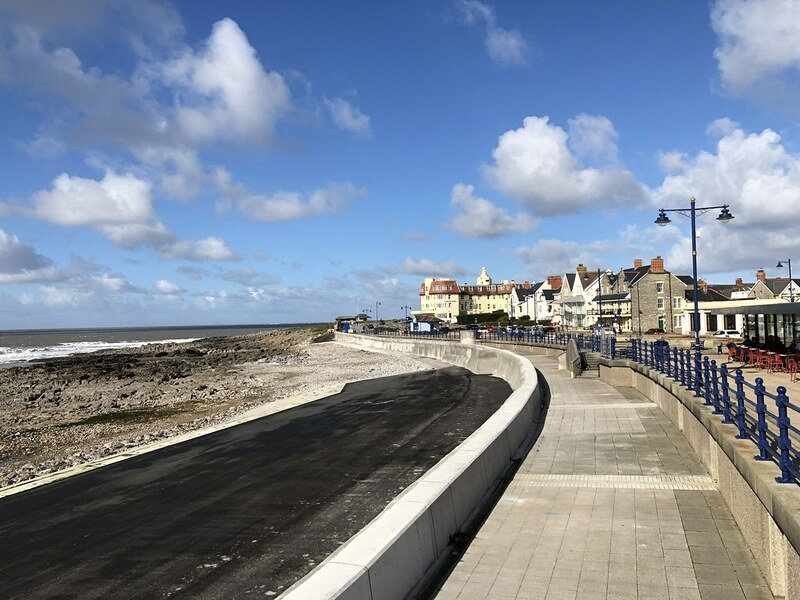 After a very fine breakfast in our new favourite cafe we headed to the Town beach behind the harbour wall where the waves were more manageable. 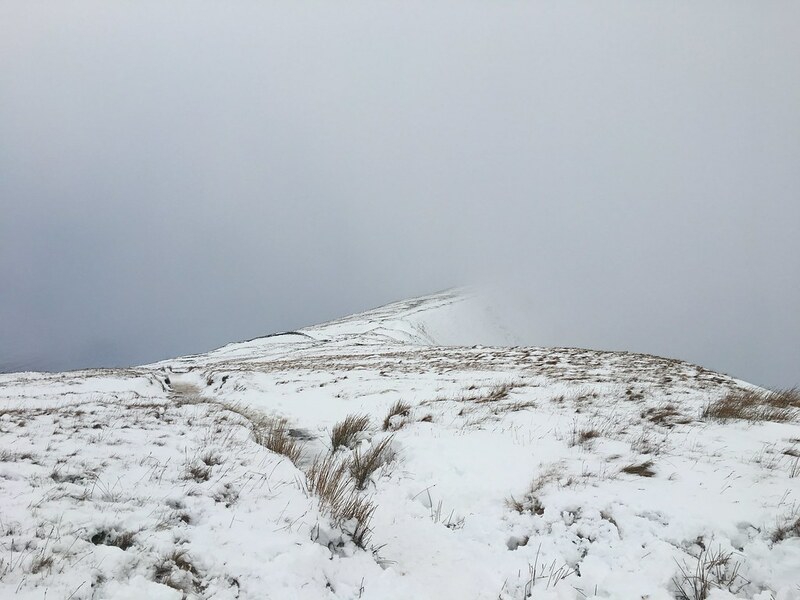 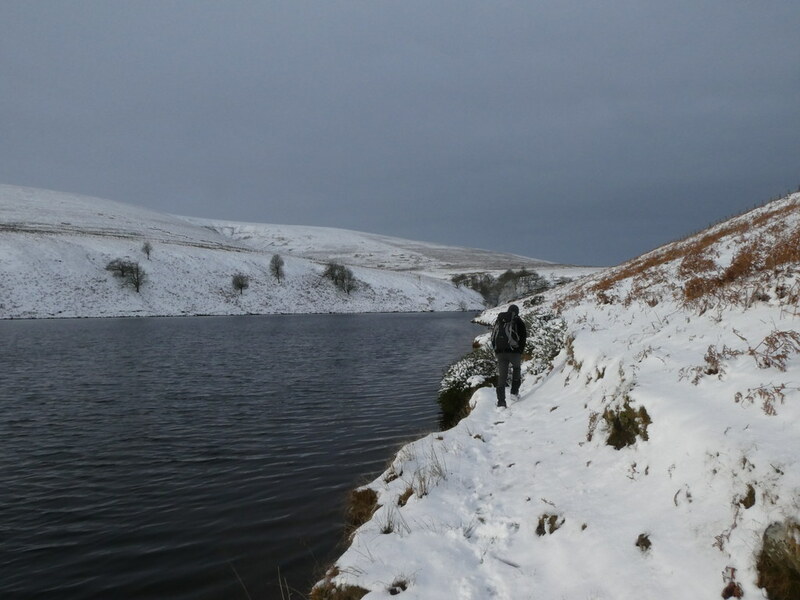 Safe to say we didn’t stay in long even though we had some superb long rides in pretty much prefect conditions. 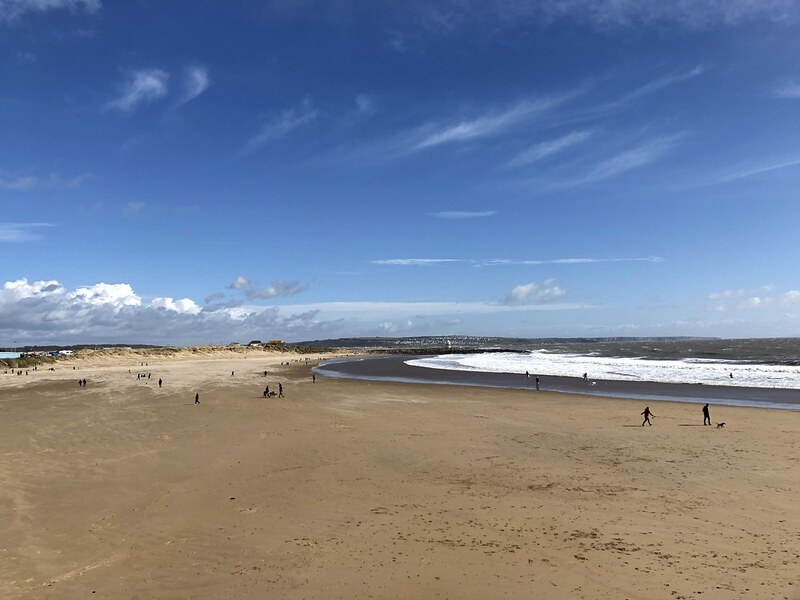 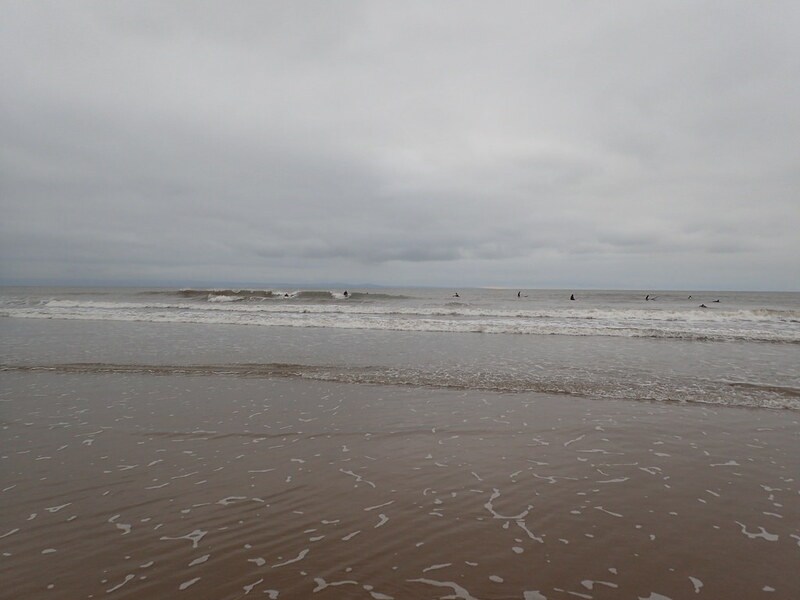 The beach was very busy as was the Theme Park and we finished the day off in style with Waffles and Ice Cream on the sea front before the rain returned. 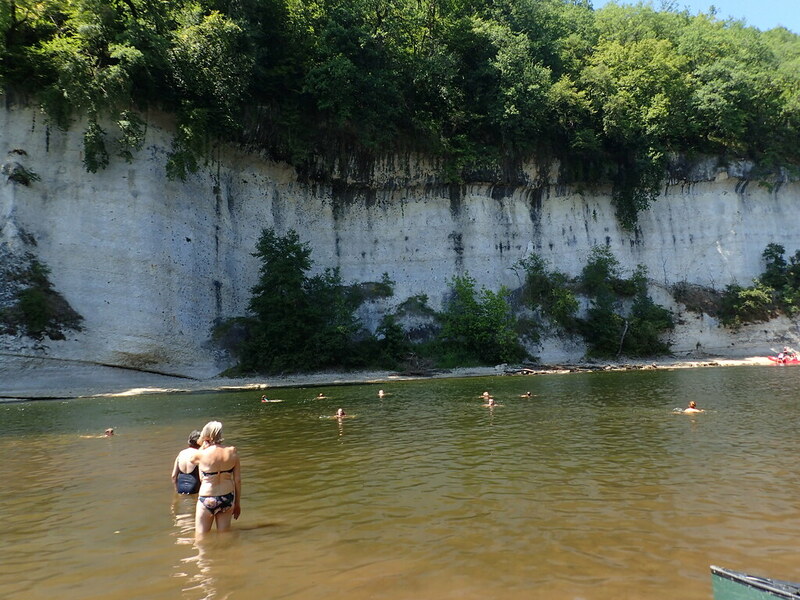 Perfect except for the fact that the water was staggeringly cold. 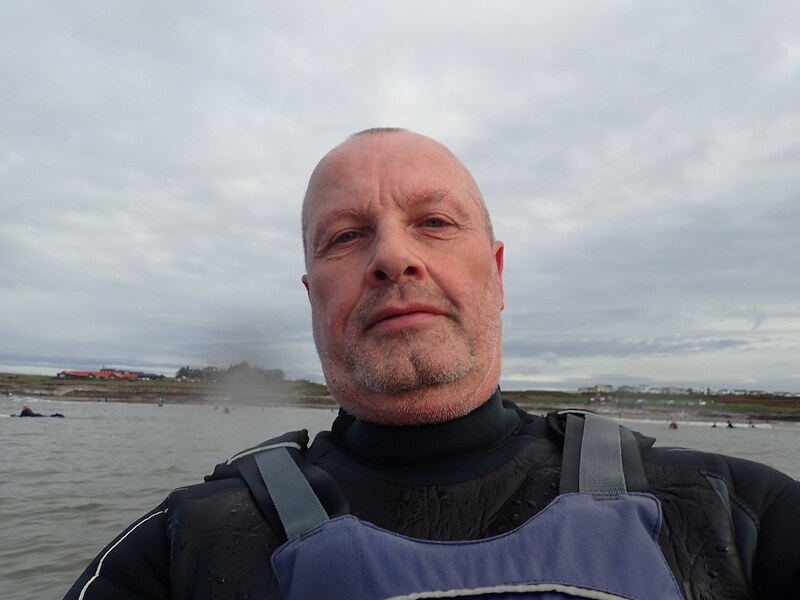 This was especially noticeable when taking a dunk, water cold enough to make your head ache and feel rather light headed. 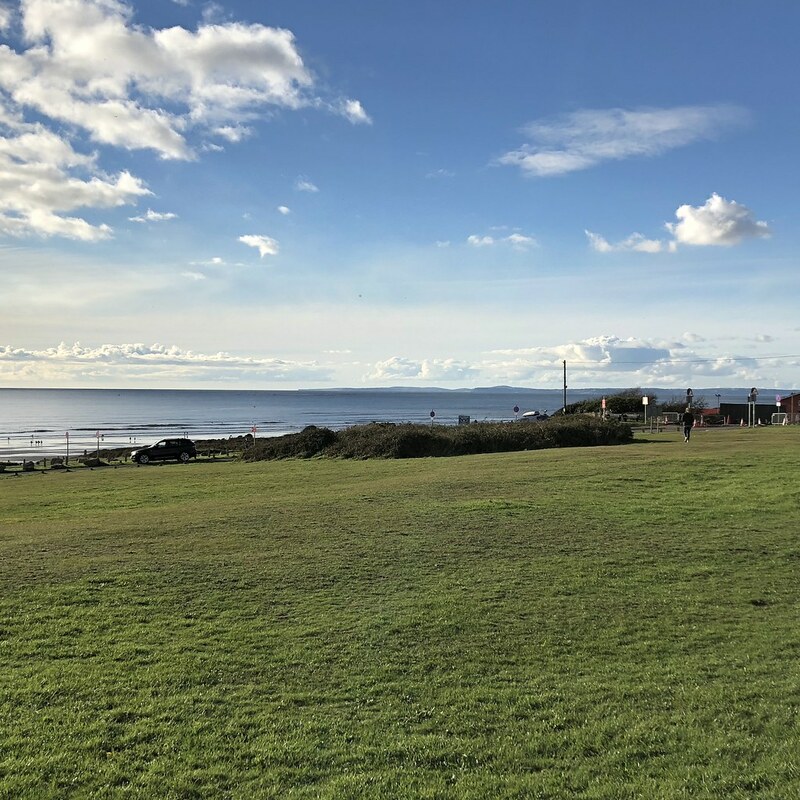 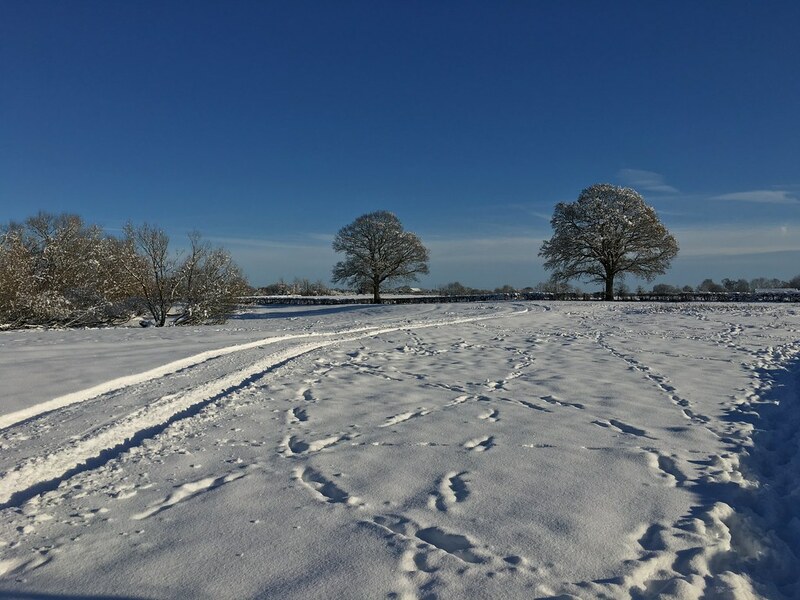 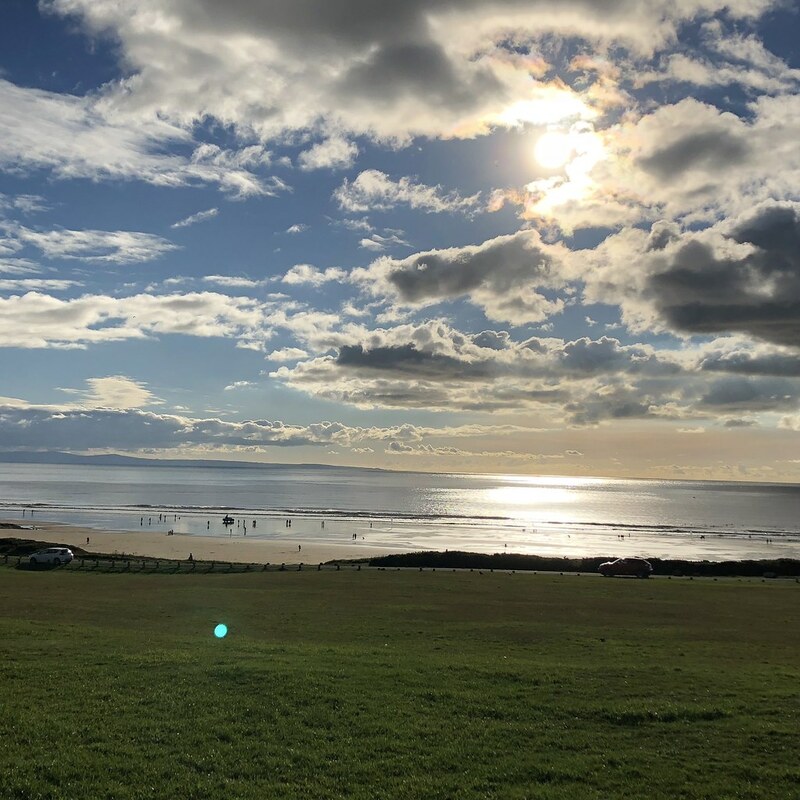 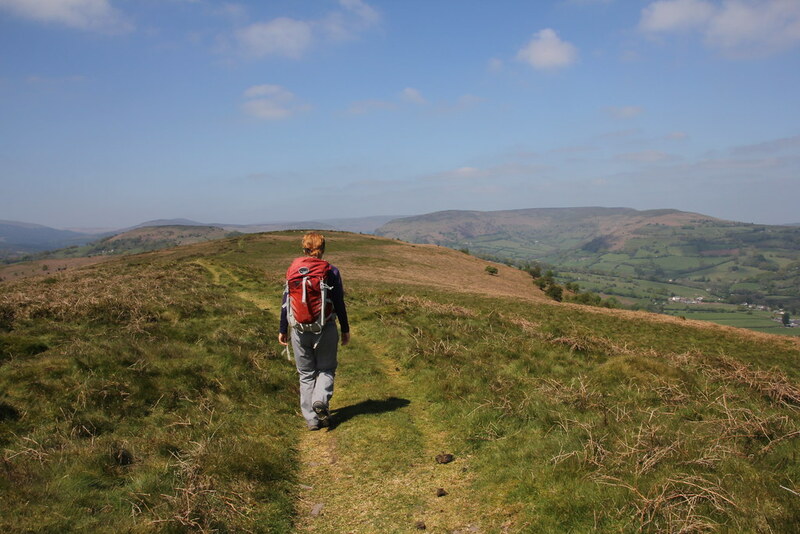 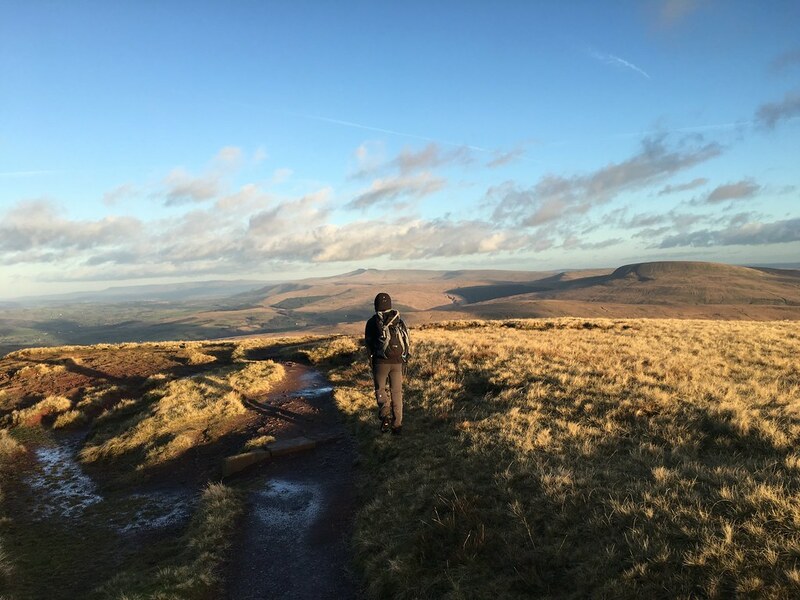 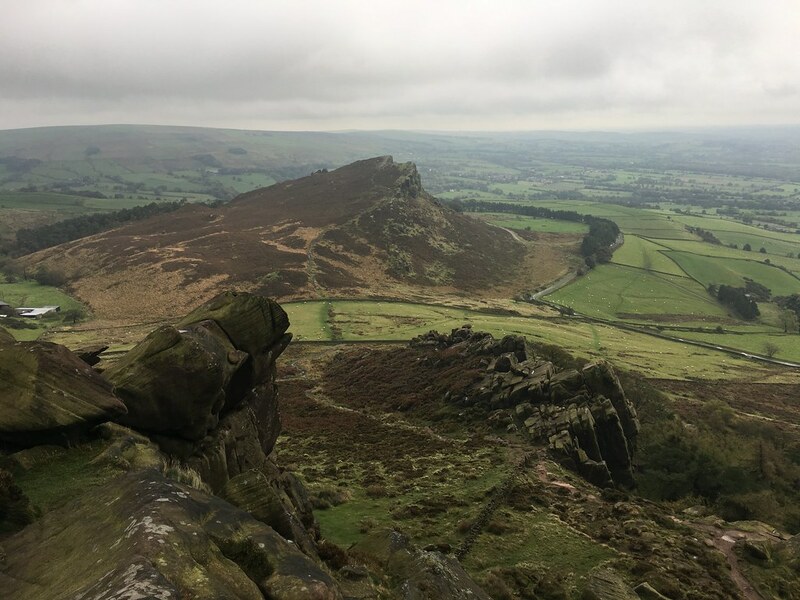 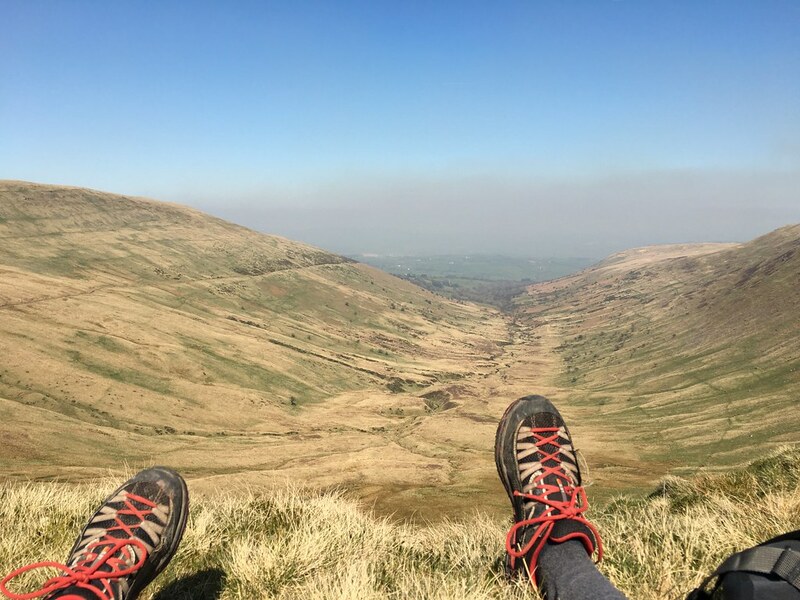 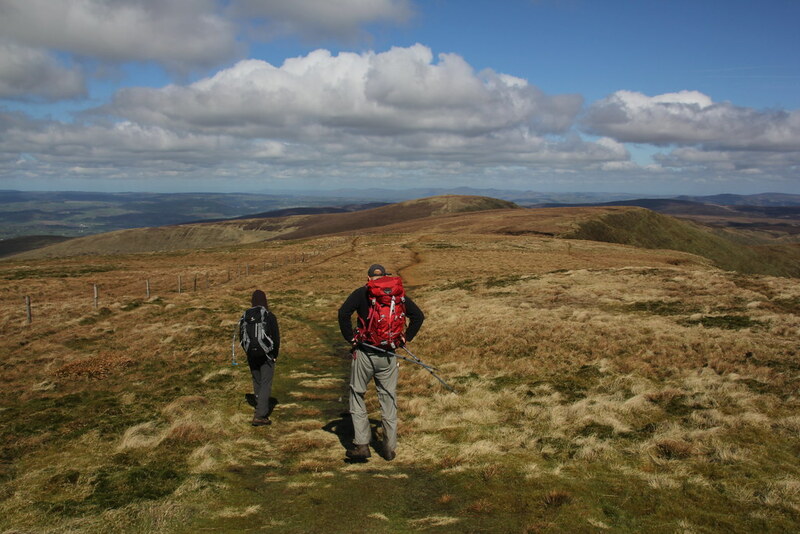 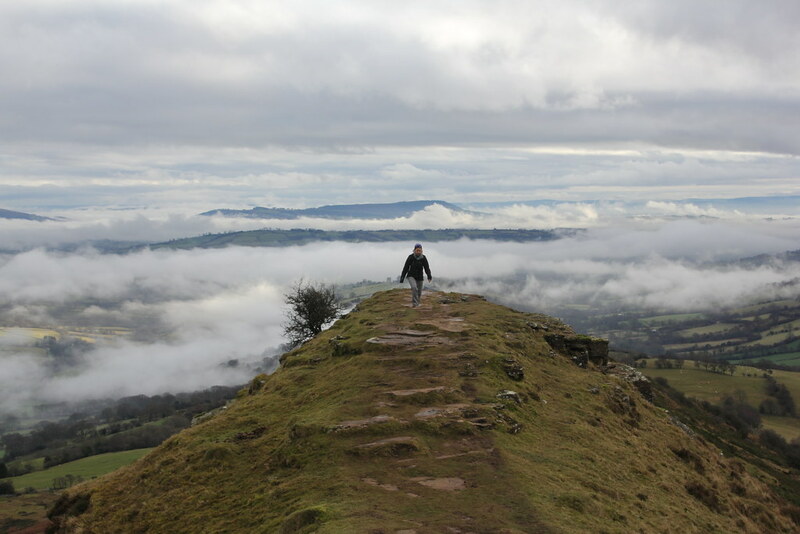 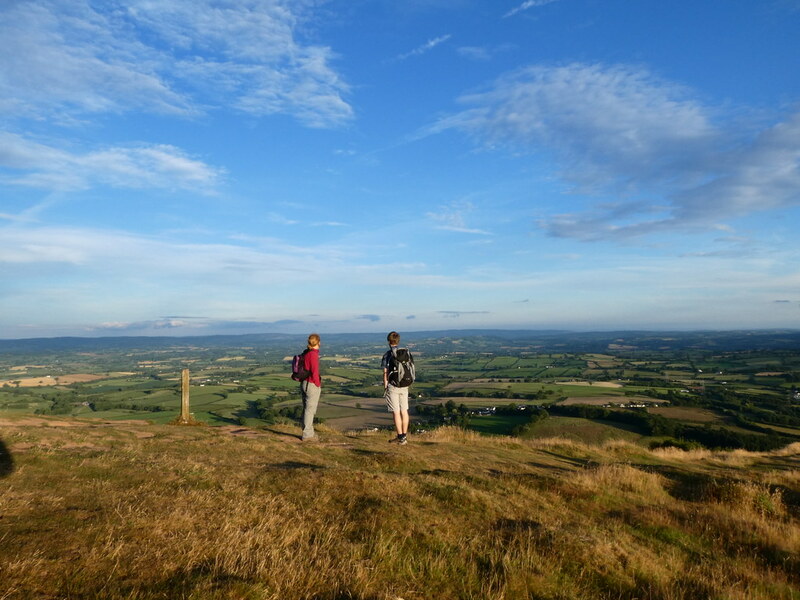 Regardless of activity and the pains to achieve it, I always enjoy a spell of outdoor fun and it most definitely clears the head of any lingering post work lassitude. 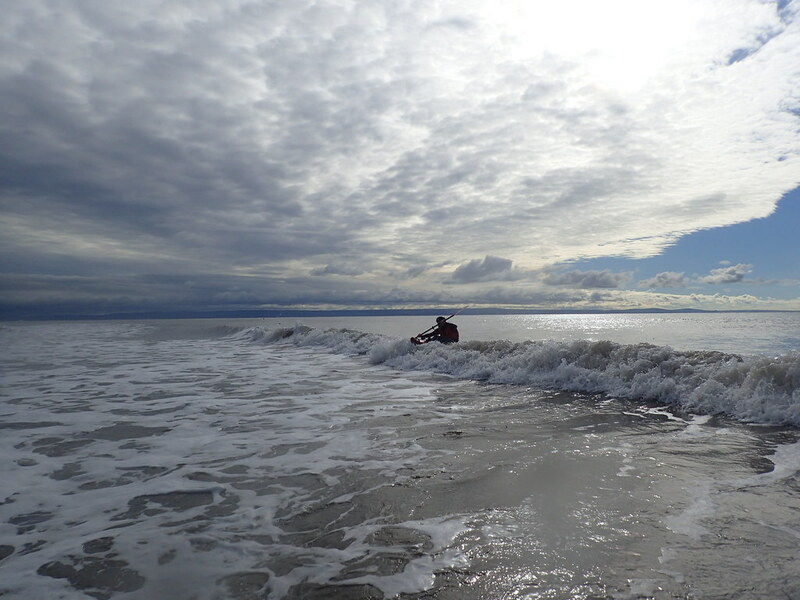 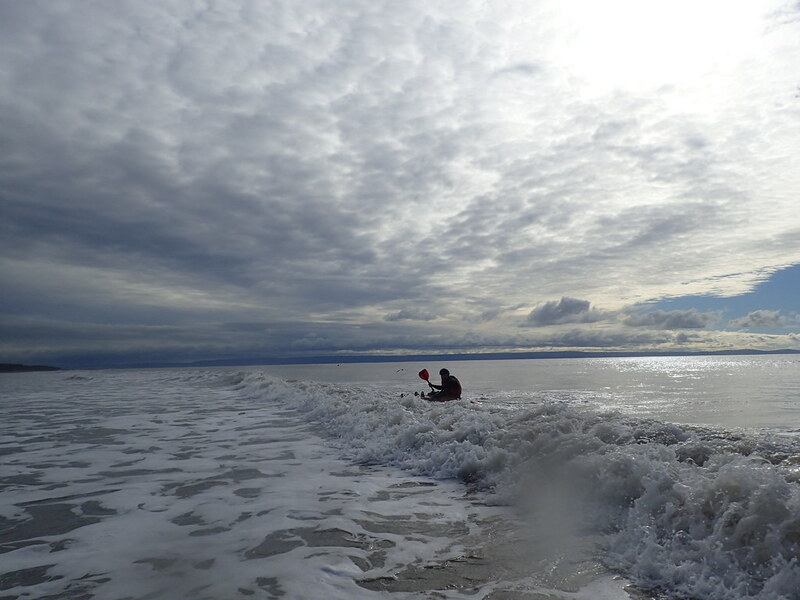 More surfing planned but maybe when the water is not quite as close to freezing! 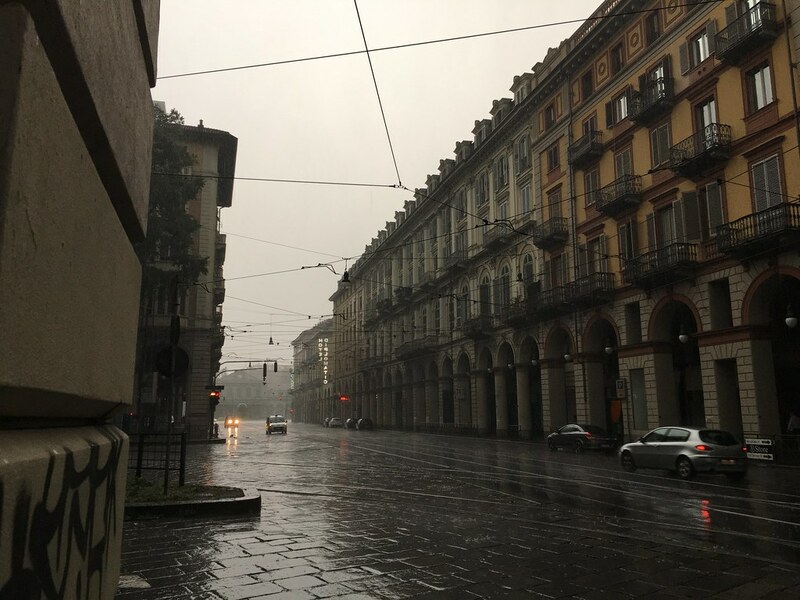 It turned into a wonderful afternoon. 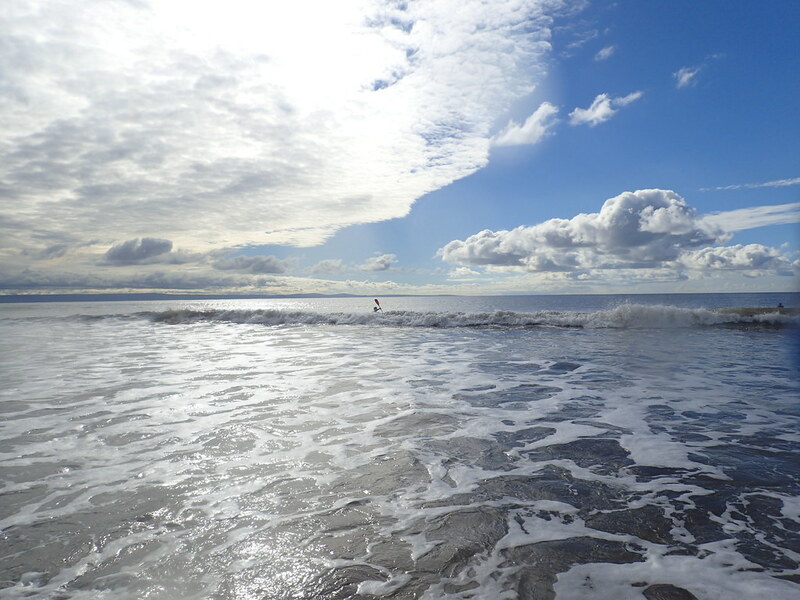 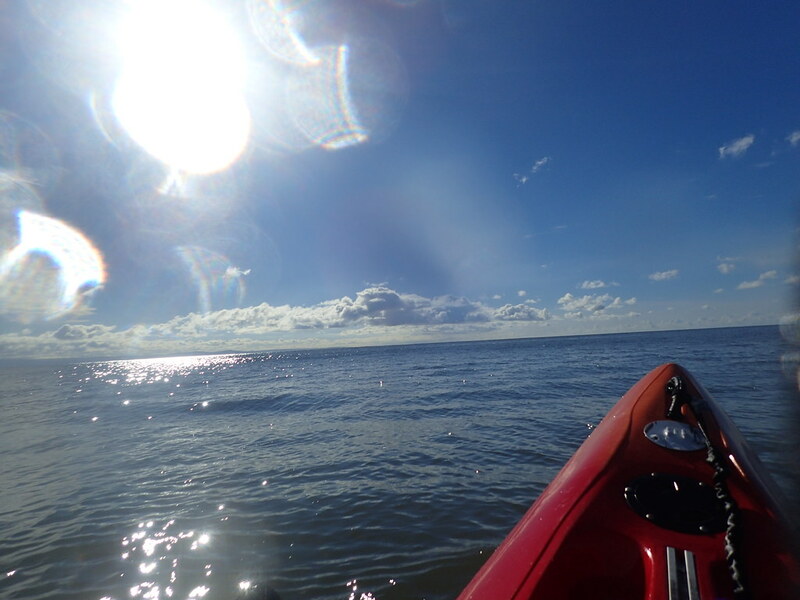 Offshore winds created near perfect waves and eventually we were treated to abundant blue skies and warm sunshine. 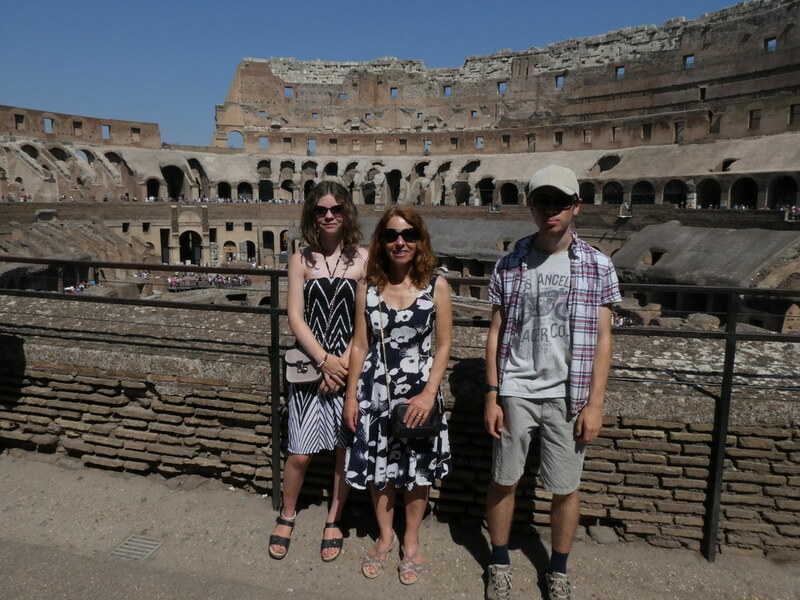 Hard to believe the torrential rain we’d driven down in a few hours earlier. 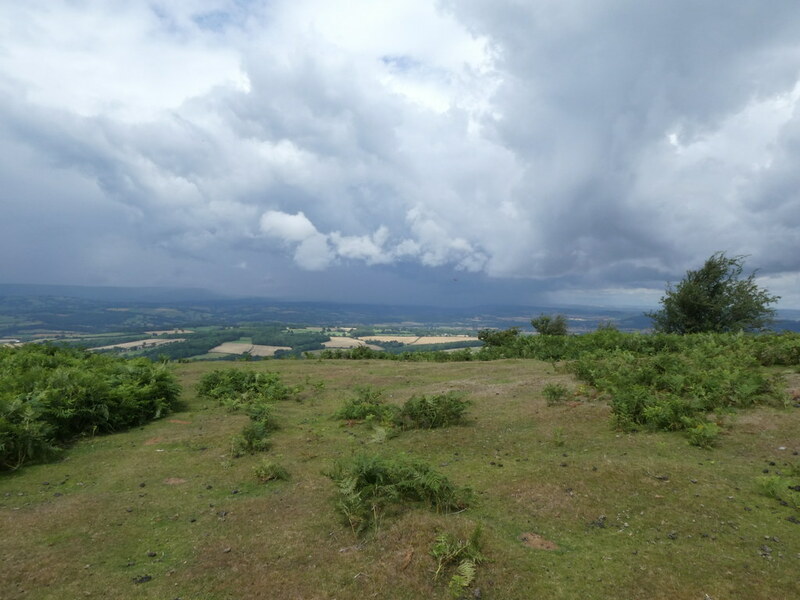 Fickleness of the British weather never ceases to amaze me. 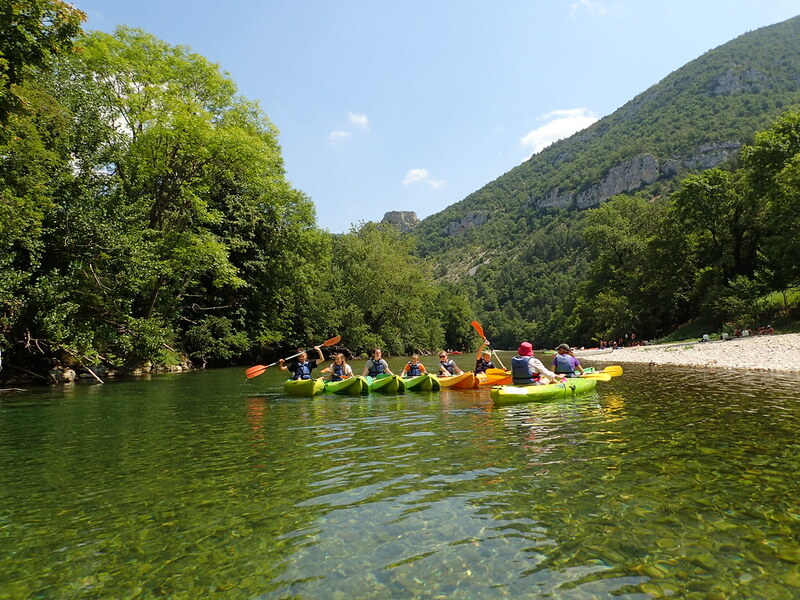 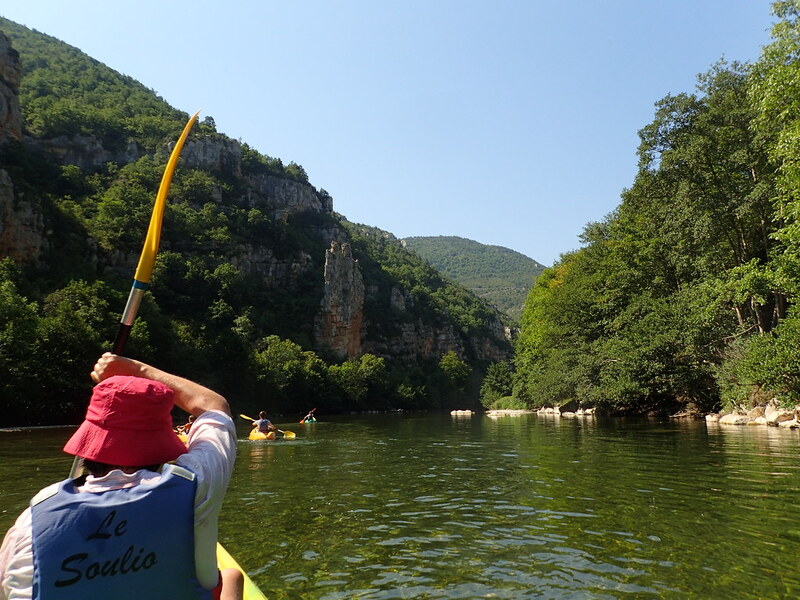 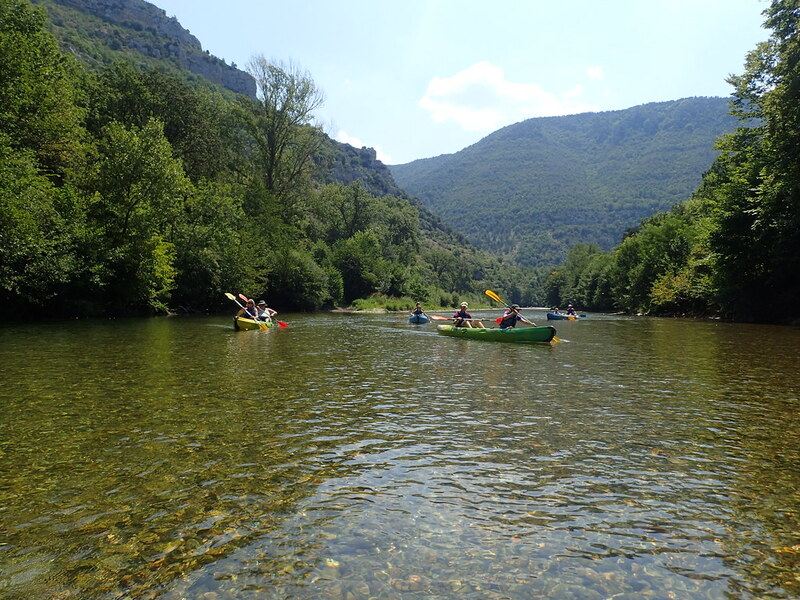 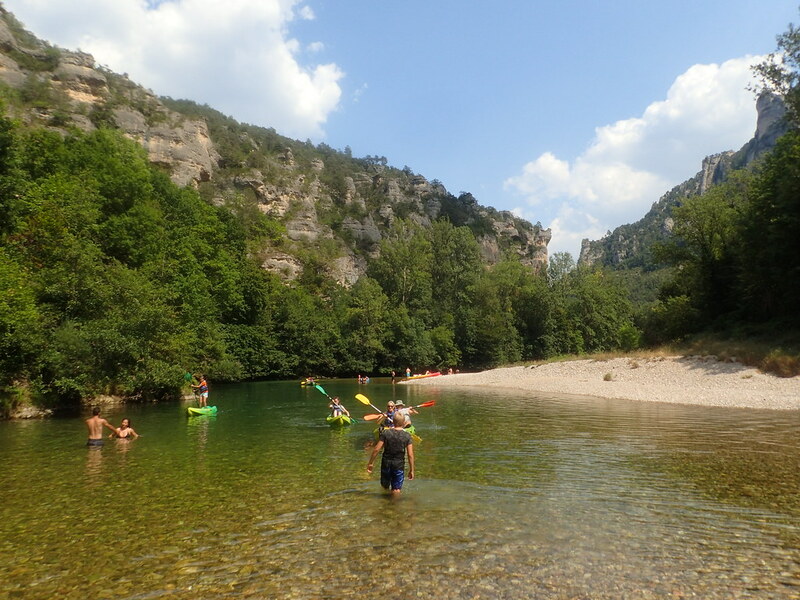 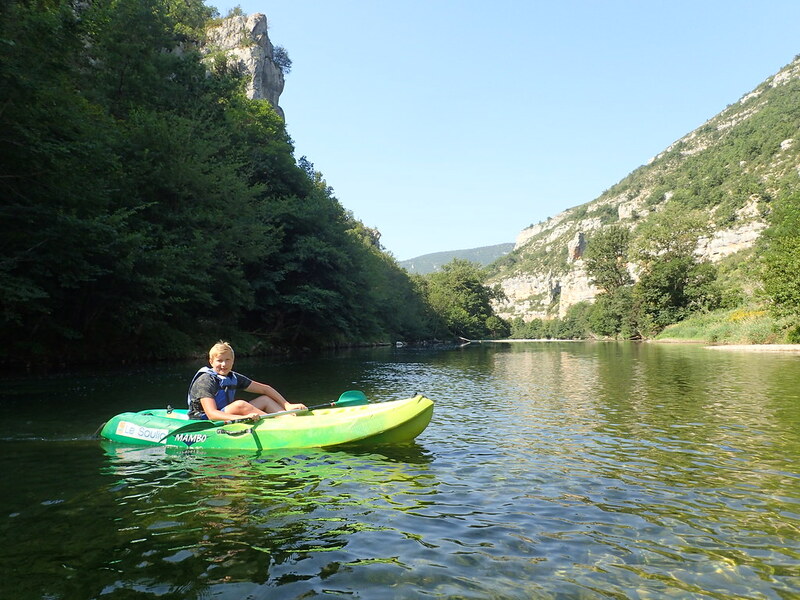 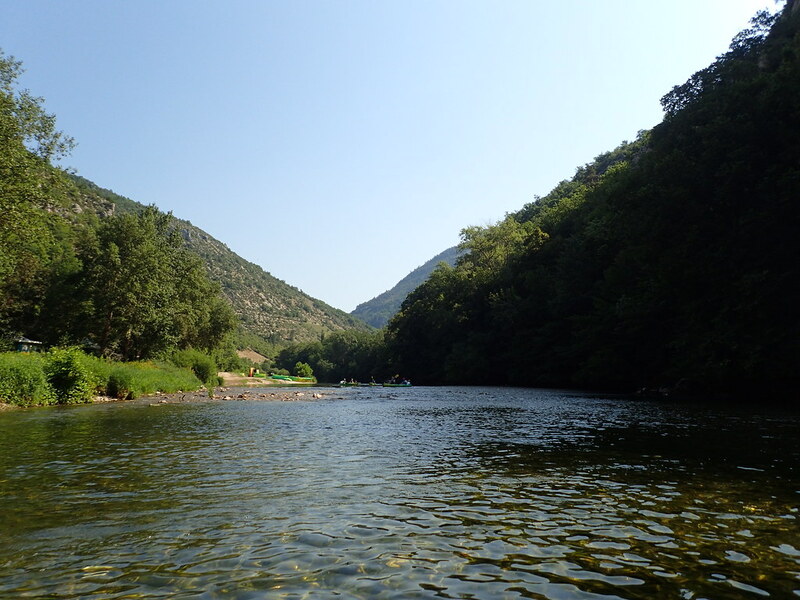 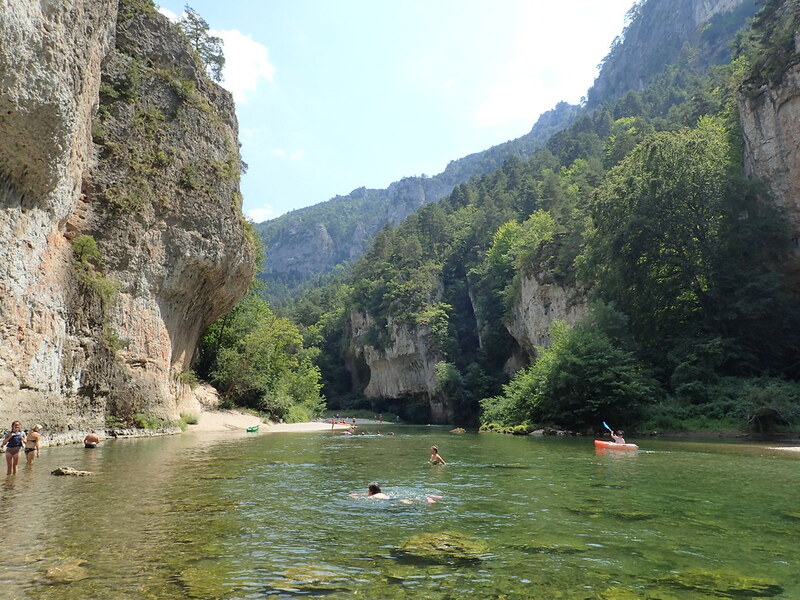 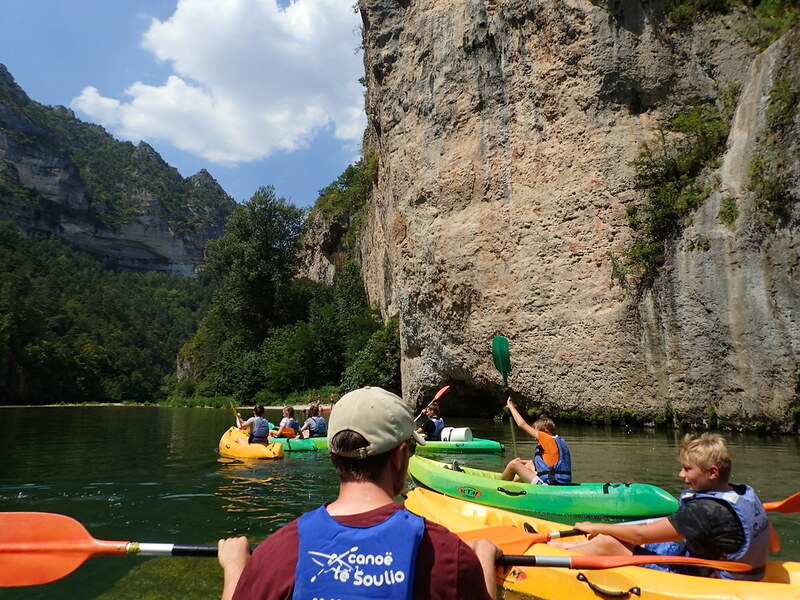 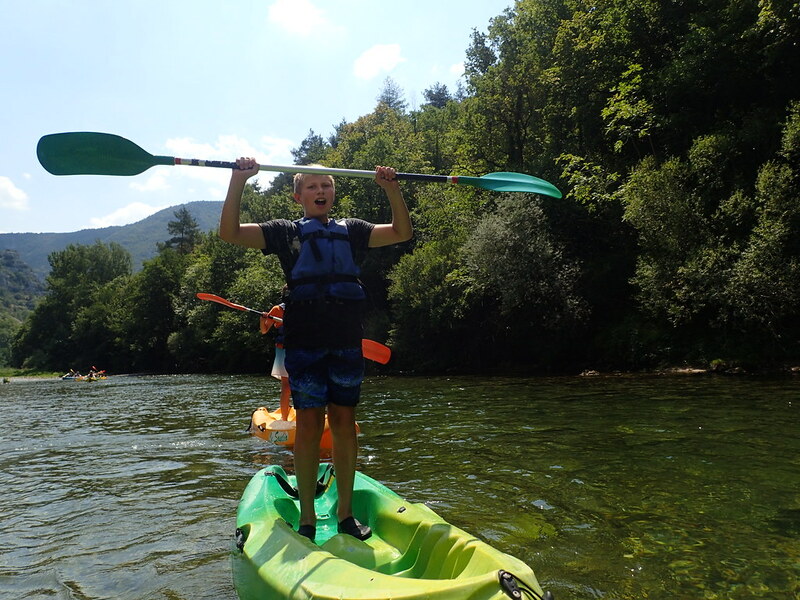 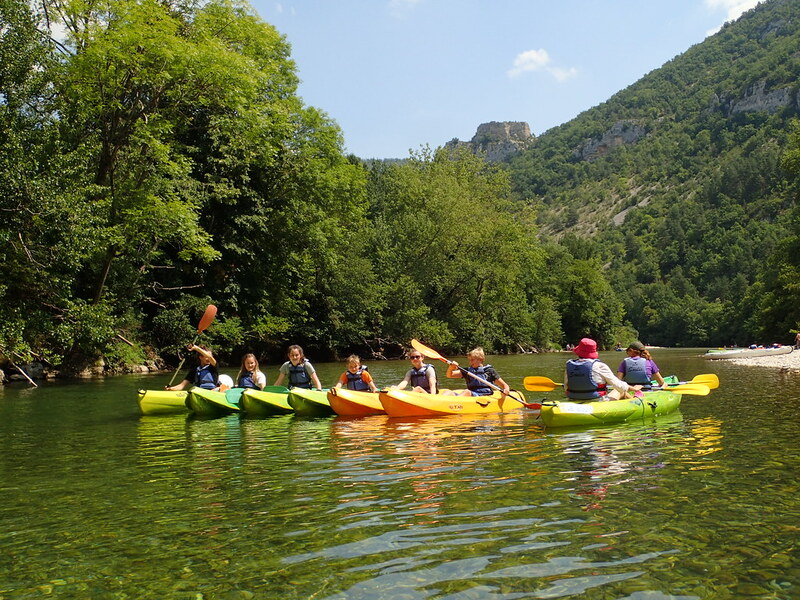 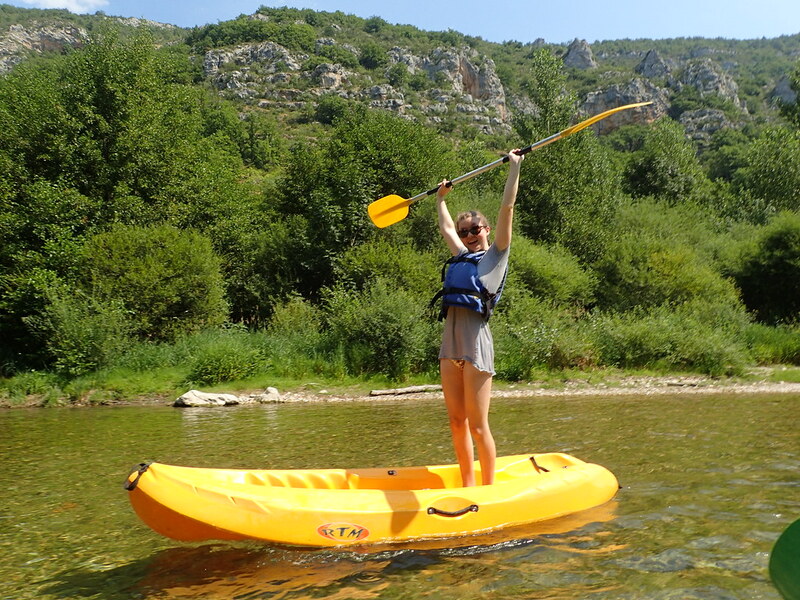 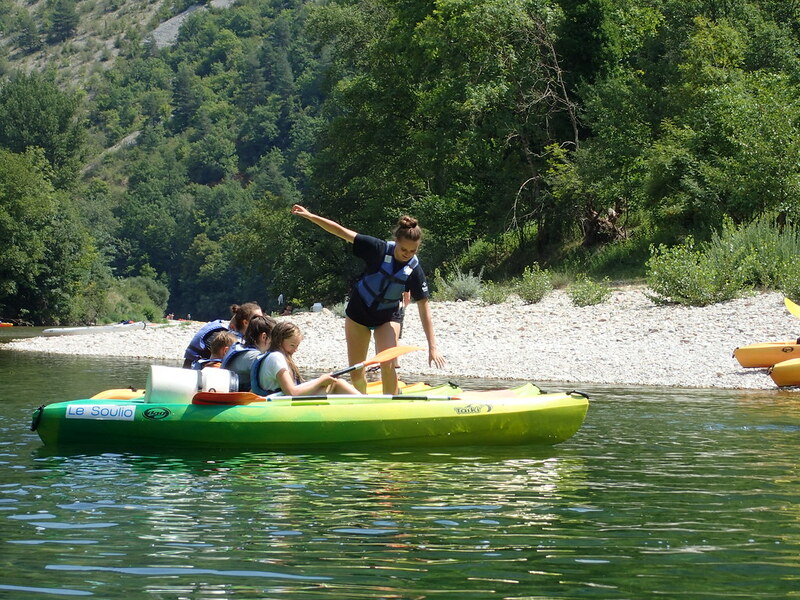 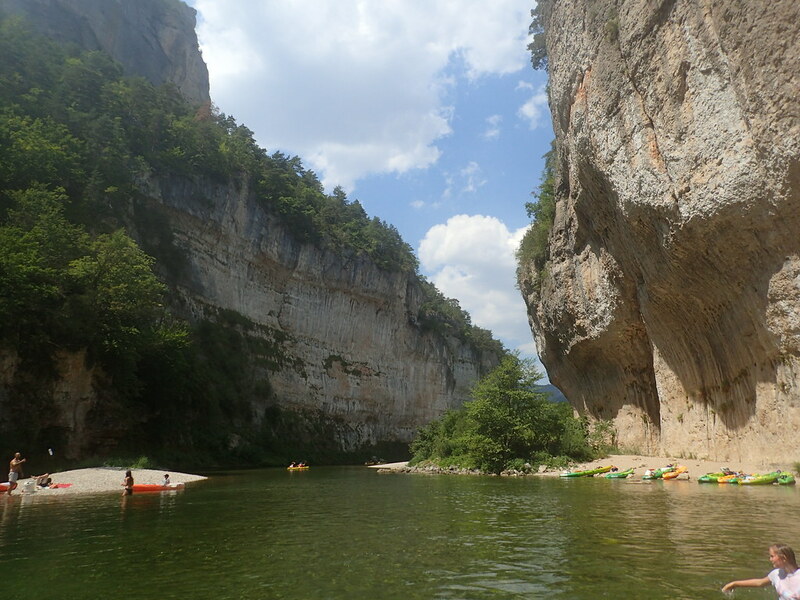 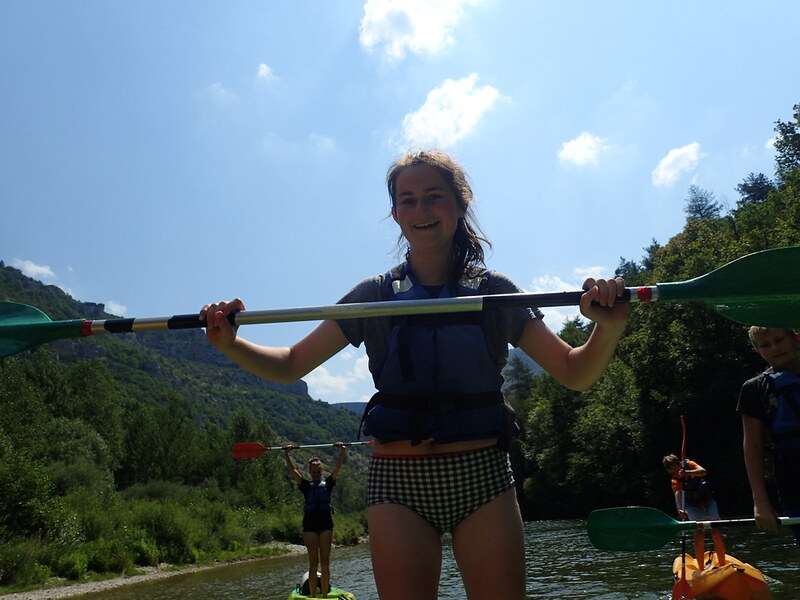 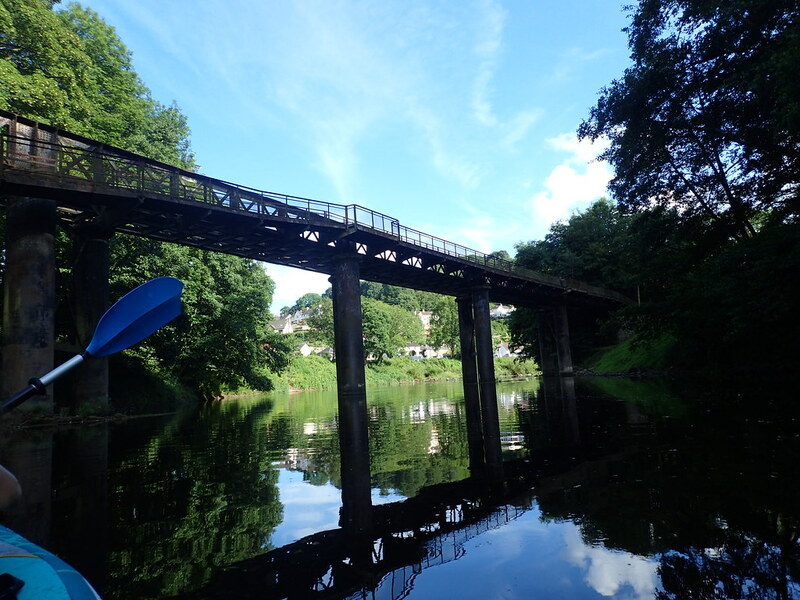 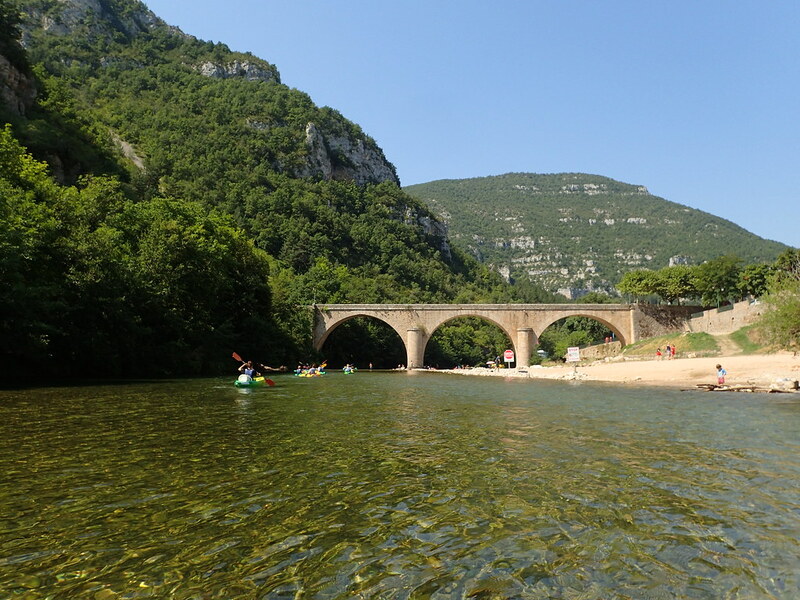 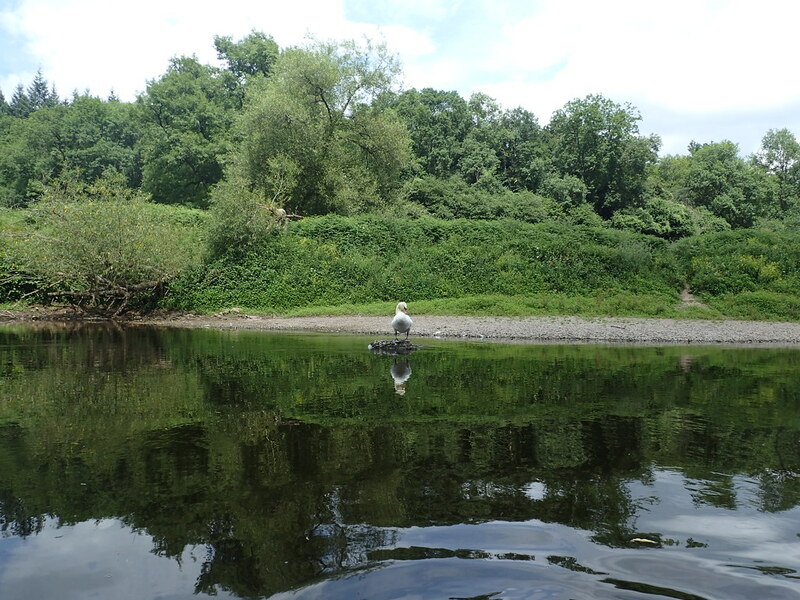 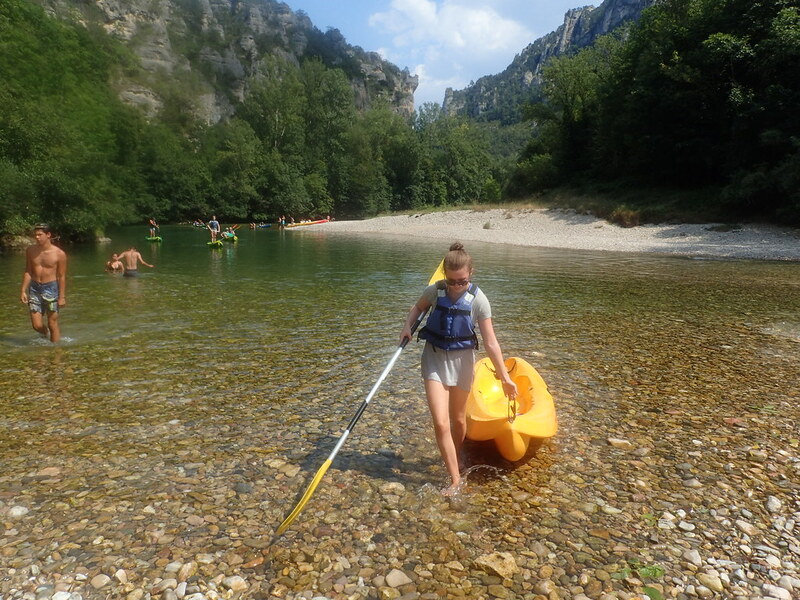 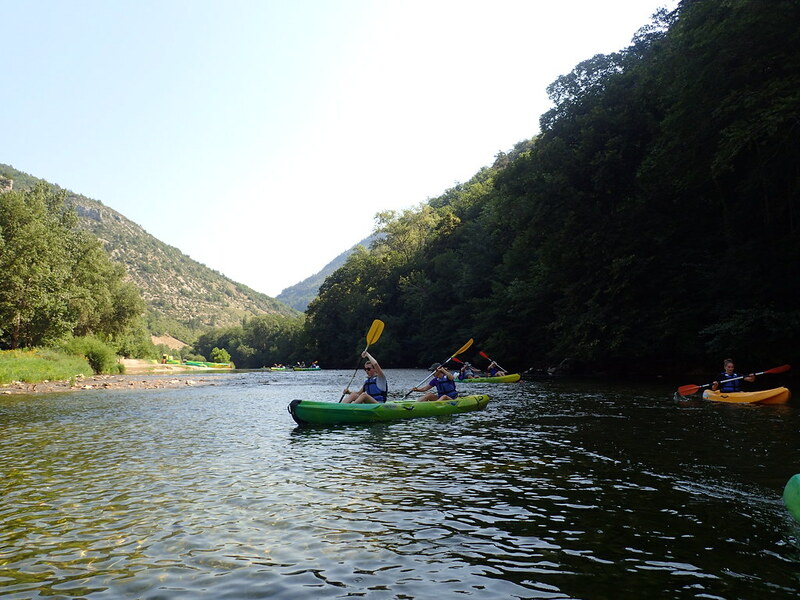 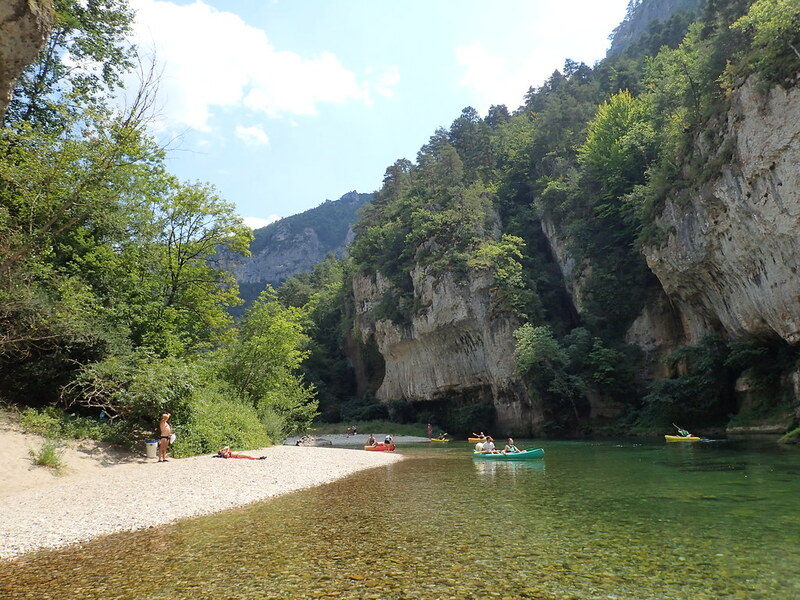 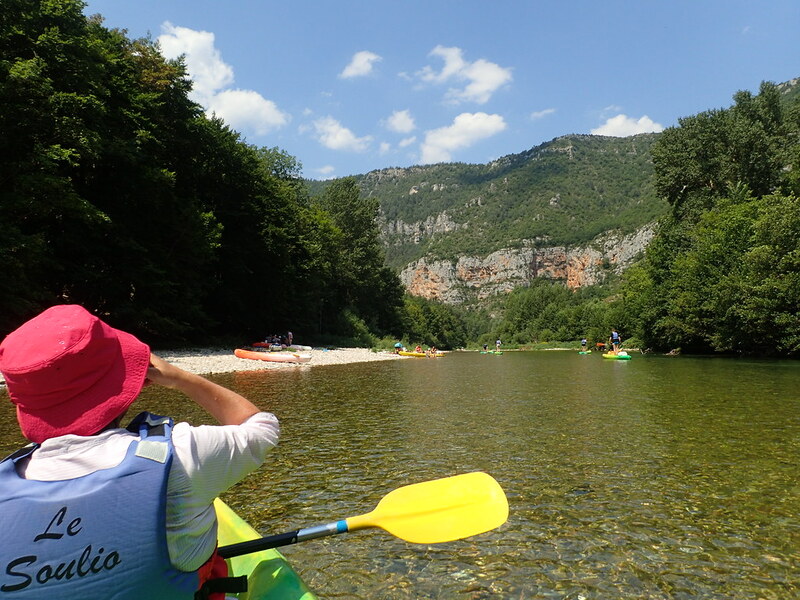 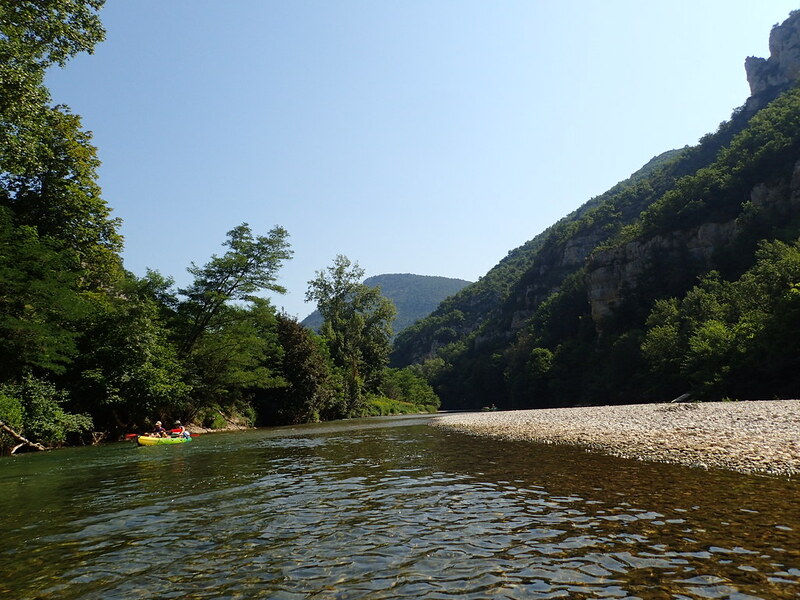 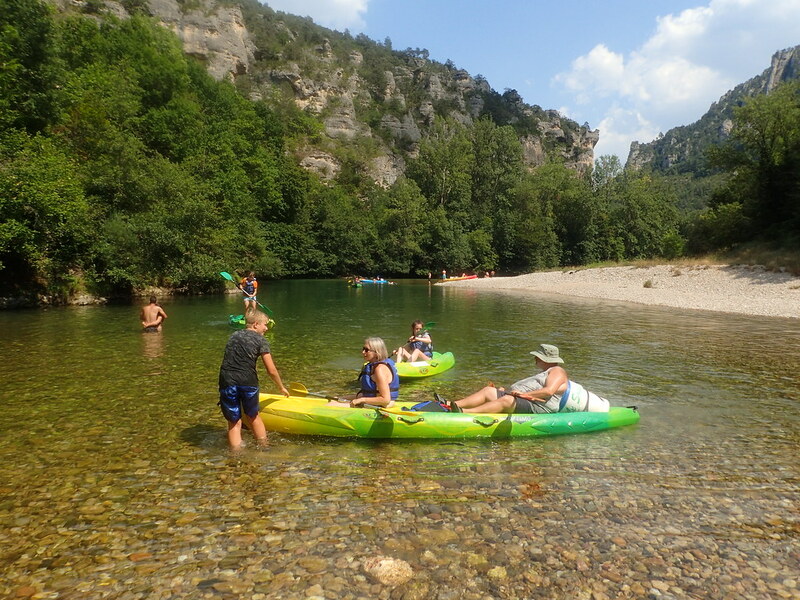 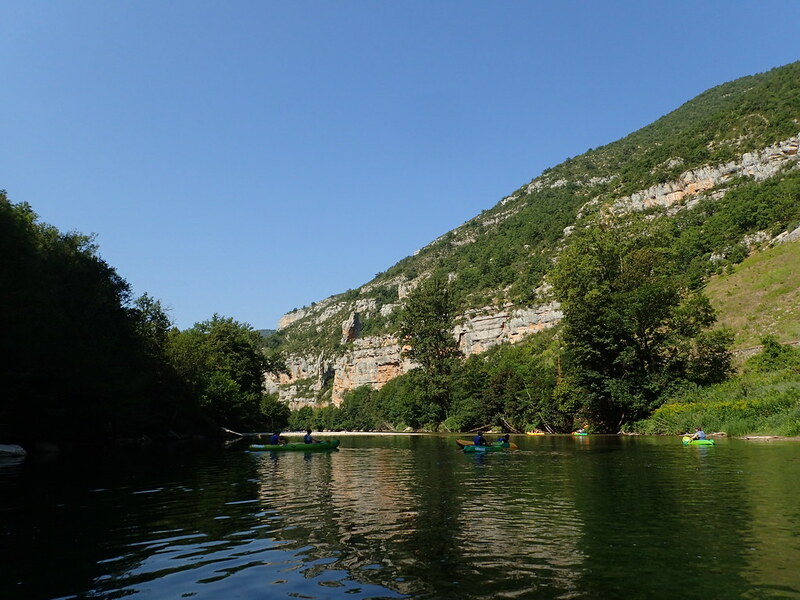 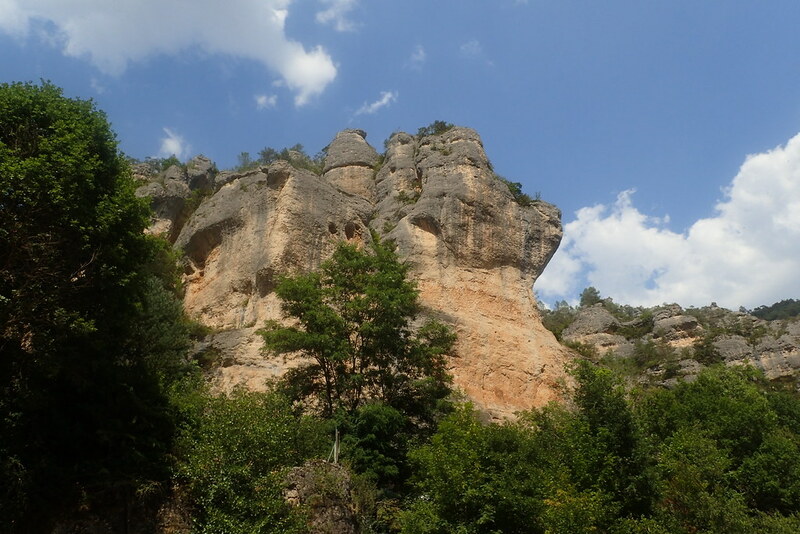 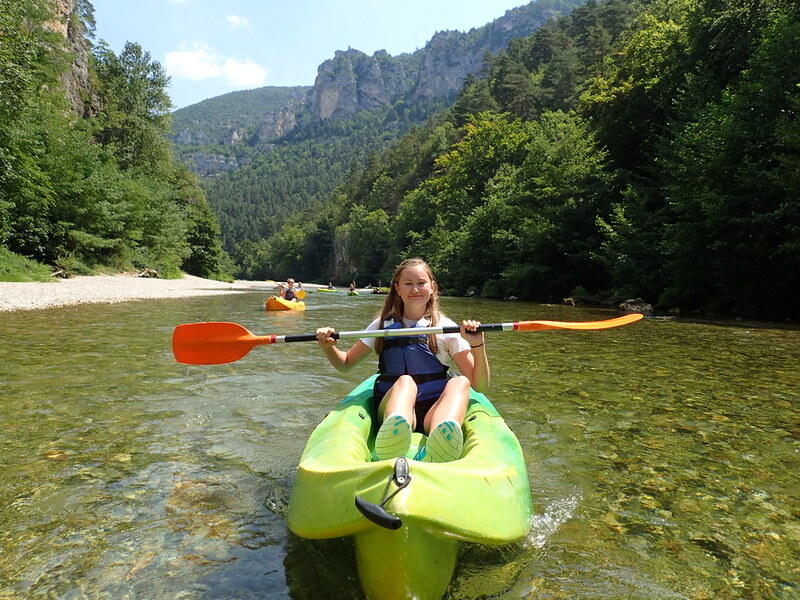 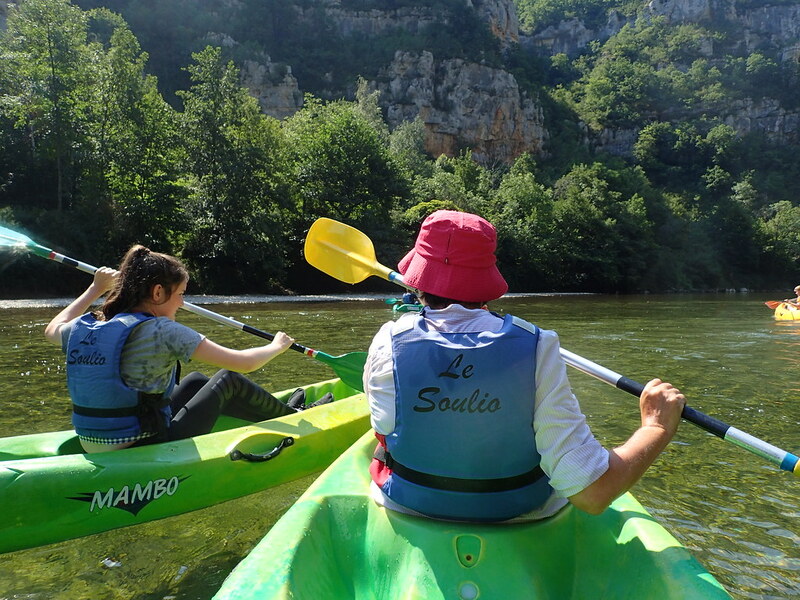 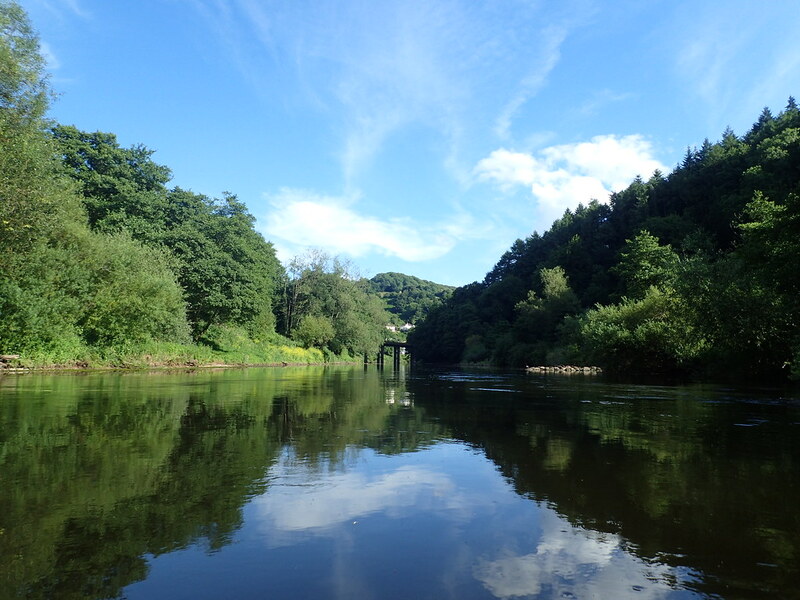 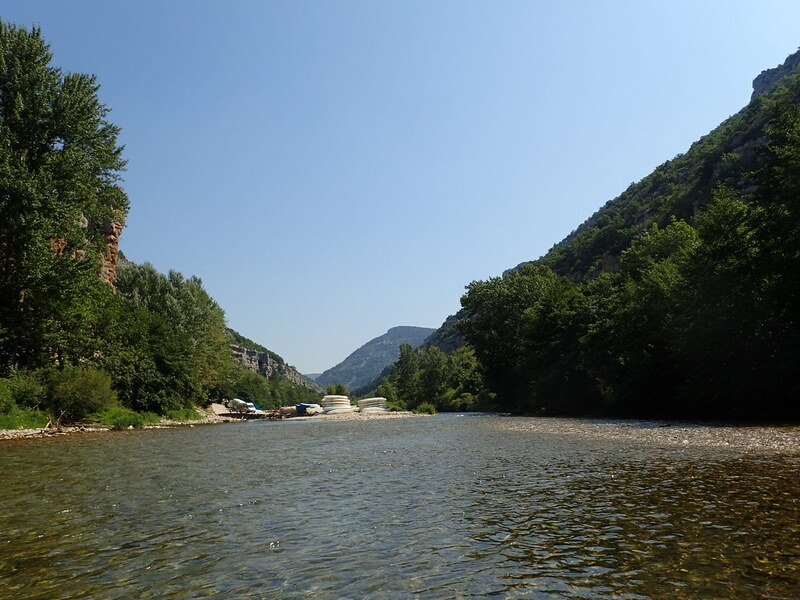 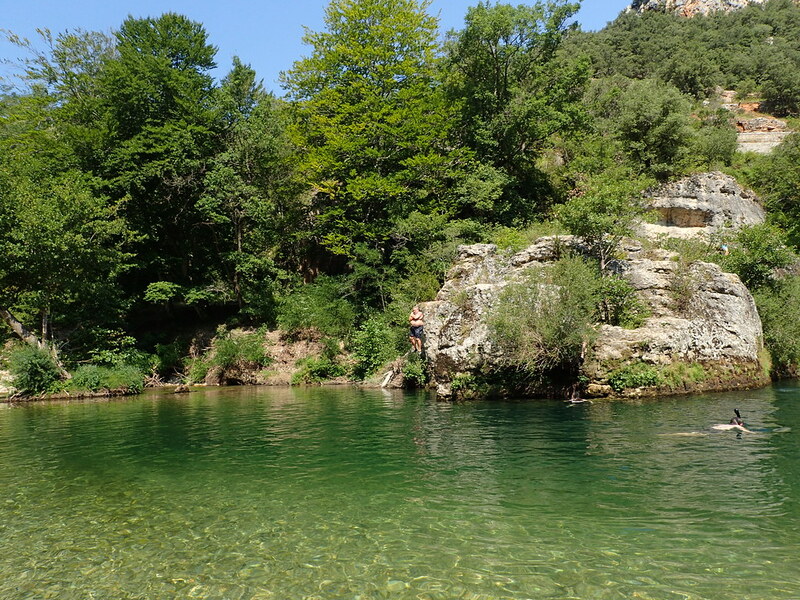 The highlight of any stay in the Tarn Gorge is a trip down the river in a kayak. 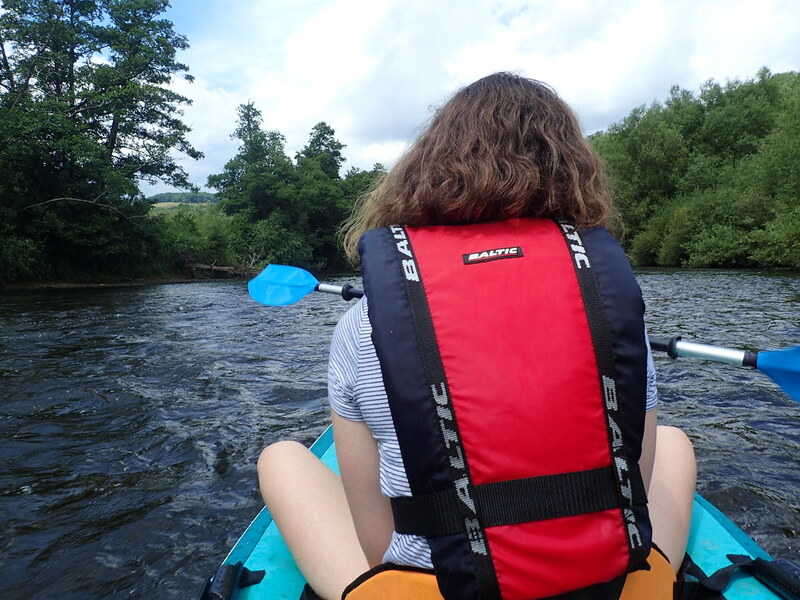 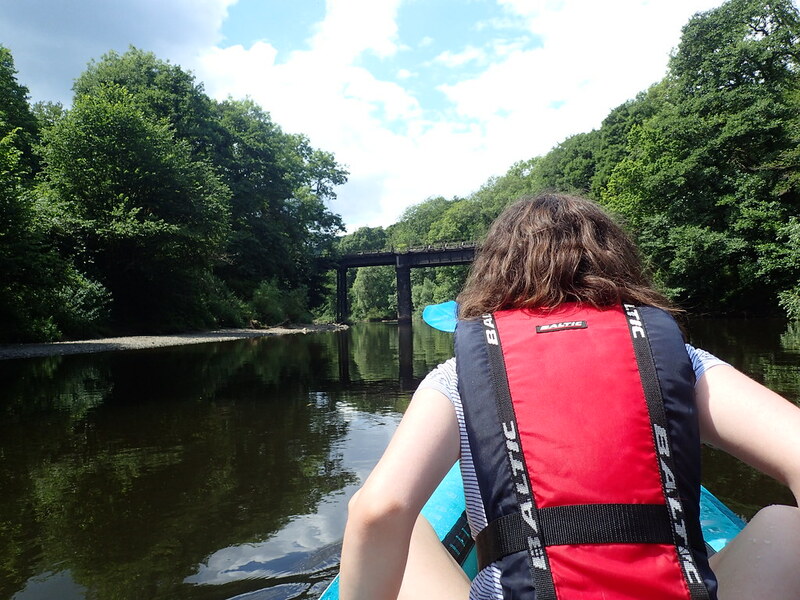 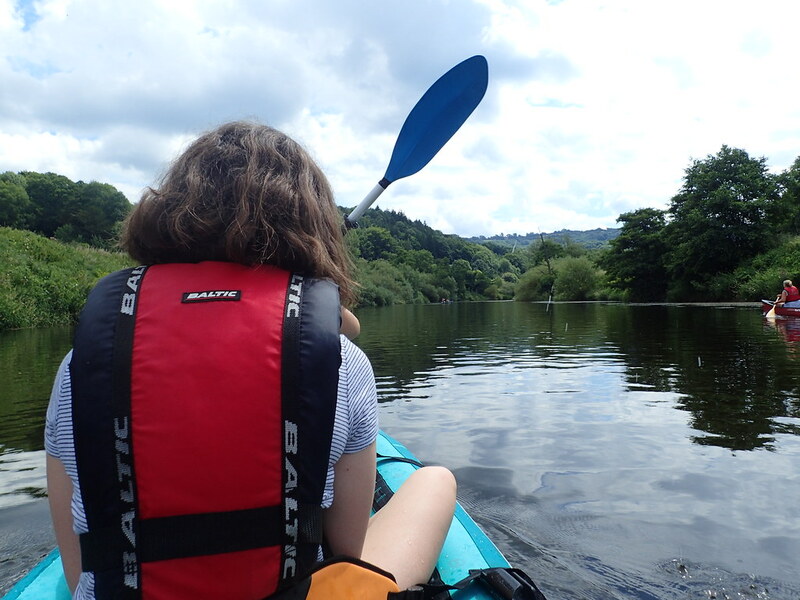 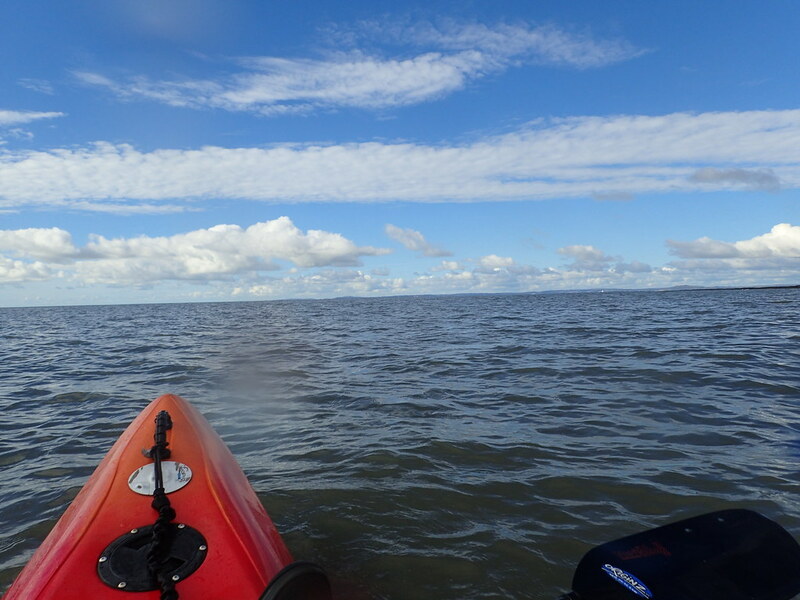 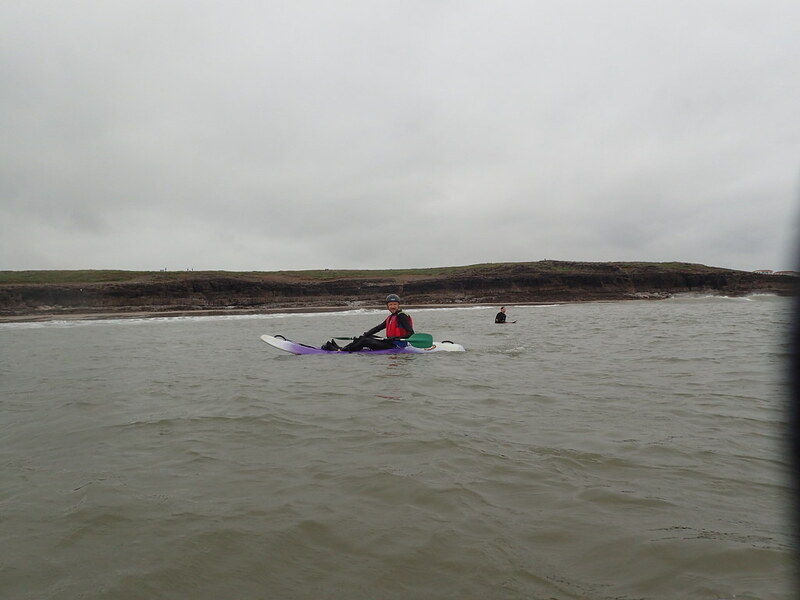 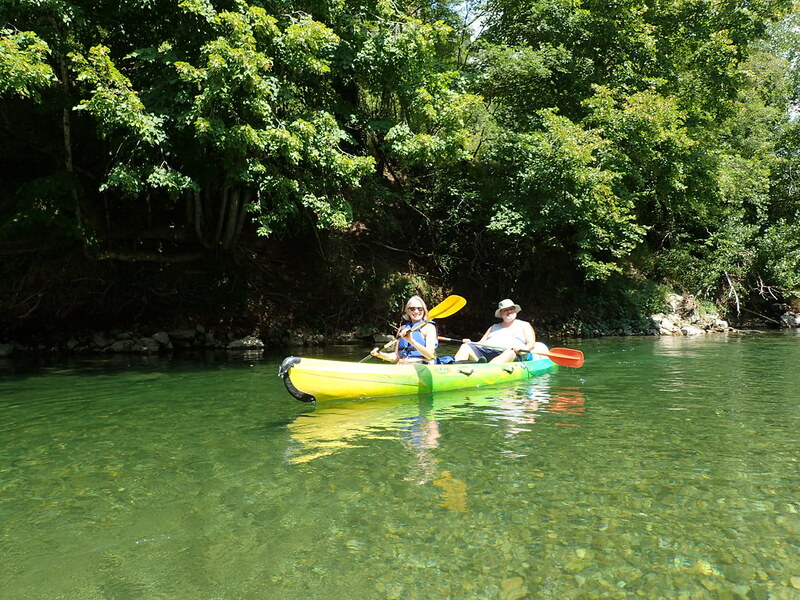 Many stretches are not easily accessible from the road, especially the narrowest section so a kayak is the best way to see it as well as being a huge amount of fun. 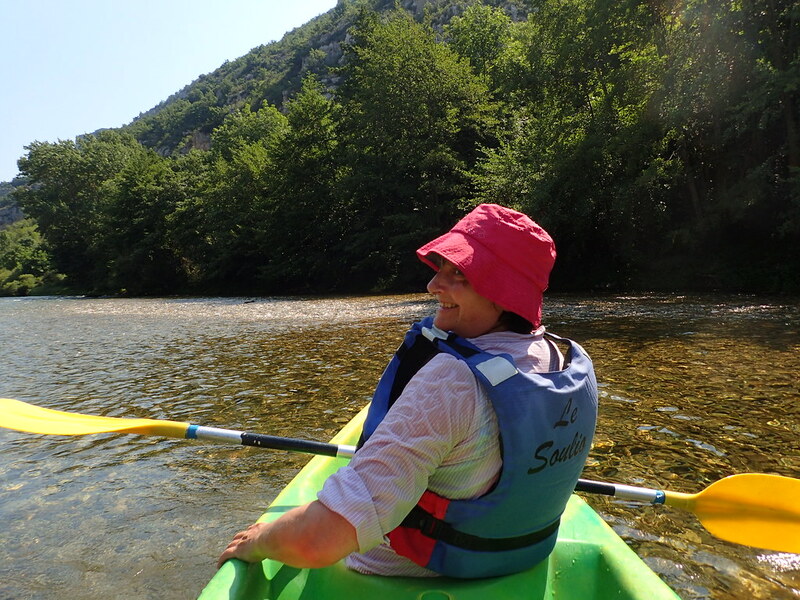 Our friend J clearly having a great time – shame about that hat! 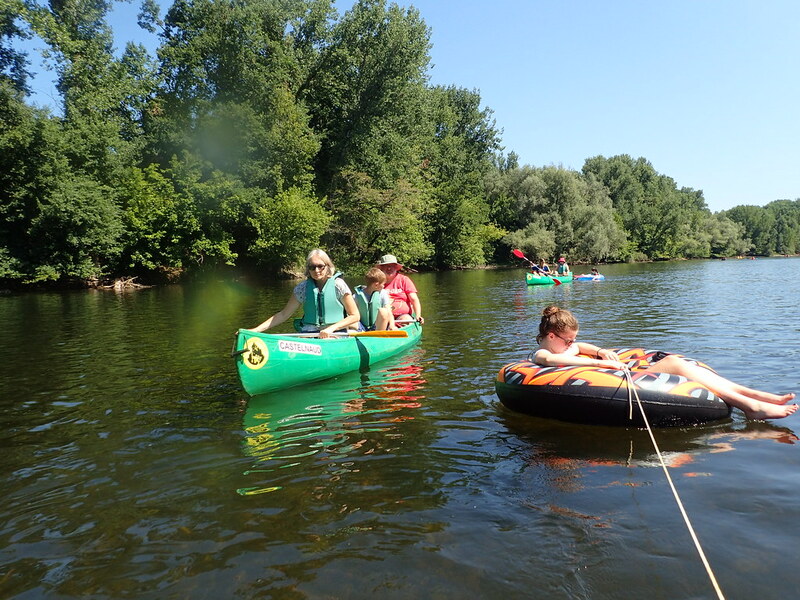 The kids decided they were skilled enough to actually stand up in the kayaks. 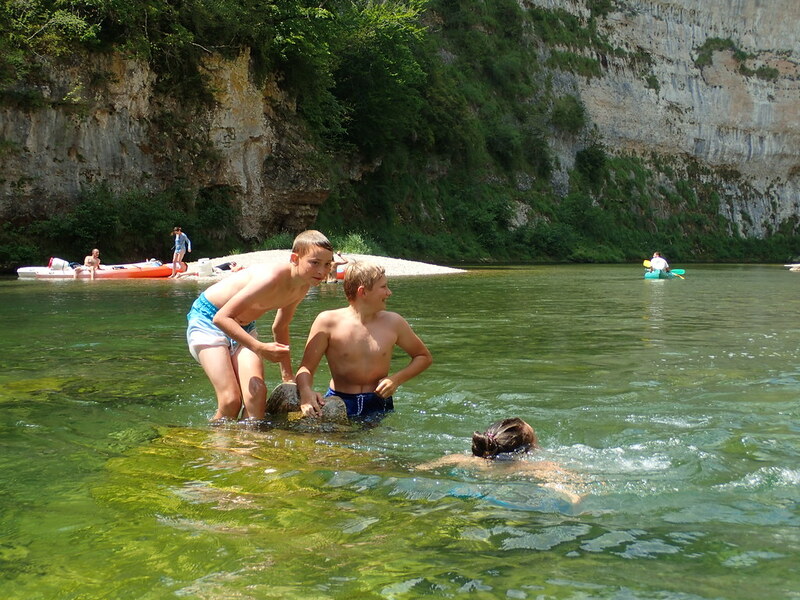 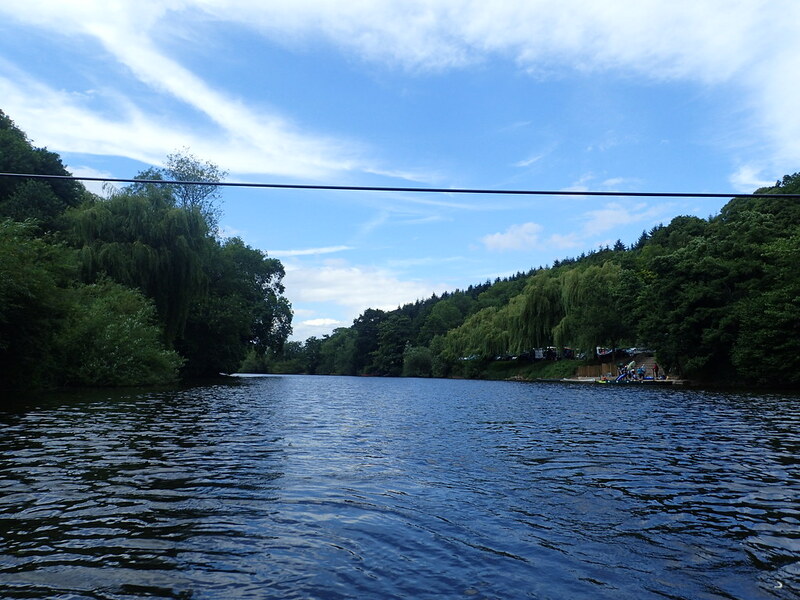 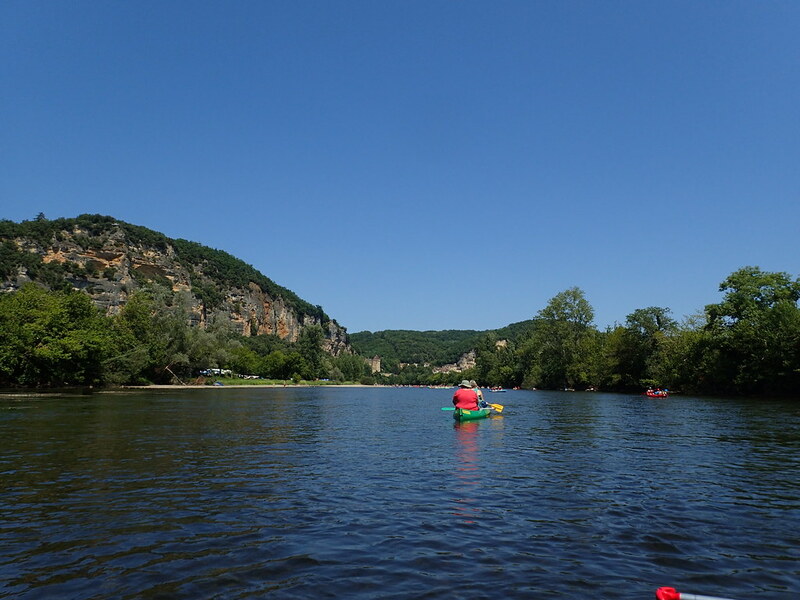 Here is TJF, the DBs and C.
There is a whole collection of stuff to do in the Dordogne region. 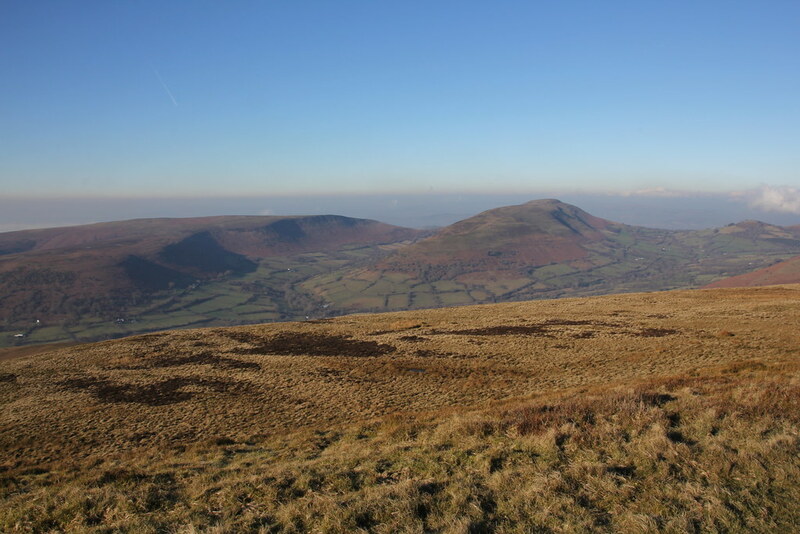 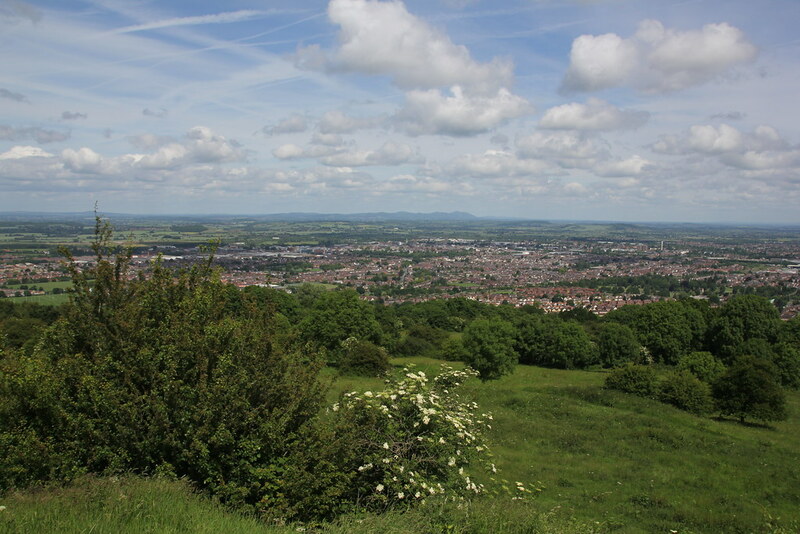 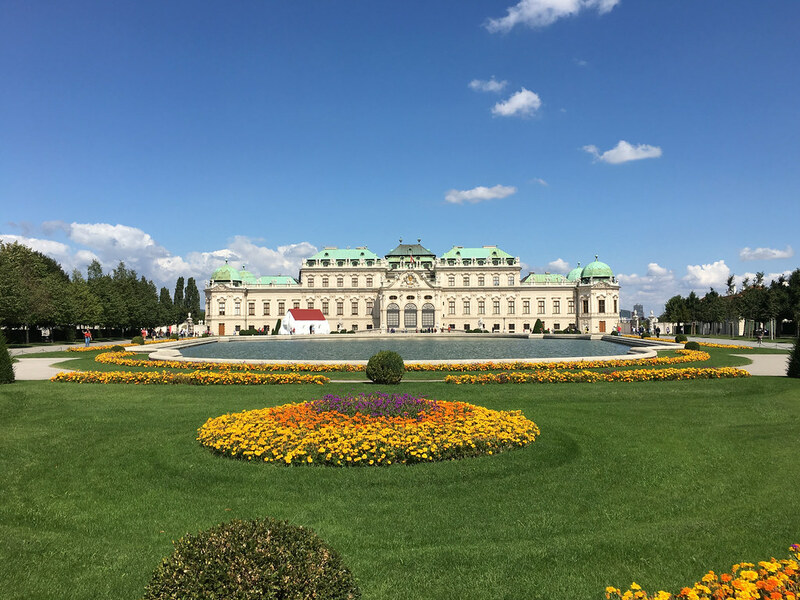 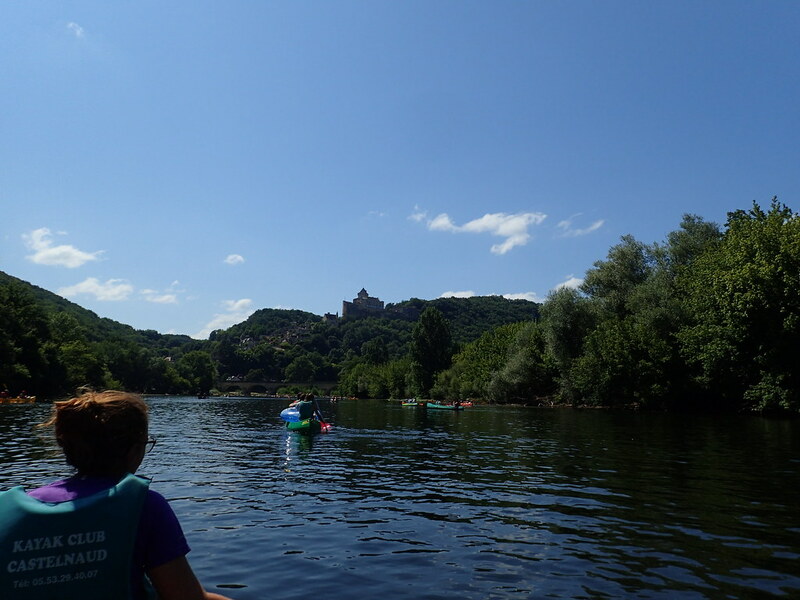 Castles, caves, gardens, towns and the usual collection of activity based adventures. 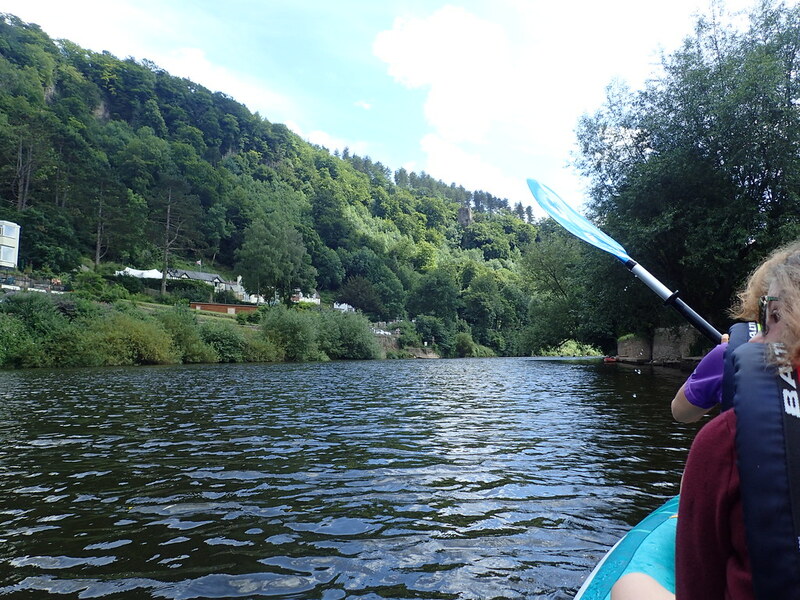 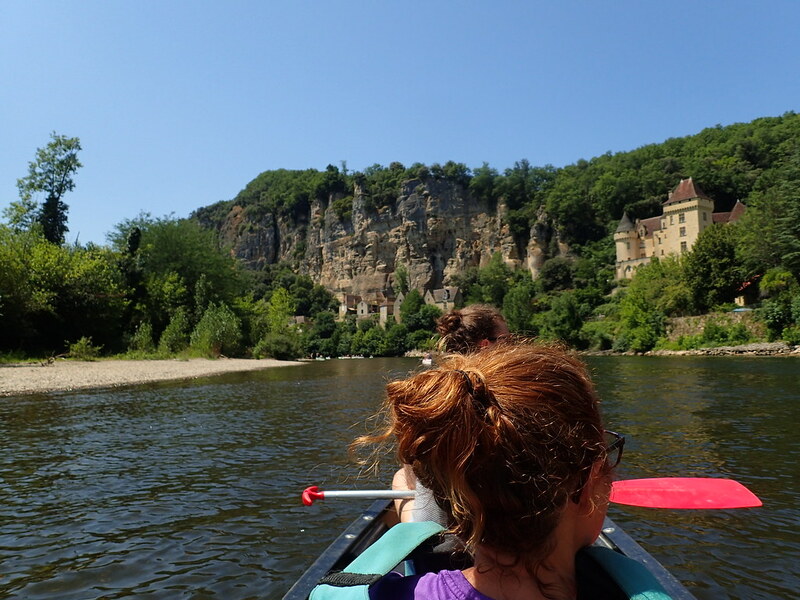 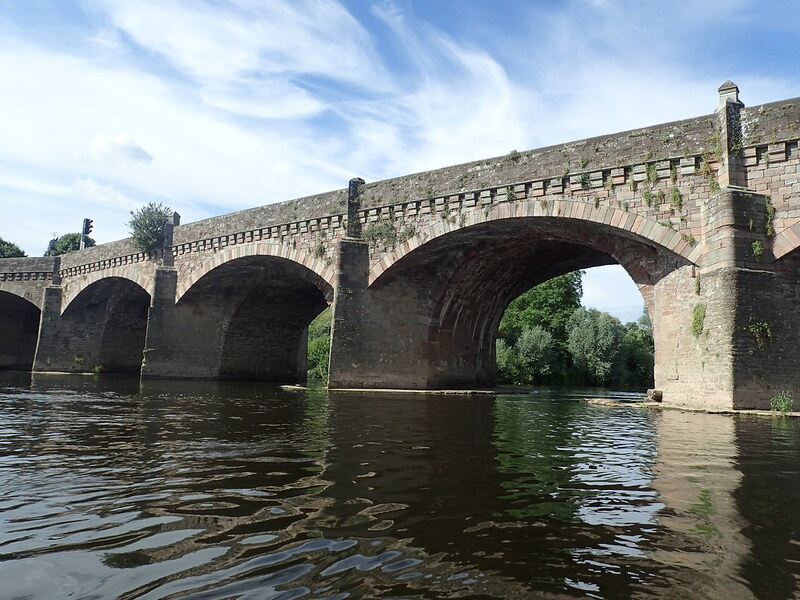 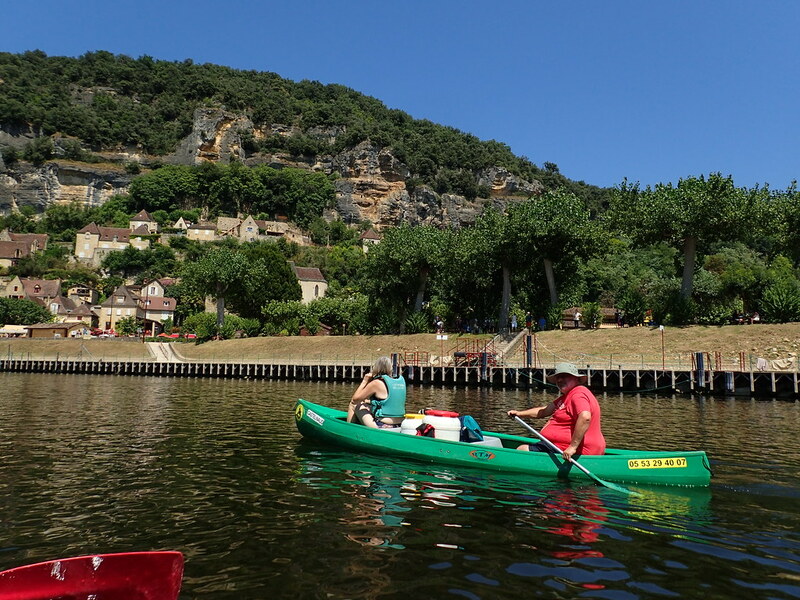 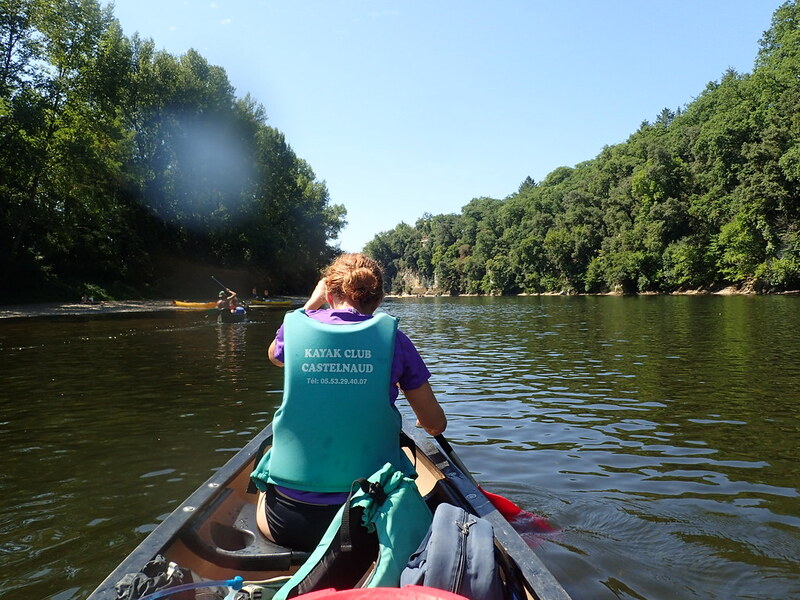 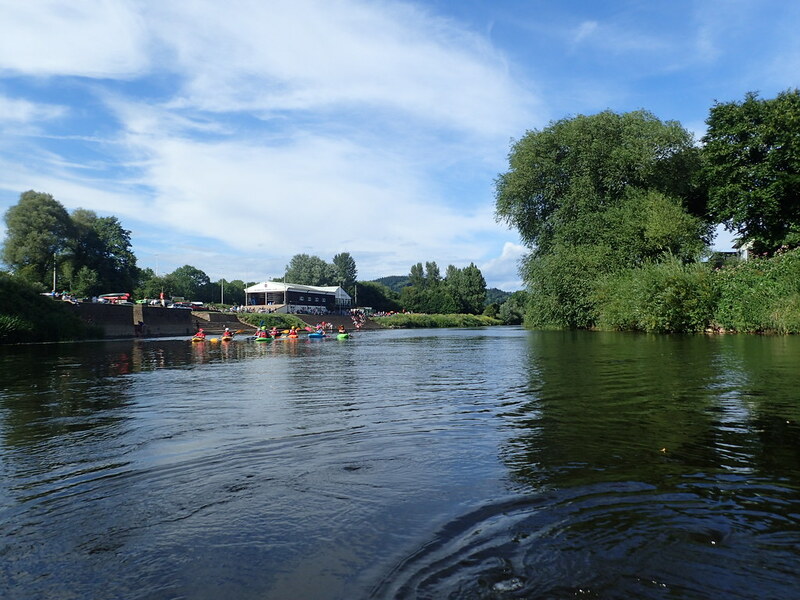 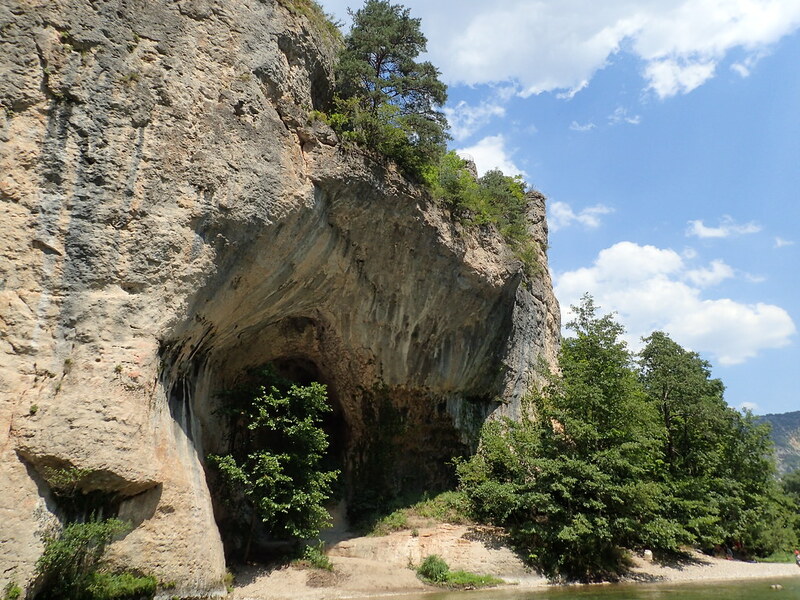 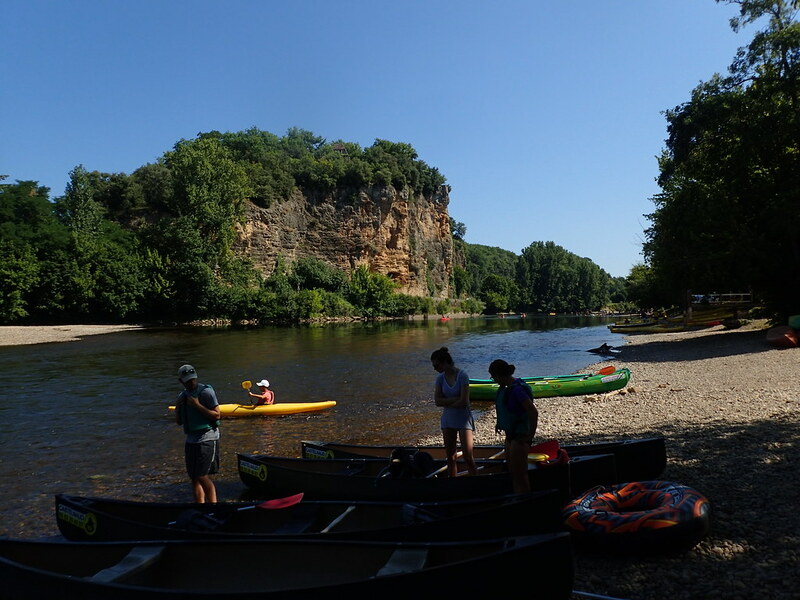 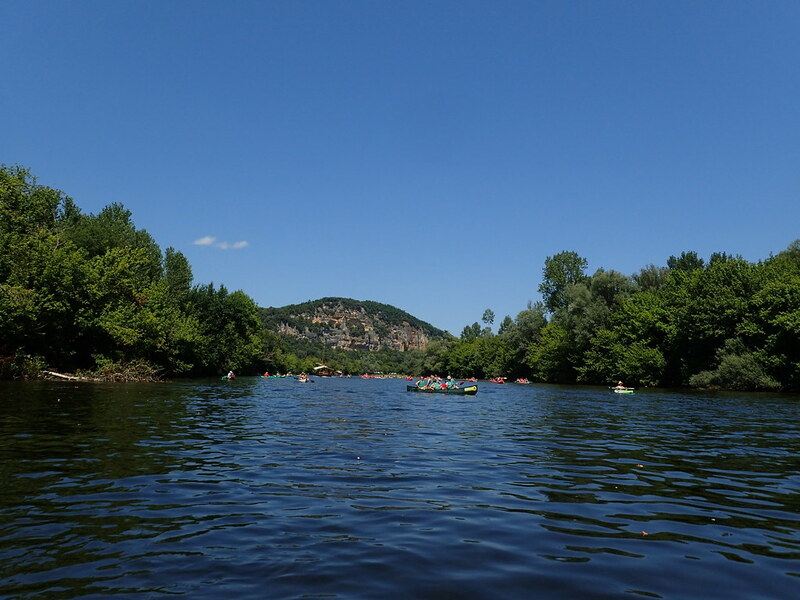 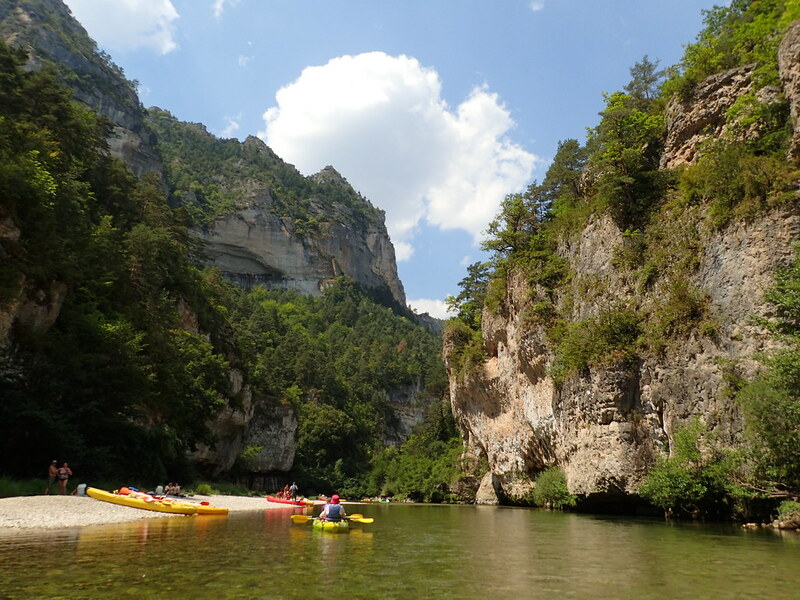 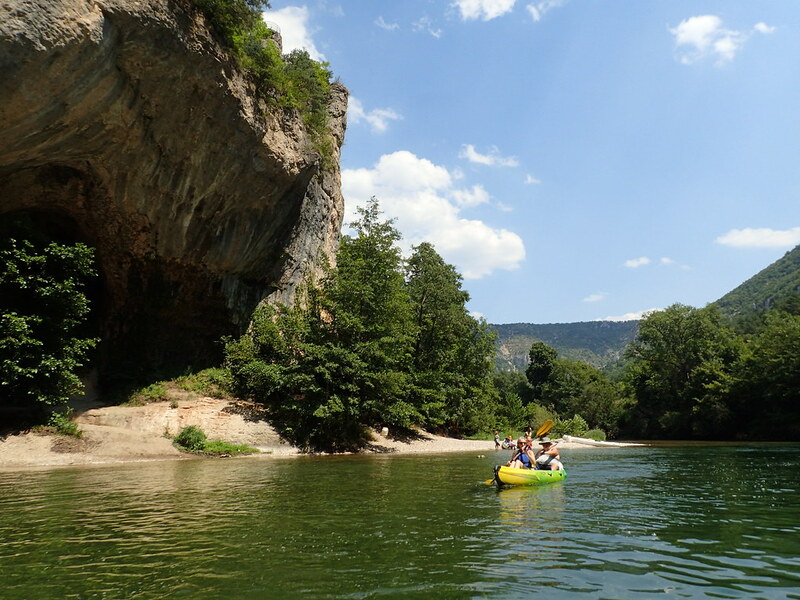 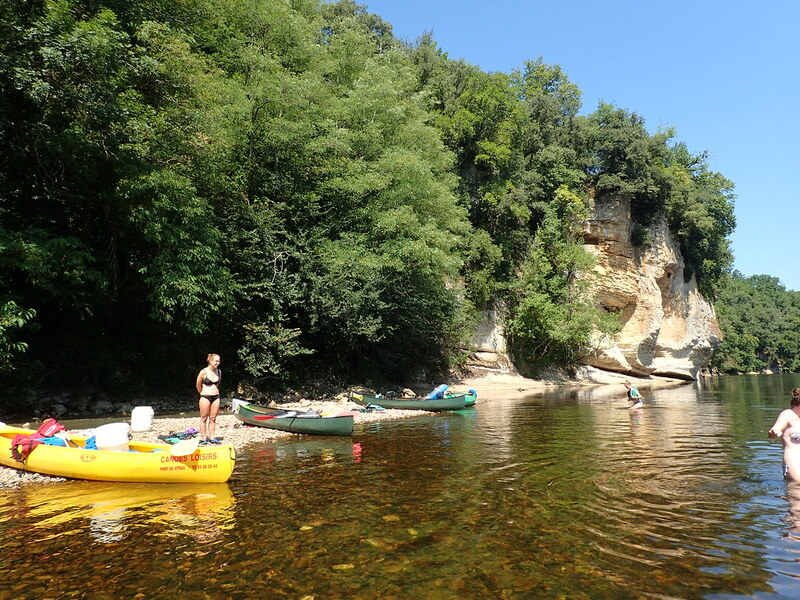 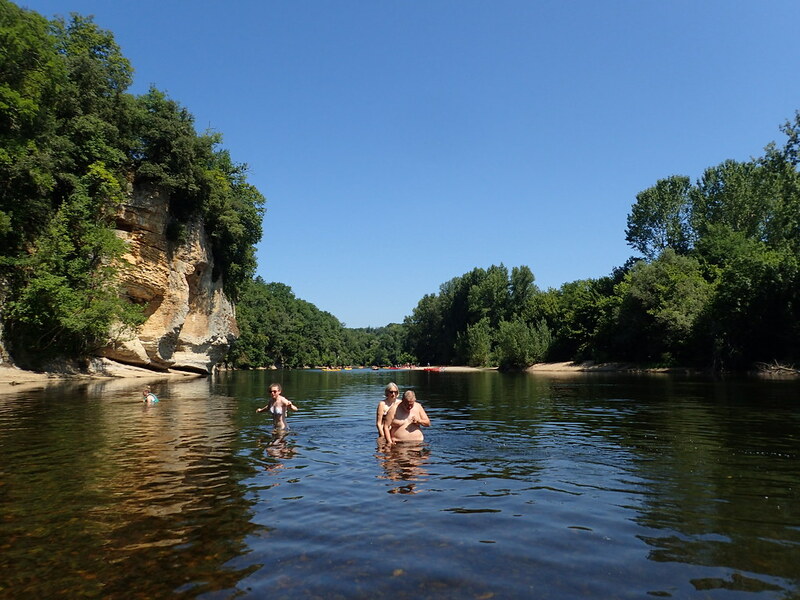 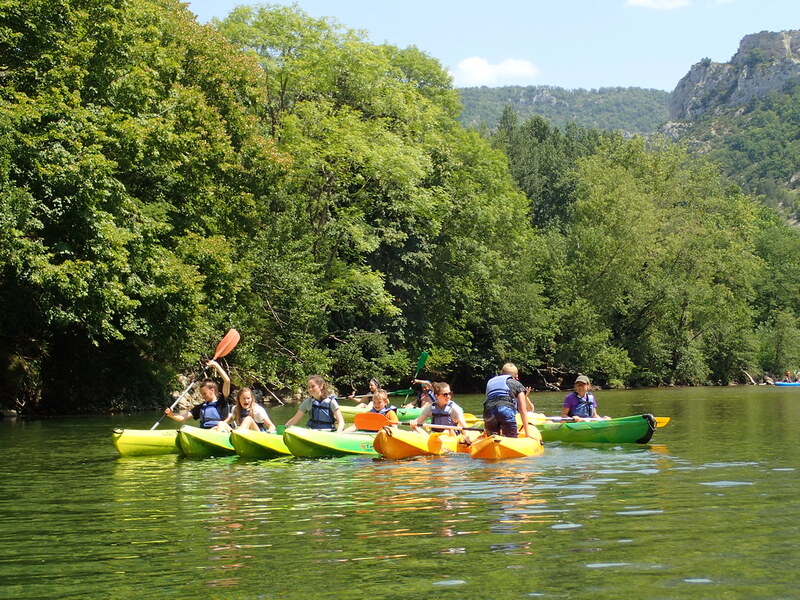 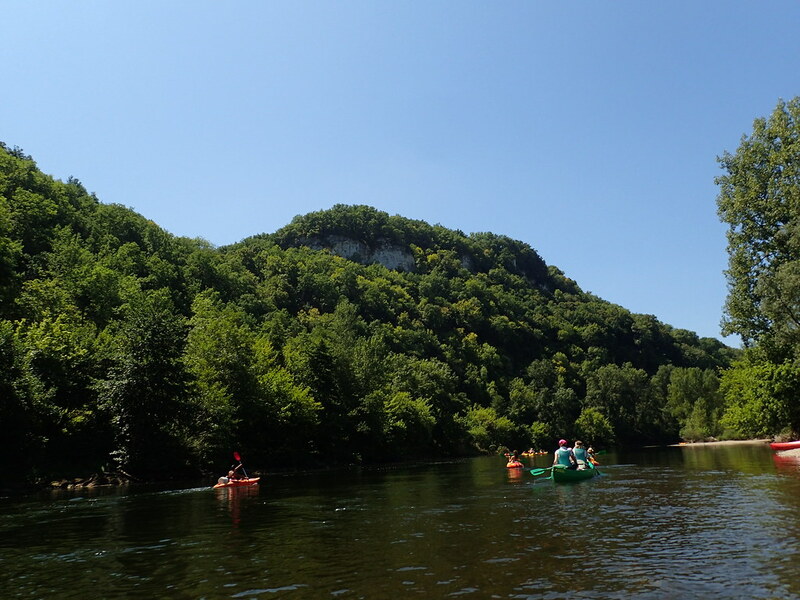 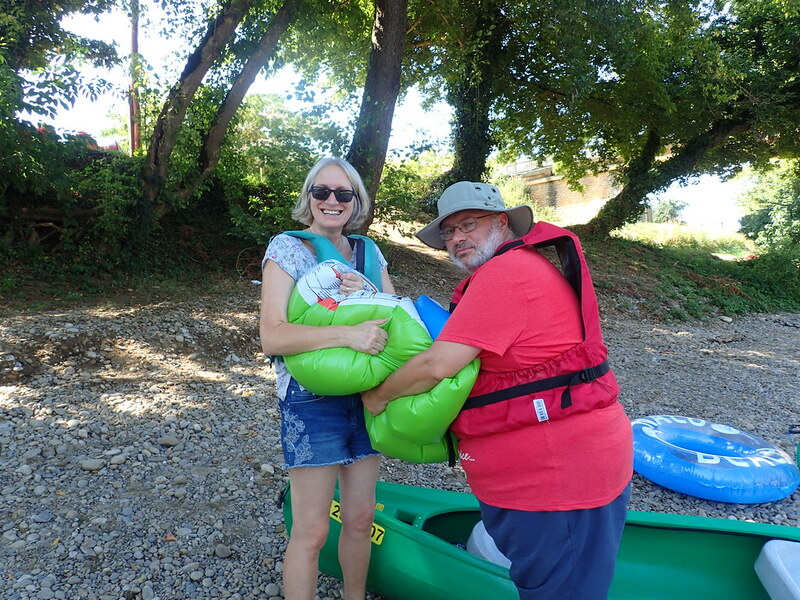 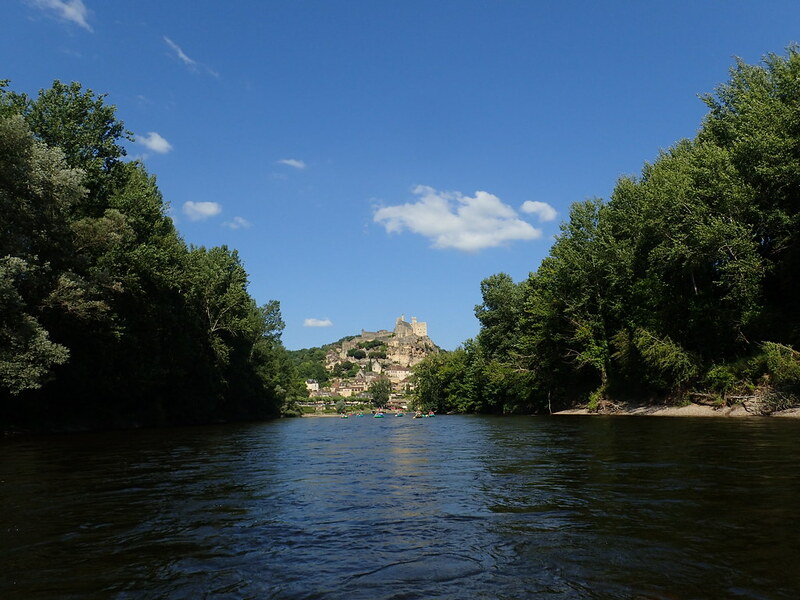 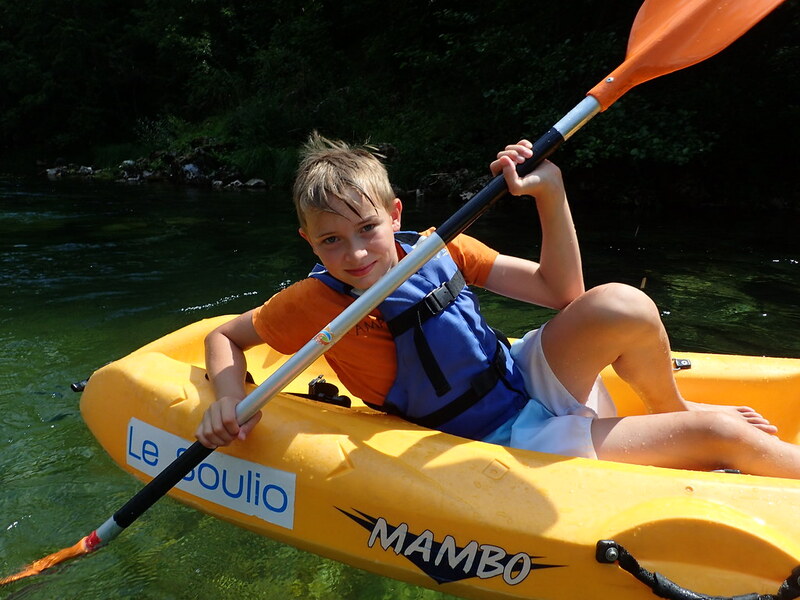 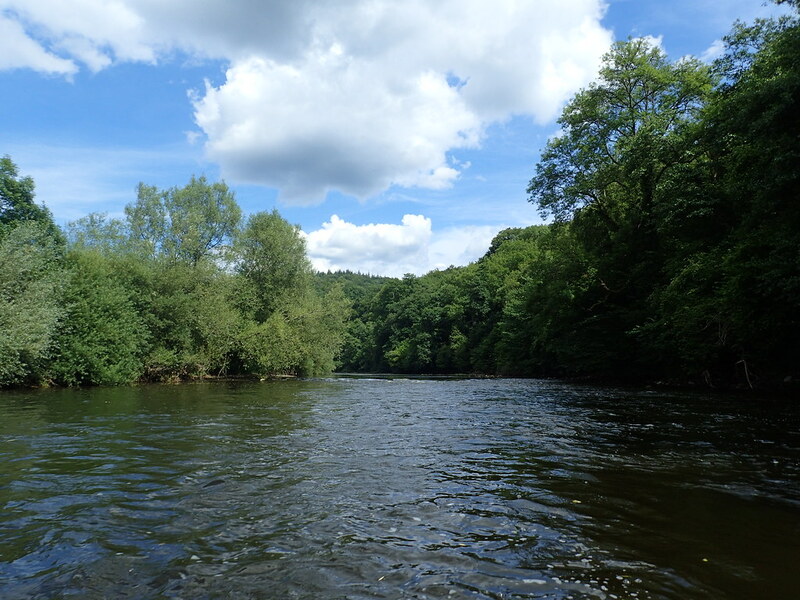 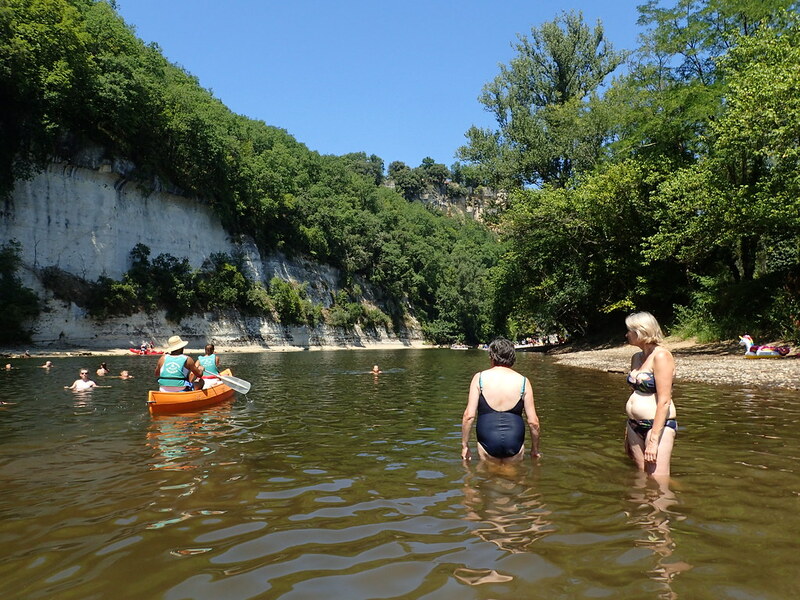 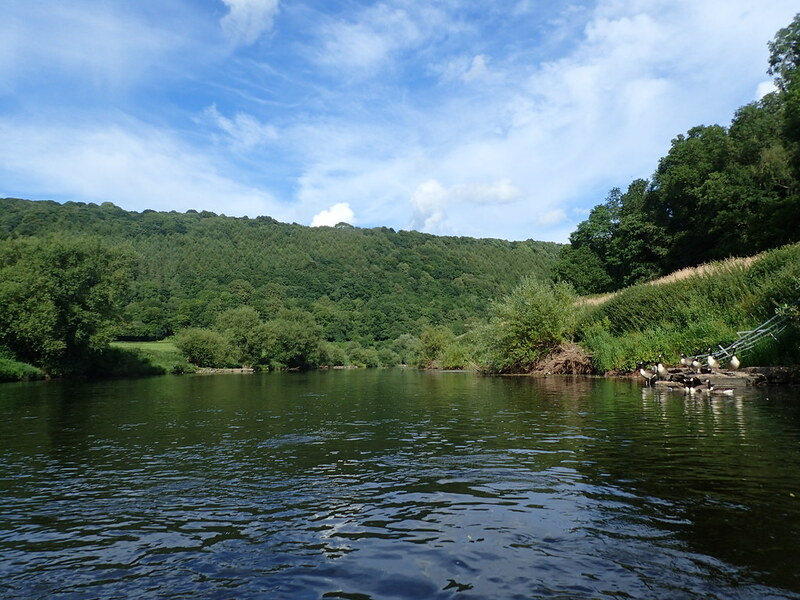 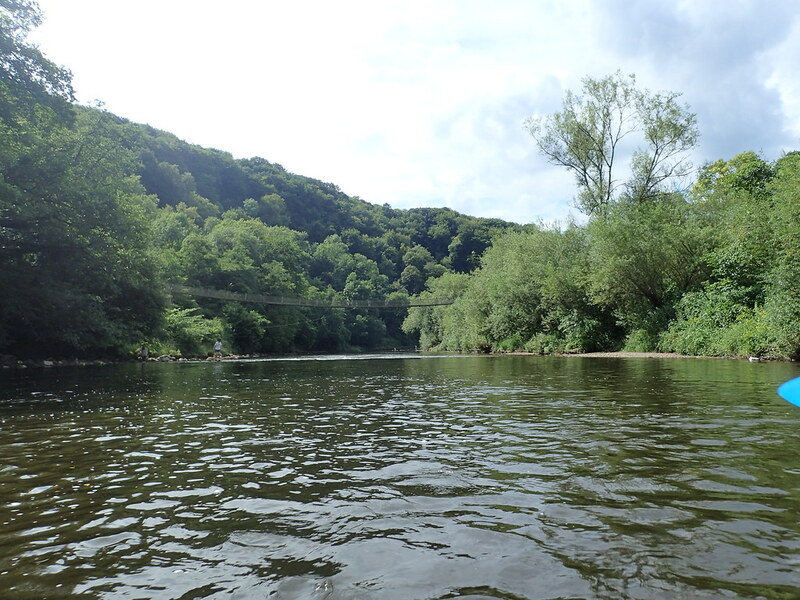 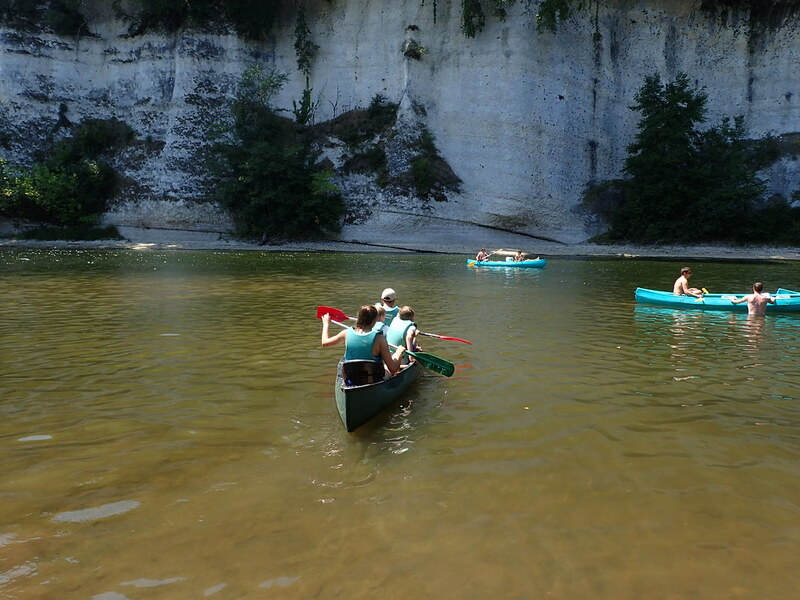 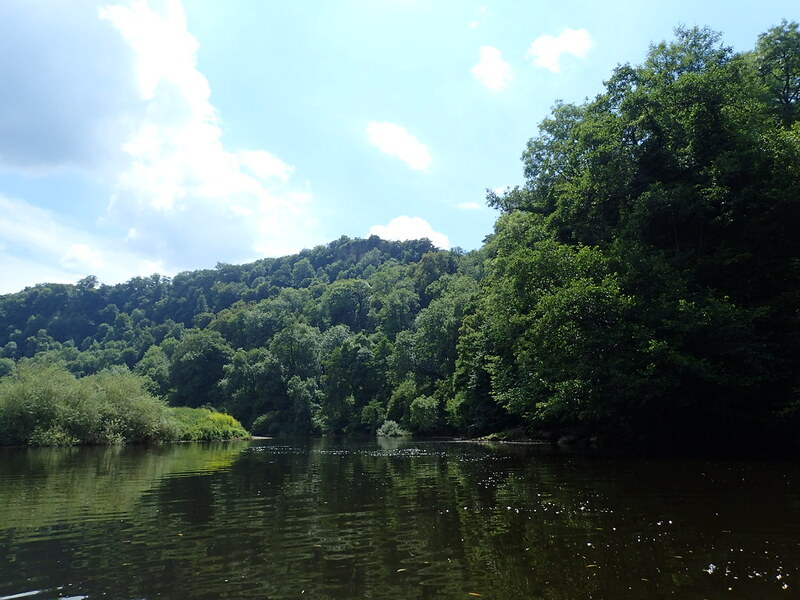 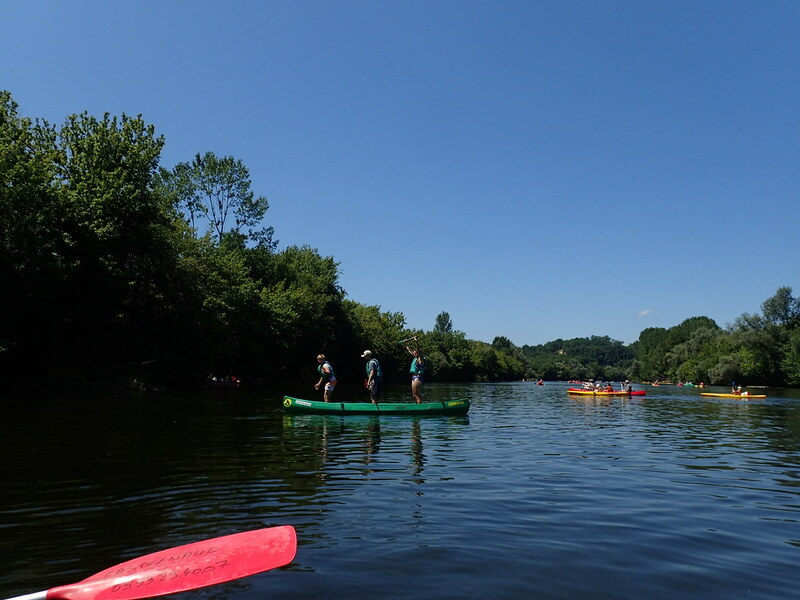 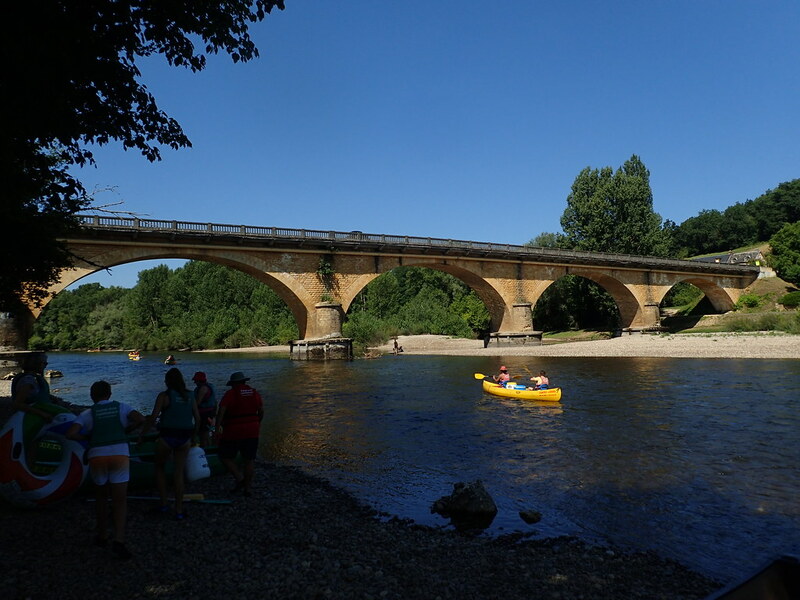 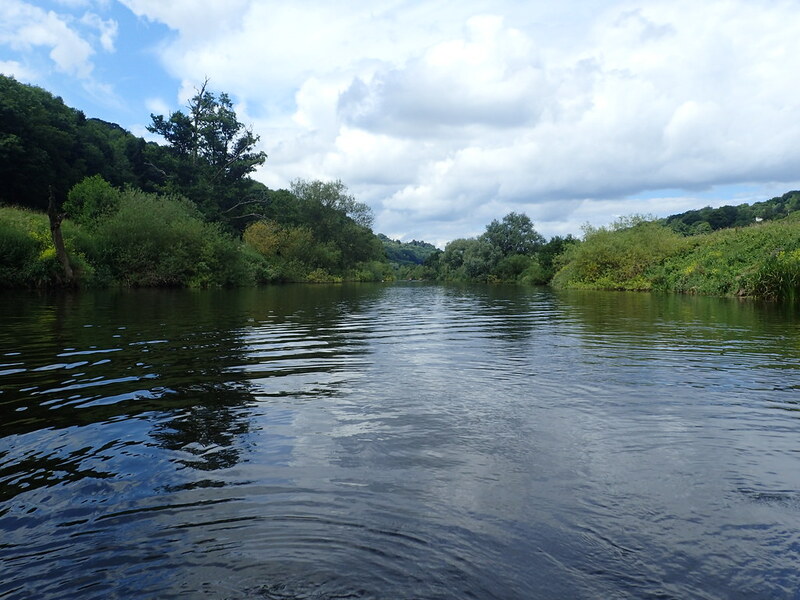 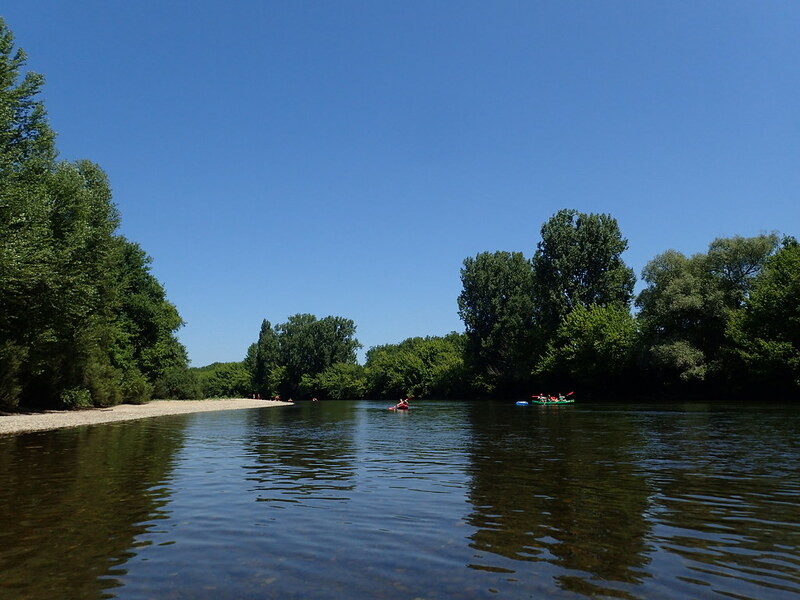 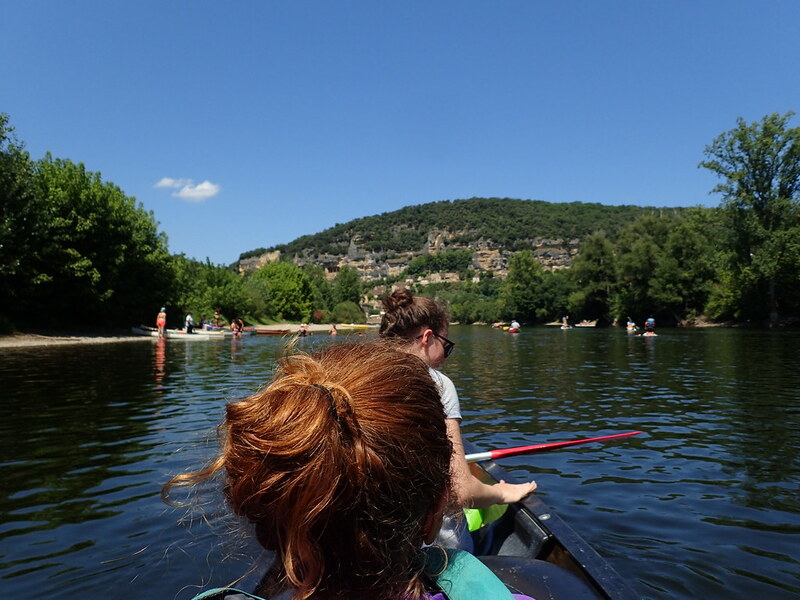 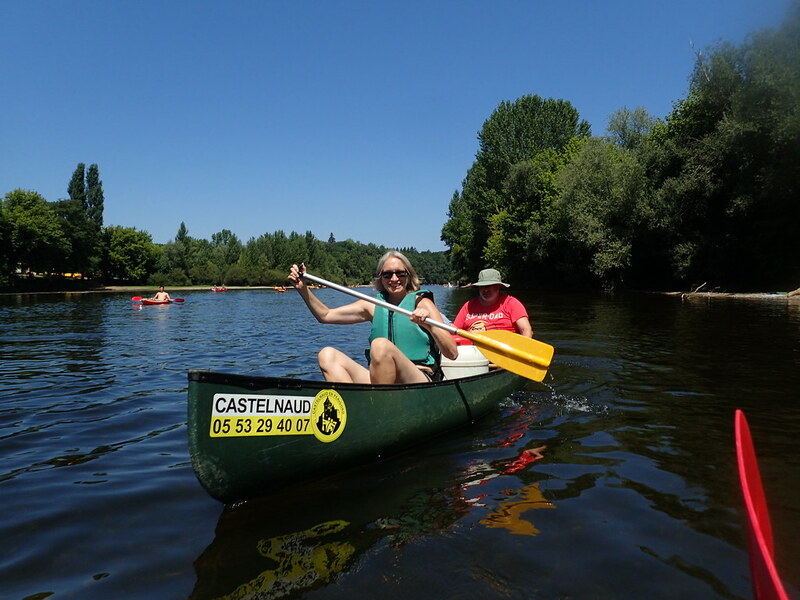 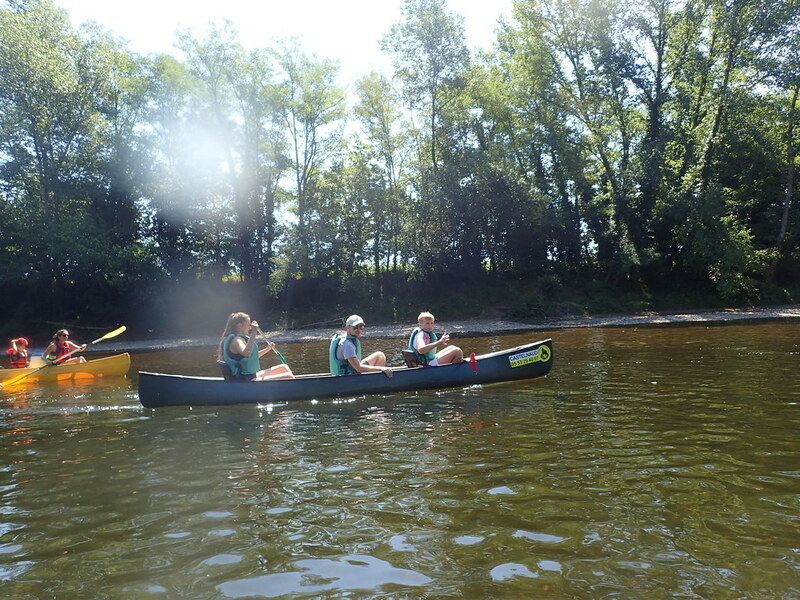 One of the best outings is a kayak trip along the Dordogne itself and its big business (as on most of the large French rivers in the south). 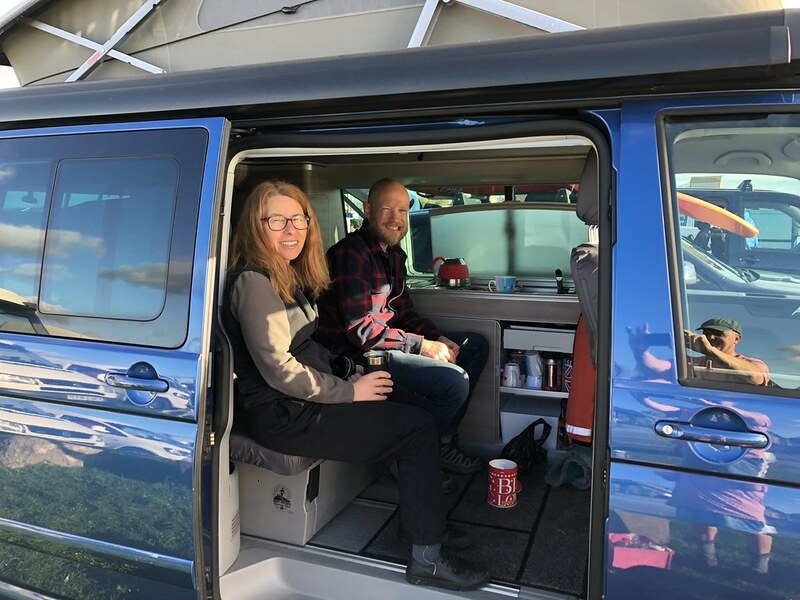 We’ve done this many times before and was one of the main reasons I suggested the region as a good destination to our happy band. 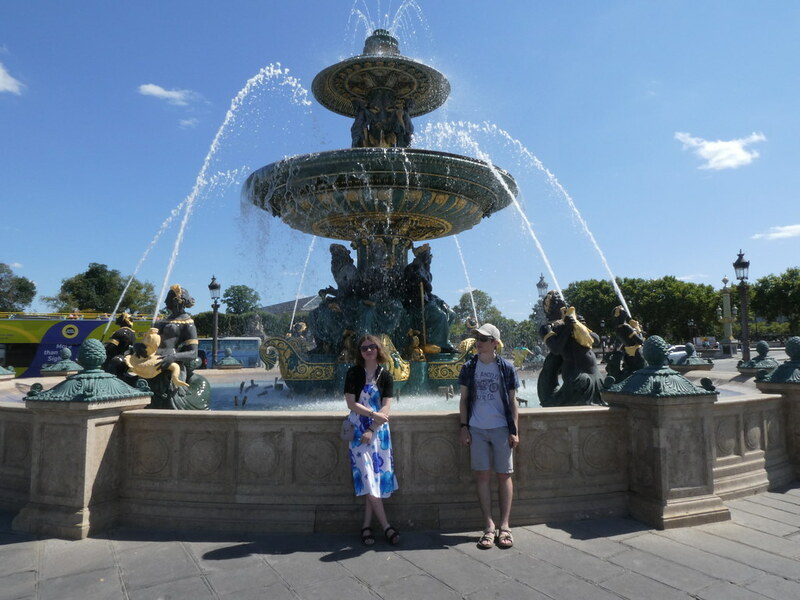 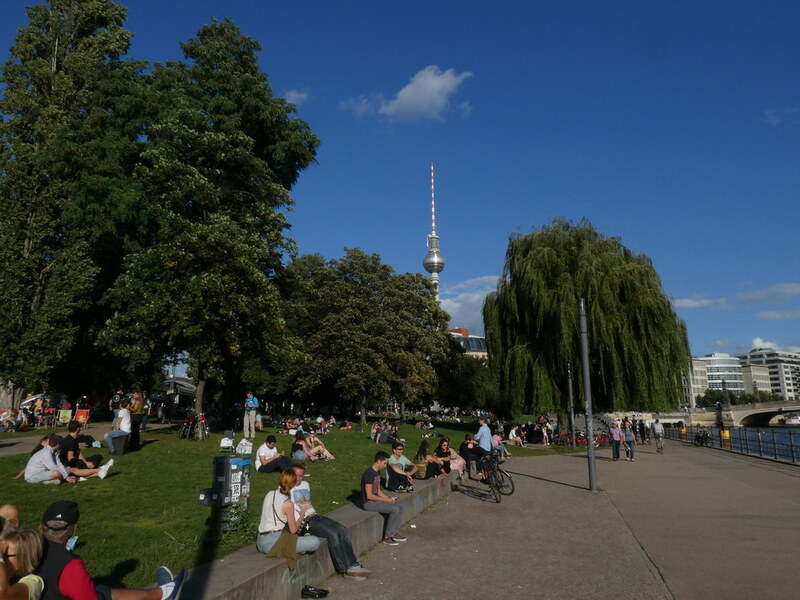 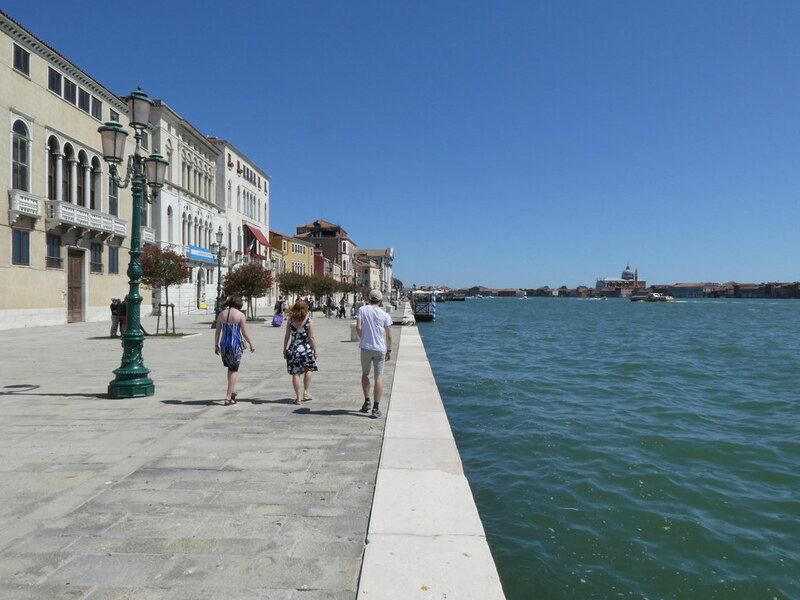 We hadn’t really made any plans for the trip but on one of mine and Mark’s morning strolls to the bakery we noted what a glorious clear and sunny day was developing and made an executive decision that we should do the trip that day. 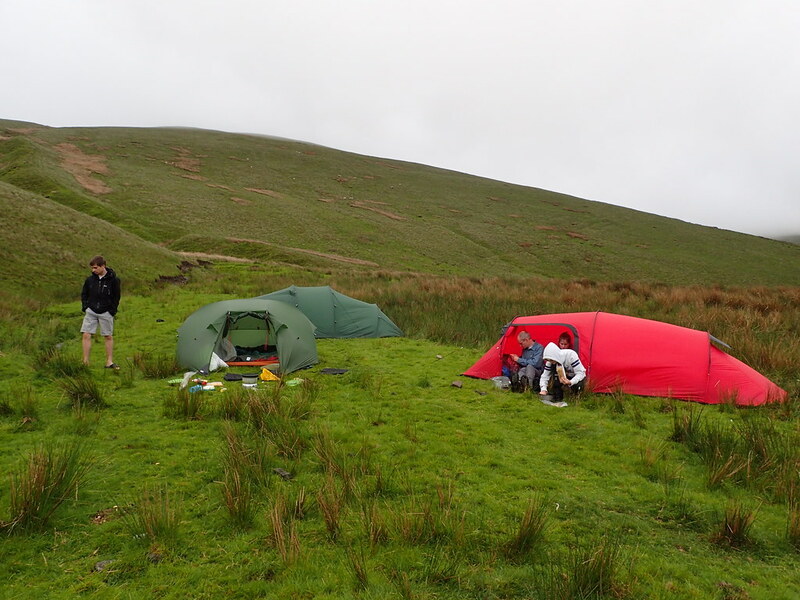 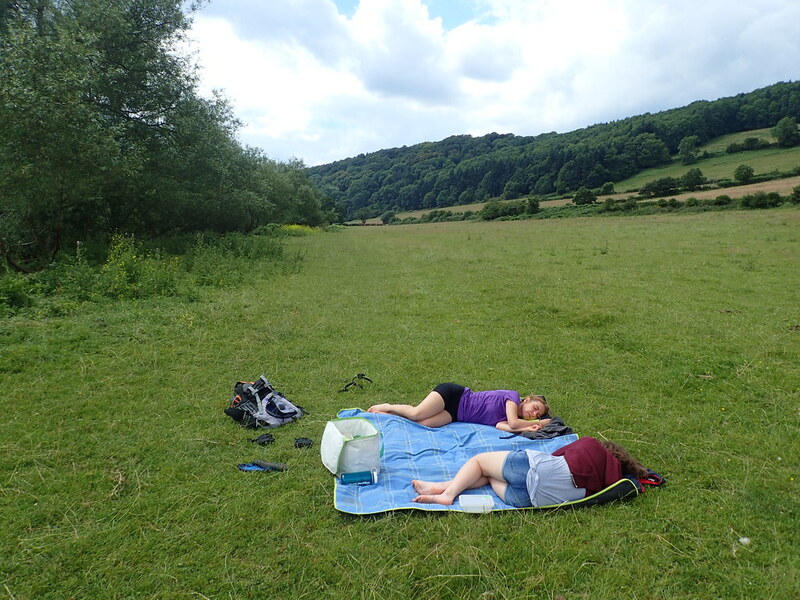 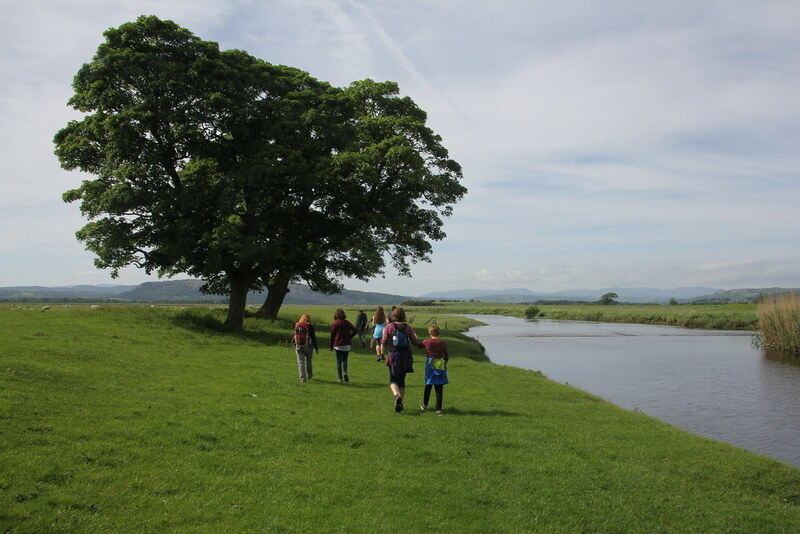 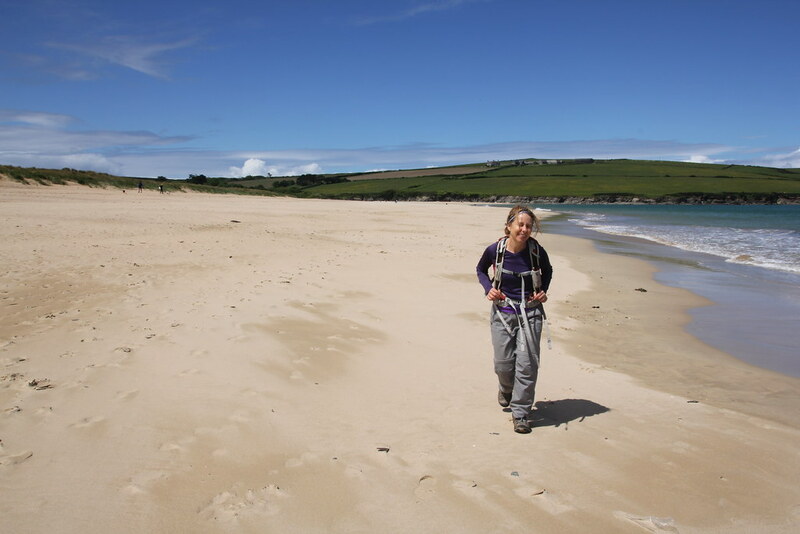 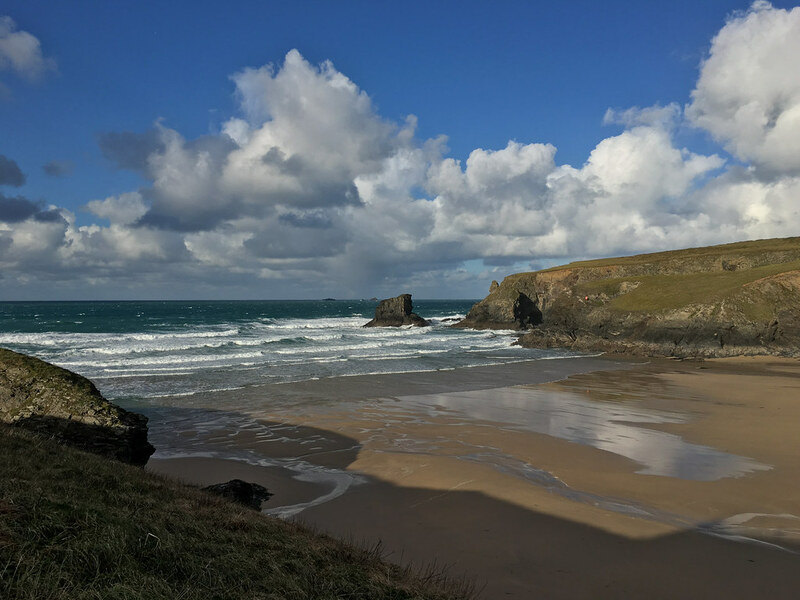 We booked in at the hire place over the car park from the bakery and then noted how little time we had to get back to the campsite, get everyone out of bed, breakfasted, lunch packed and be ready to walk back to catch the bus to start. 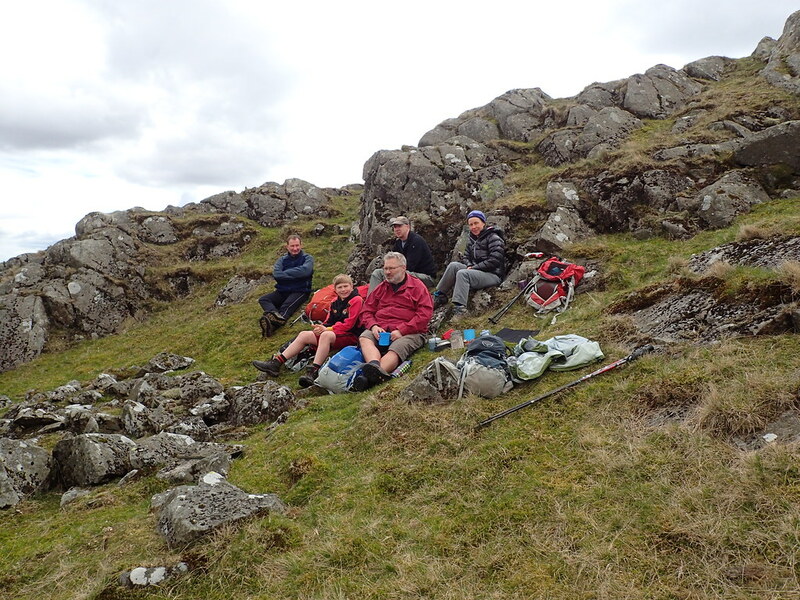 A little fraught but we made it! 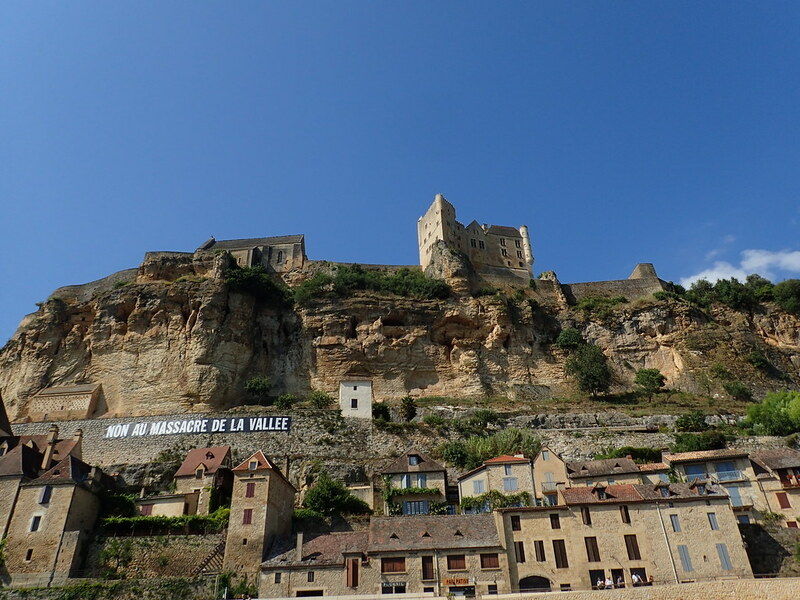 The trip was pretty much the same as the one we have always done from Vitrac, past Domme, La Roque Gageac and Beynac and finishing at Les Milandes. 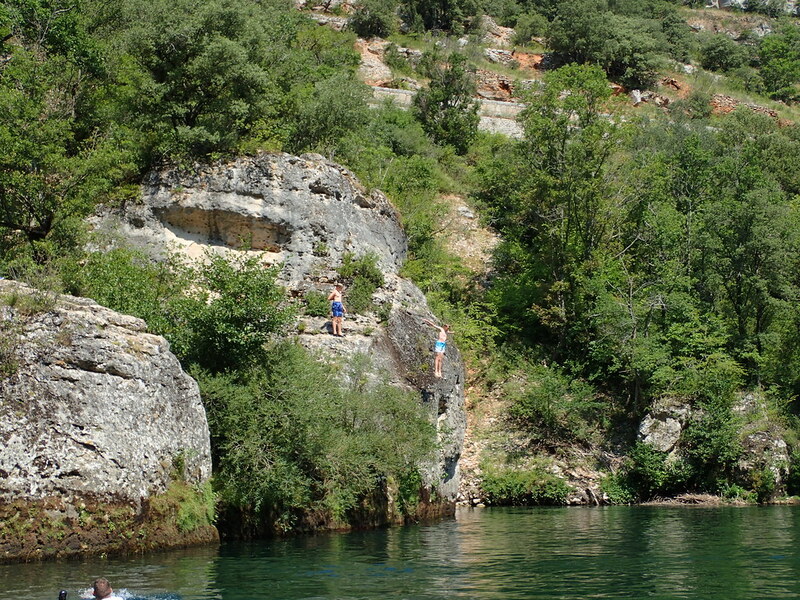 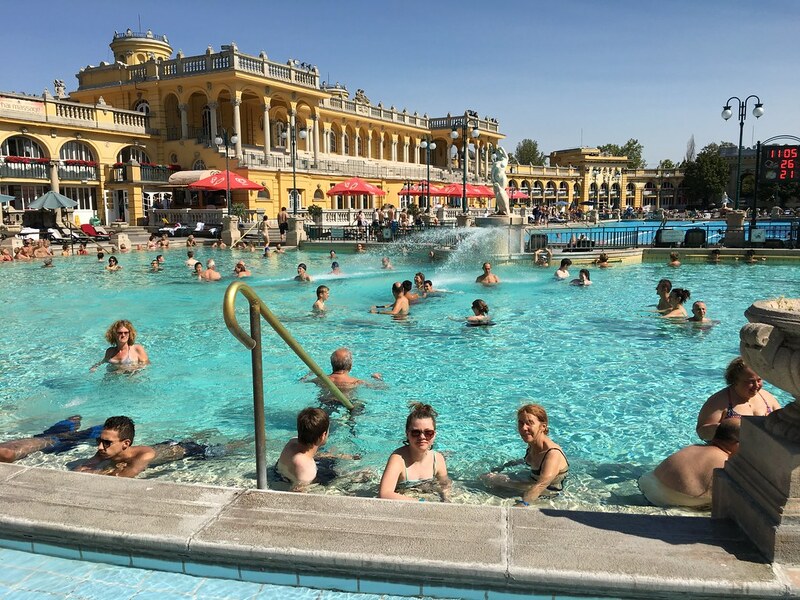 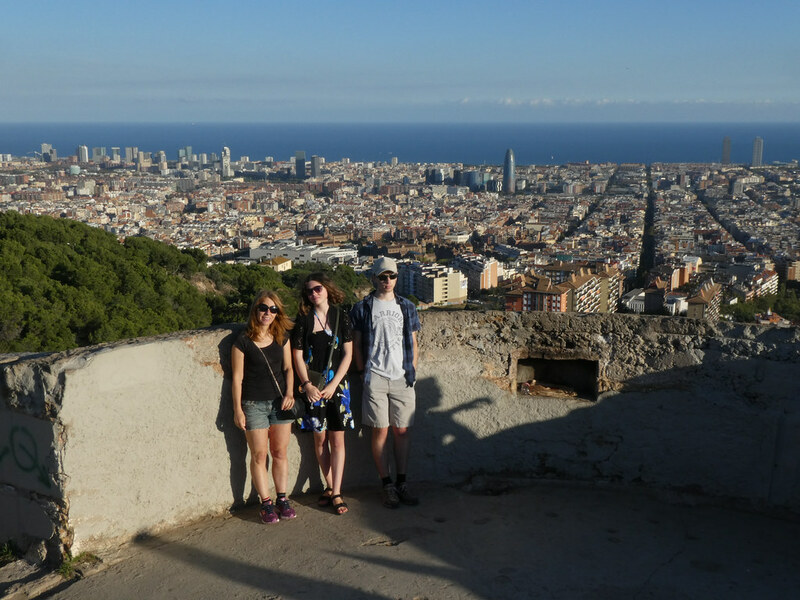 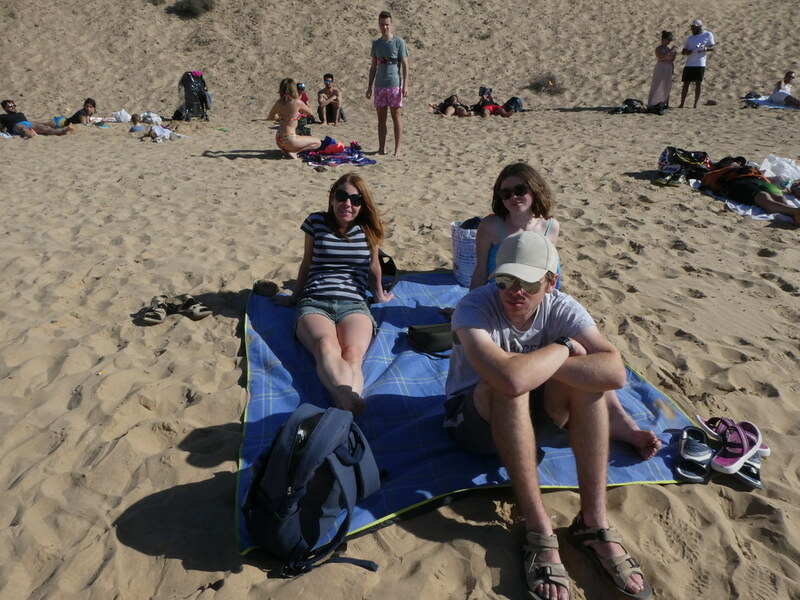 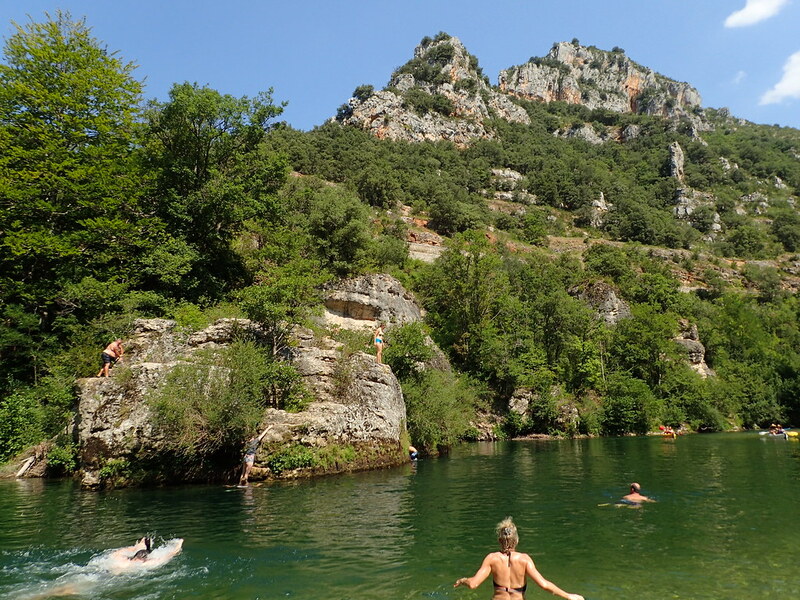 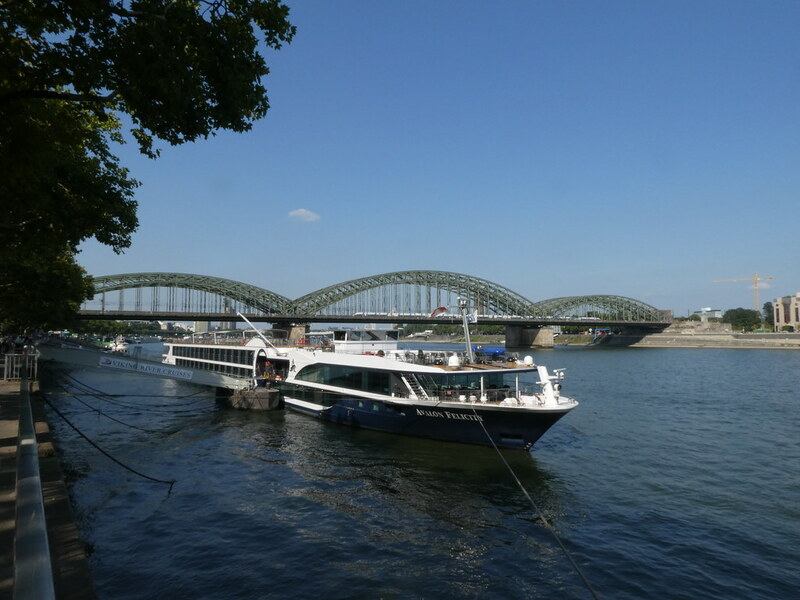 Its a classic trip with loads of interesting views (castles, hilltop towns, cliffs) and numerous great places for a swim. 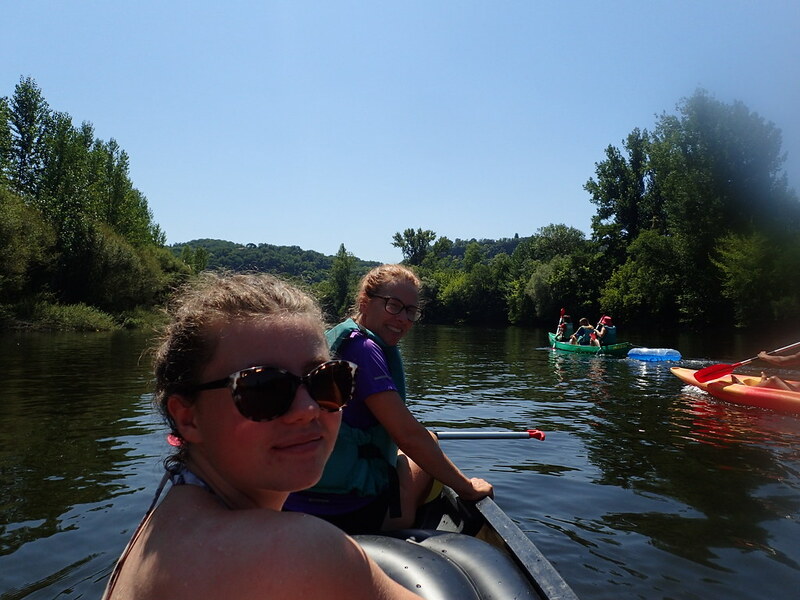 After an epic amount of faffing about picking boats and agreeing who would go with who we set off. 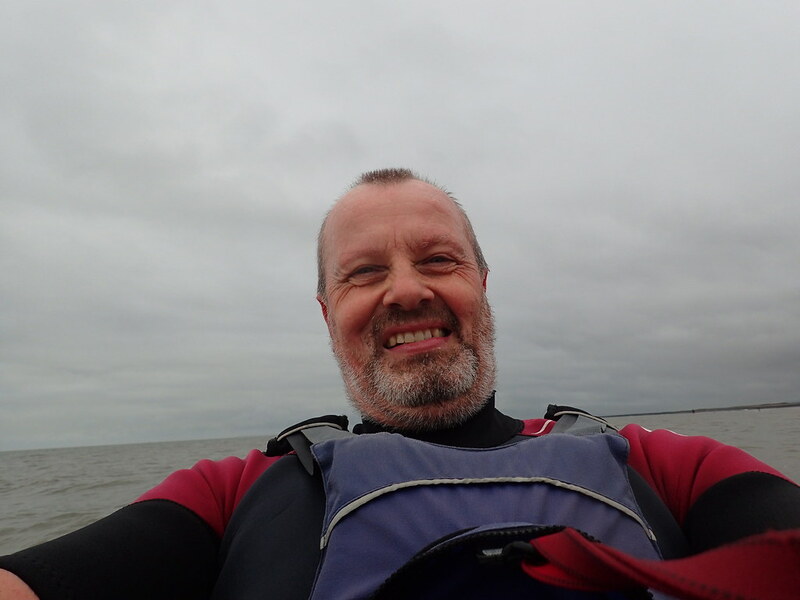 This is Mark and TBH trying to deflate a rubber ring, one finding time to smile other not! 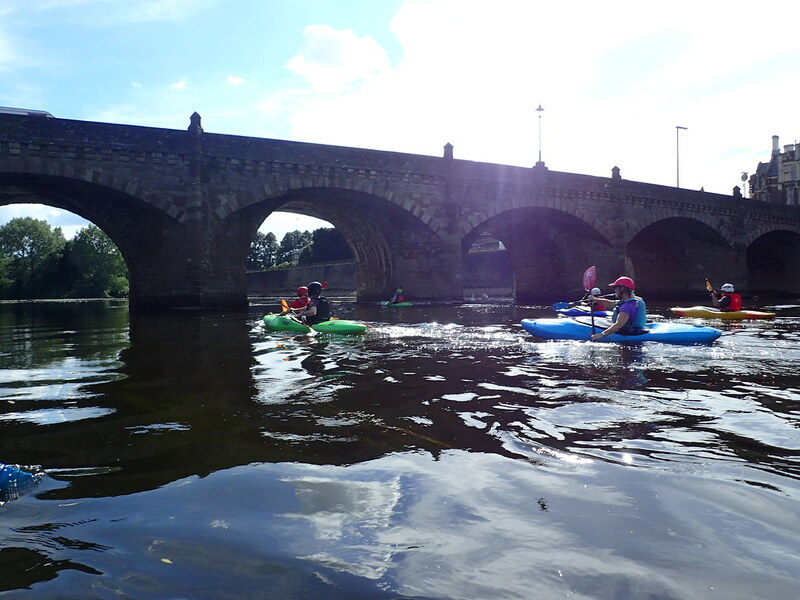 There were 12 of us in the group but despite the fact that most of us have spent some time in kayaks and canoes the only people who seemed able to control one were me and Mark. 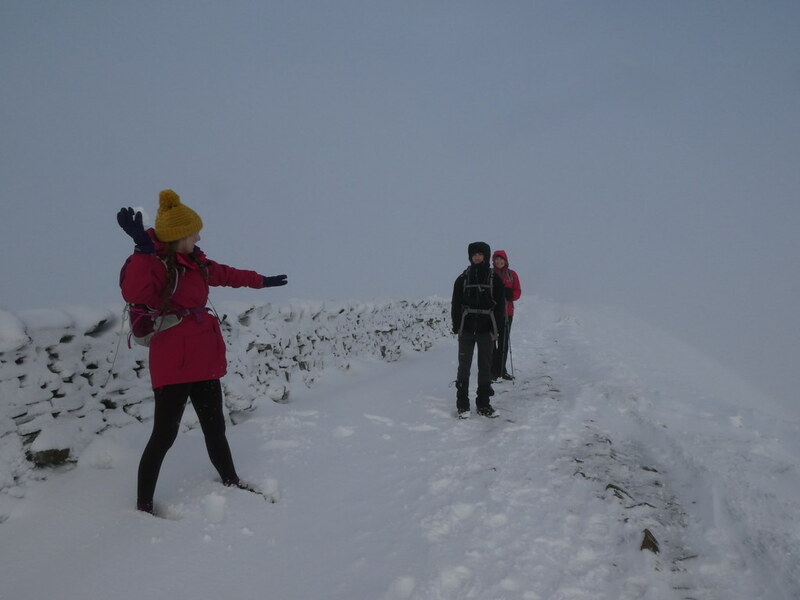 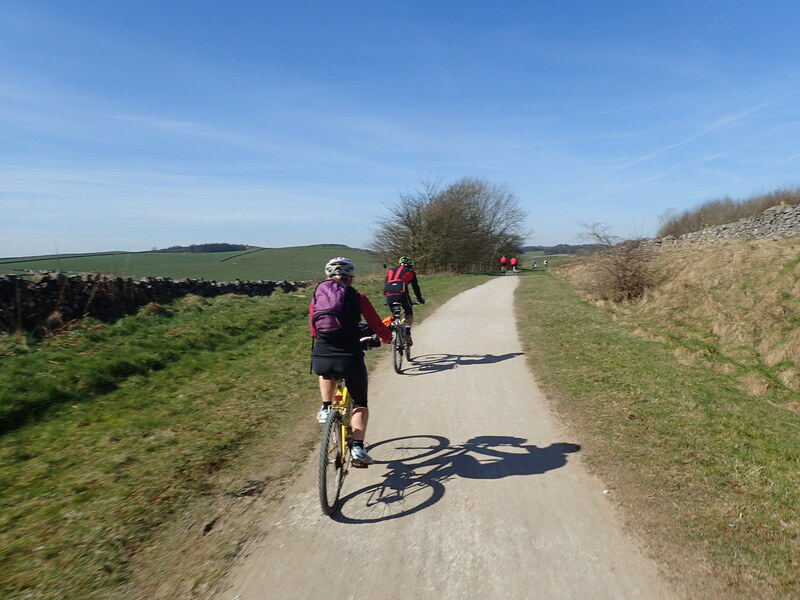 The first section (no more than a mile or so) took an age, most went round in circles, backwards leading to bickering and recriminations (all in good humour). 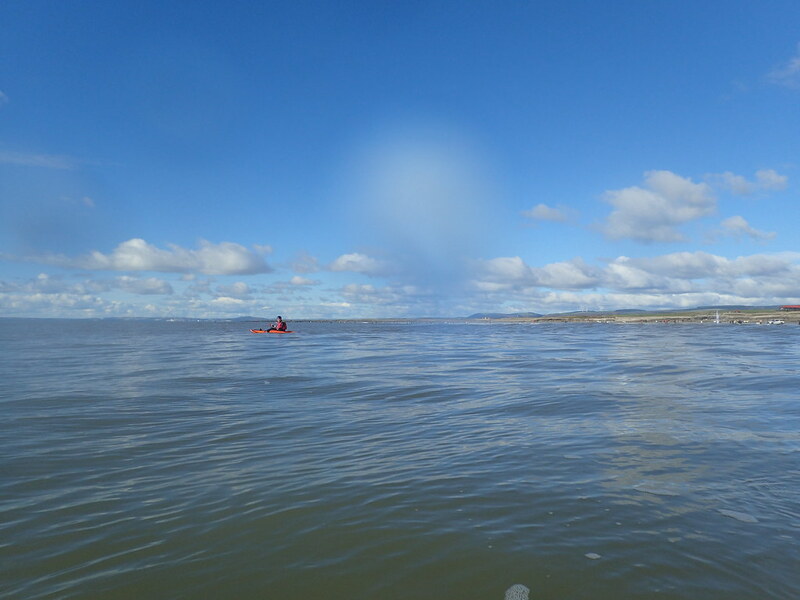 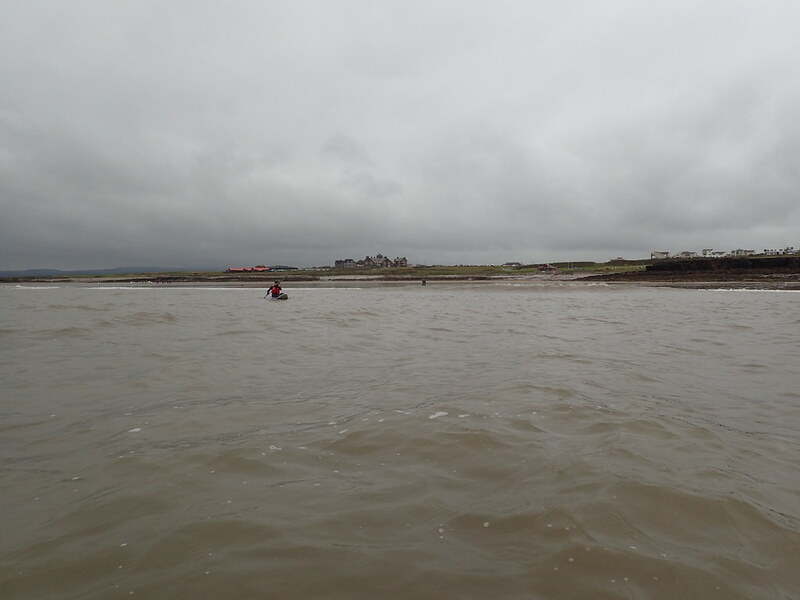 We tried to tow TJF behind us but the current was slow and it was really hard work to paddle with such a dead weight behind so we quickly abandoned the idea. 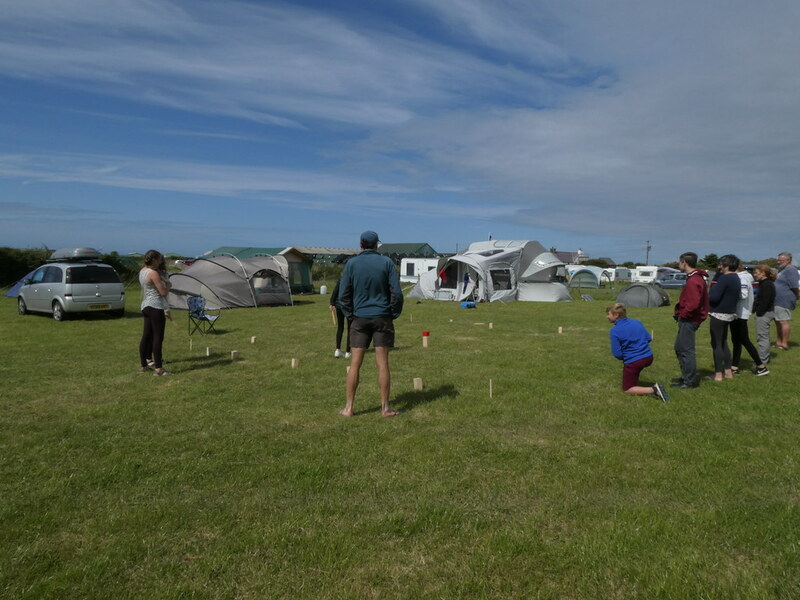 We were compelled to pull over to re-arrange the teams. 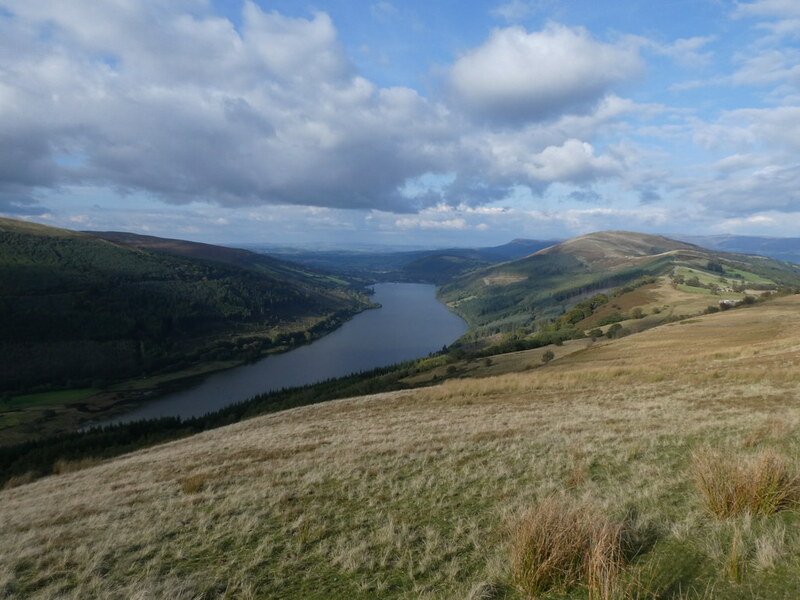 Thing is, pulling over for a stop is hardly a chore when the scenery is this magnificent. 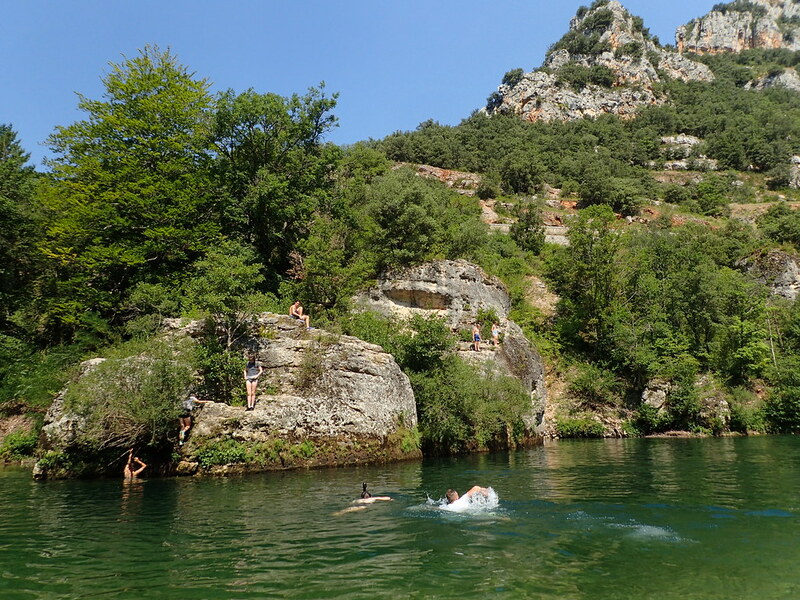 Obviously whenever you stop in such fine and hot weather you should have a swim. 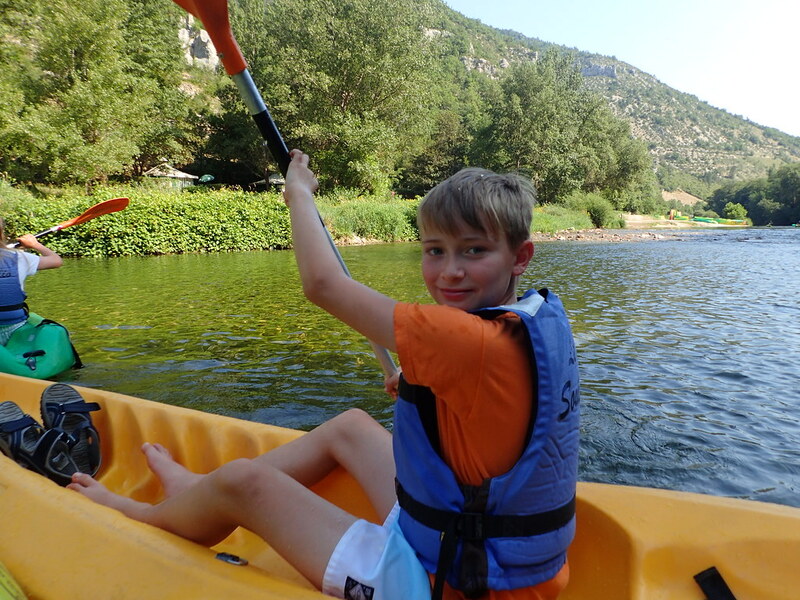 The kids decided to liven things up by standing in the canoes and changing places. 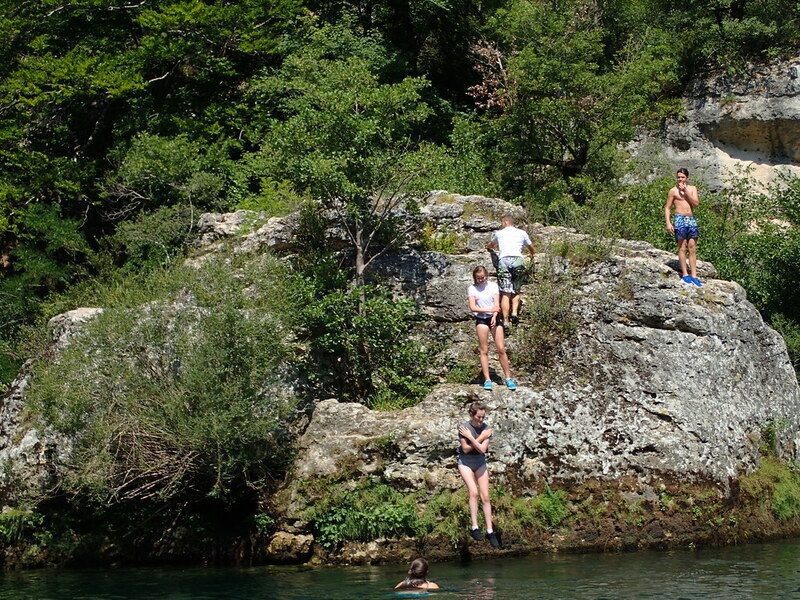 They all looked pretty smug about their ability to do it and the perceived cowardice and lack of skill from the adults. 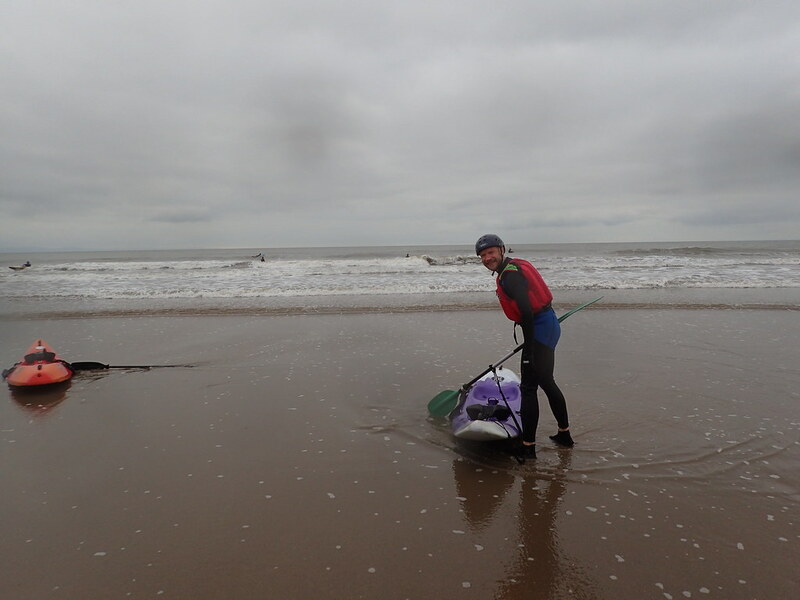 Until they tried once too often and TJS fell in! 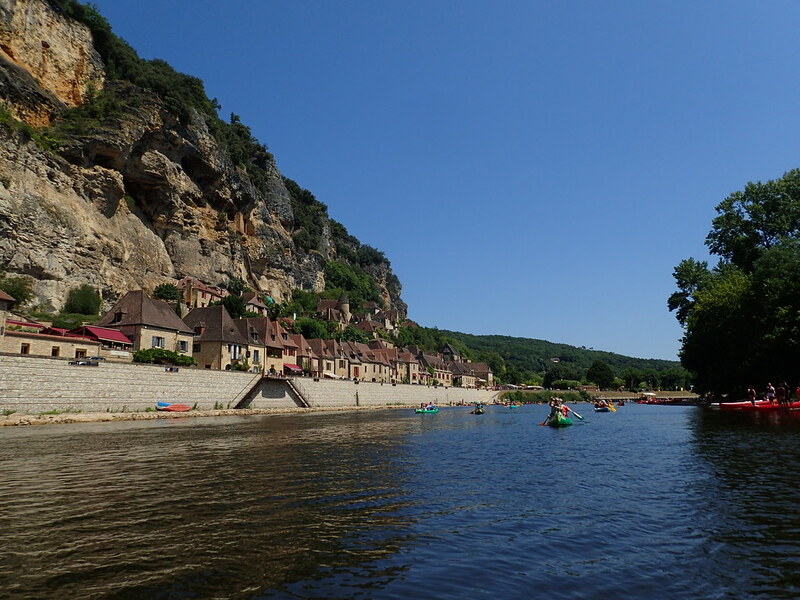 This takes you past the picture postcard village of La Roque Gageac. 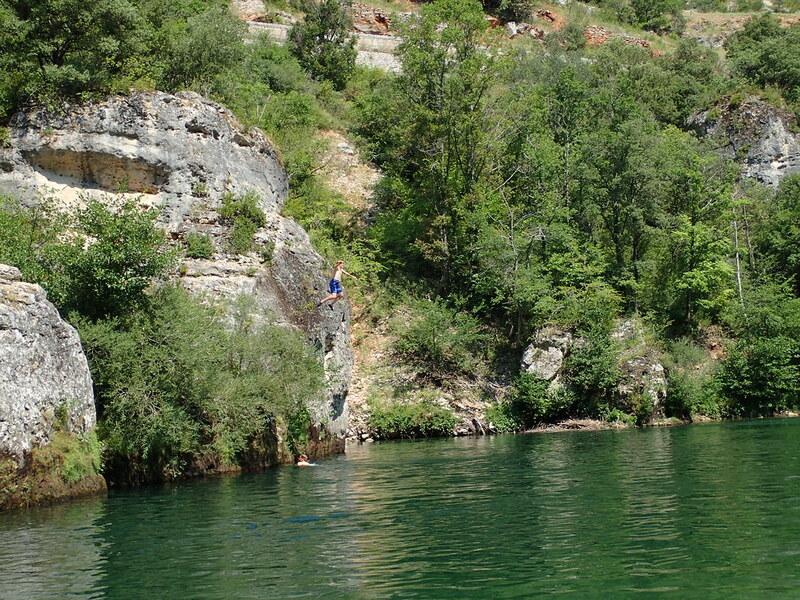 The enforced break is over and I’m back in action. 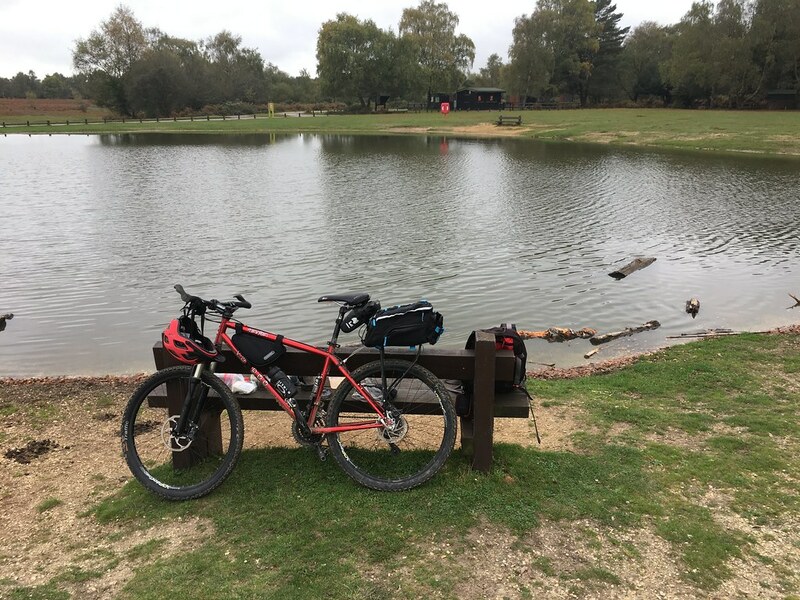 Knee op went well and after a couple of weeks R&R I’m starting to head outdoors once more. 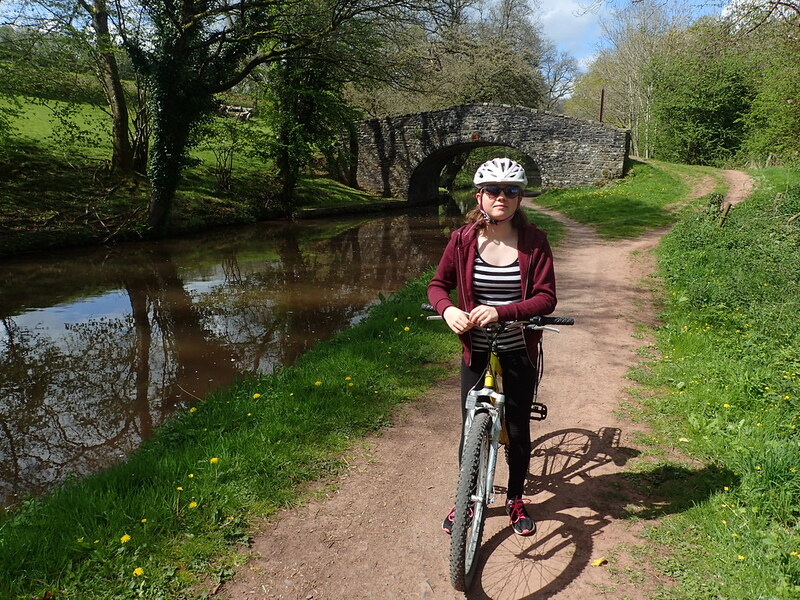 A bike ride around the Forest of Dean and a short walk with TJS on a gloomy Friday evening proved I’m fit and able. 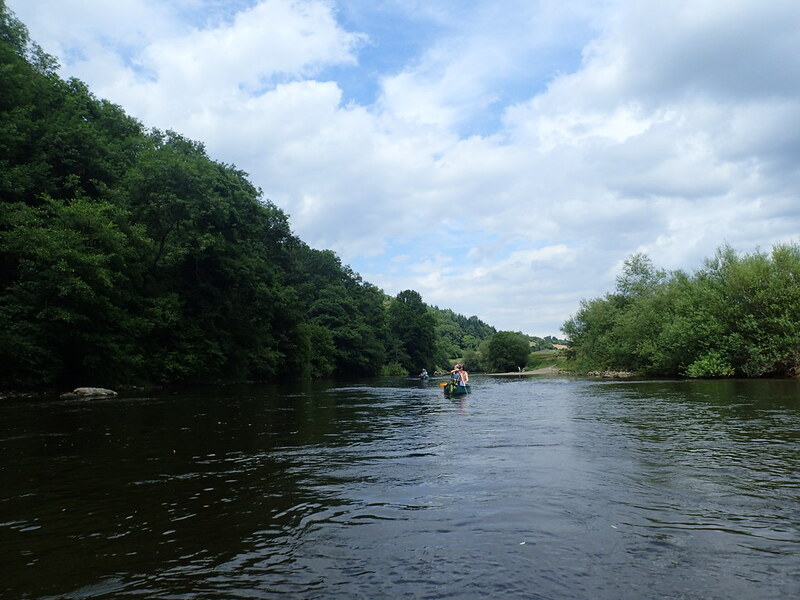 Back on the river it began to dawn on me that it was quite a long way between Kerne Bridge and Redbrook. 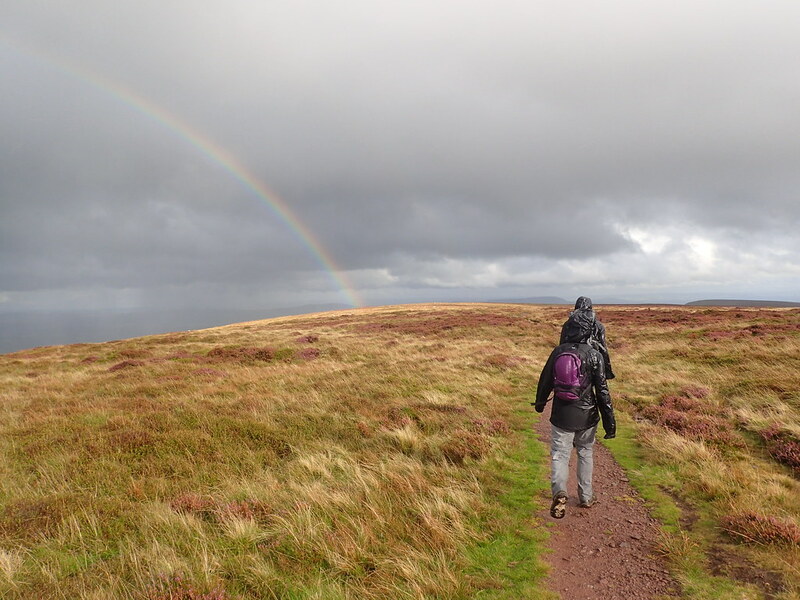 A very long way. 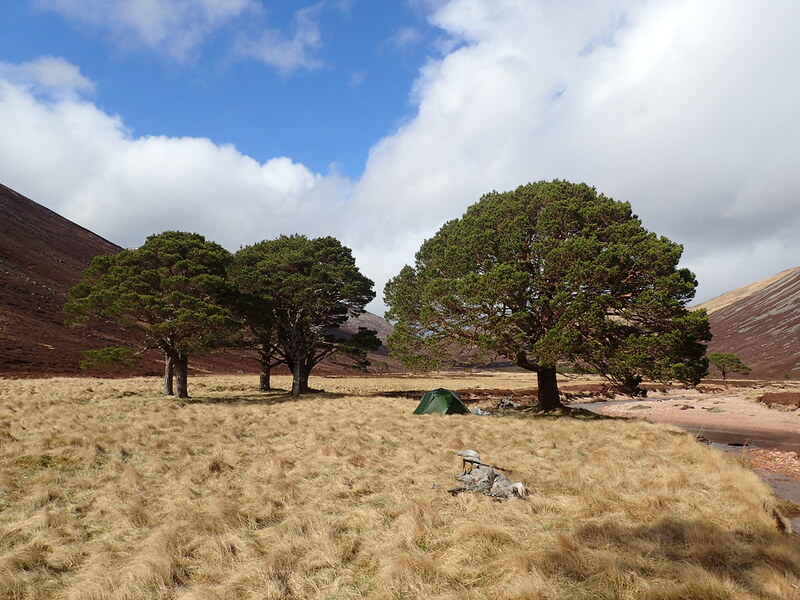 Its a very pretty stretch and very quiet. 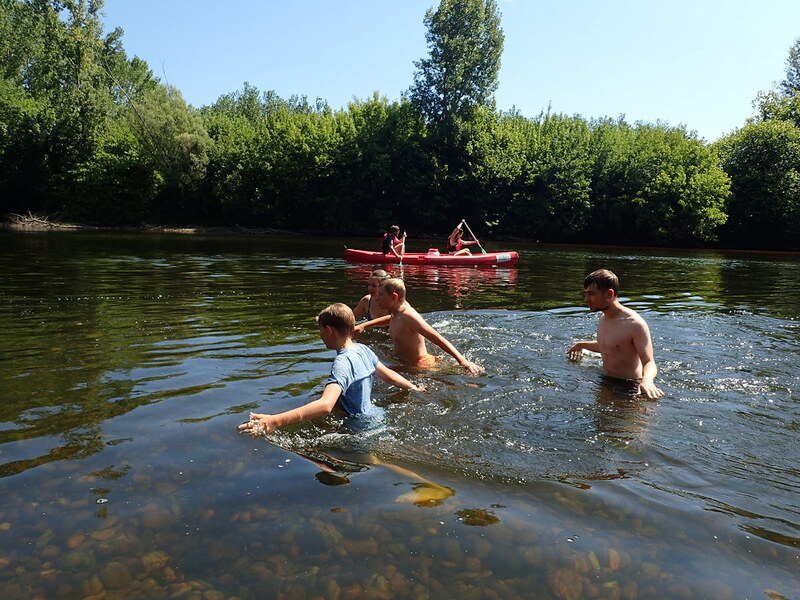 By this time however we were all feeling that we’d had enough of the river! 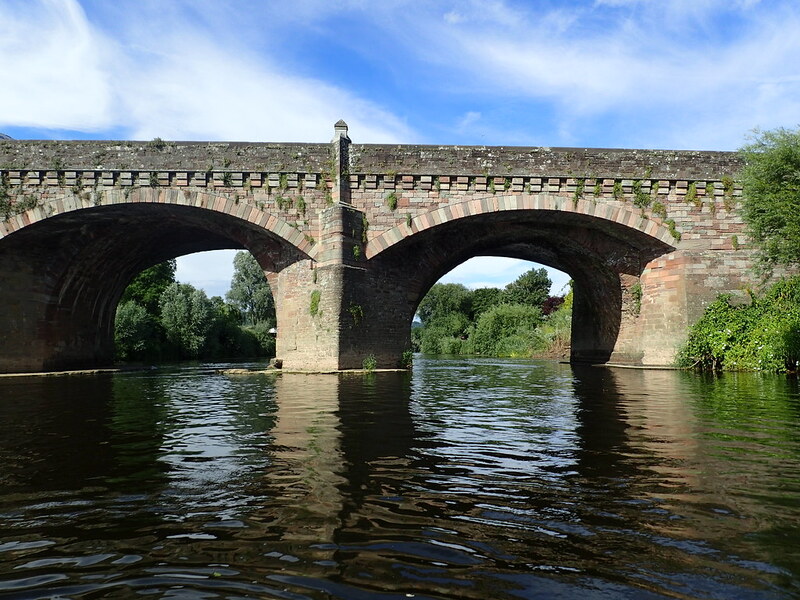 I was excited to pass under the bridge at Monmouth – seeing as I drive over a couple of times most days on my way to and from work. 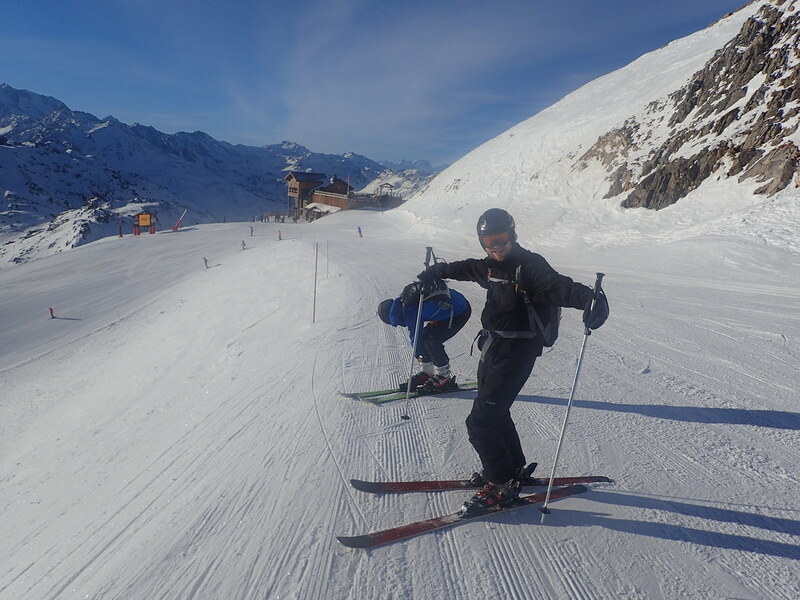 A long day, probably too long – lesson learned – but great fun and a surprisingly tough workout that my arms are only just recovering from.